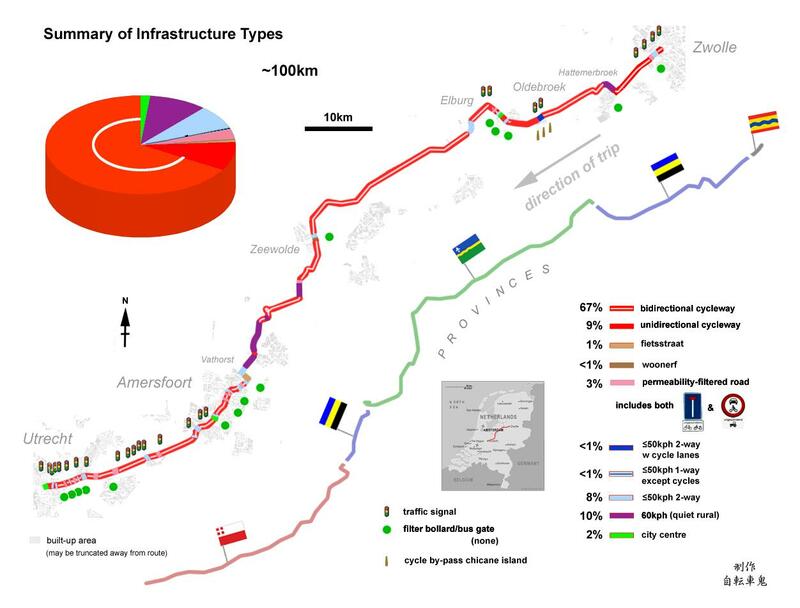 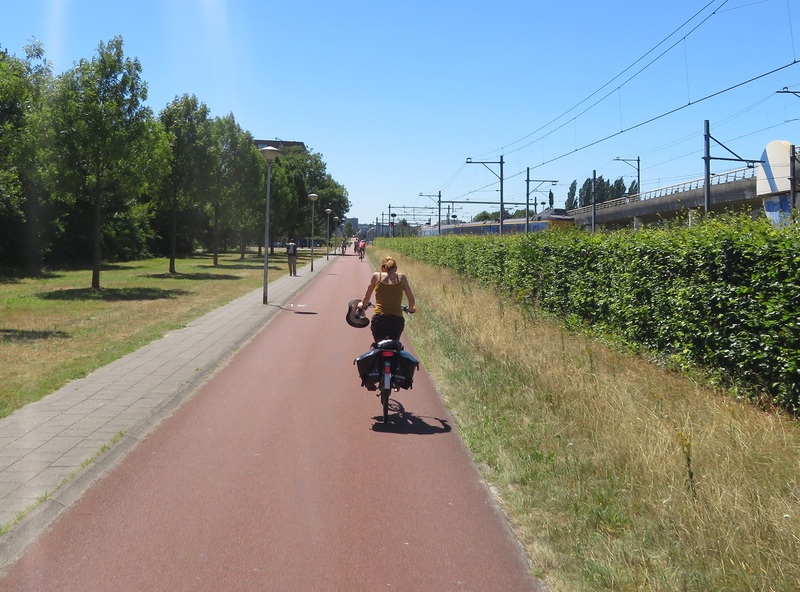 I did consider splitting this trip into two days but after some thought I decided to go ahead with cycling from Zwolle to Utrecht in one trip. 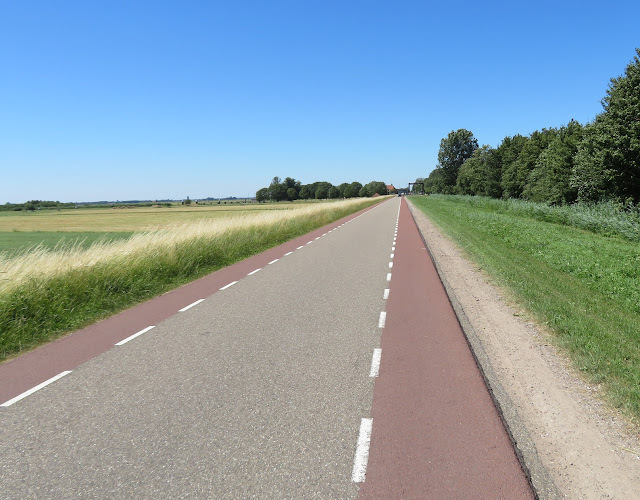 This would be a long ride of about 100km, which I knew I would be able to do with no issues, but I knew it would take me most of the day to do as it simply isn't possible for me to ride at any significant speed on my heavy Dutch bike. 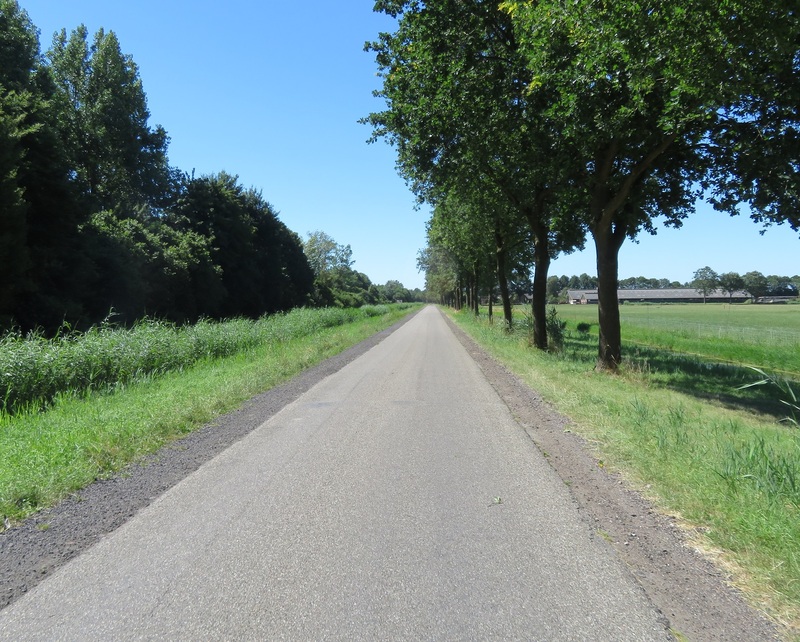 My main concern was the weather; my previous longest ride, Utrecht to Nijmegen, was plagued with heavy, torrential rain and what should have been a lovely trip filled with views through the forests and countryside became one where I could barely see five feet in front of me, whist being soaked to the skin. 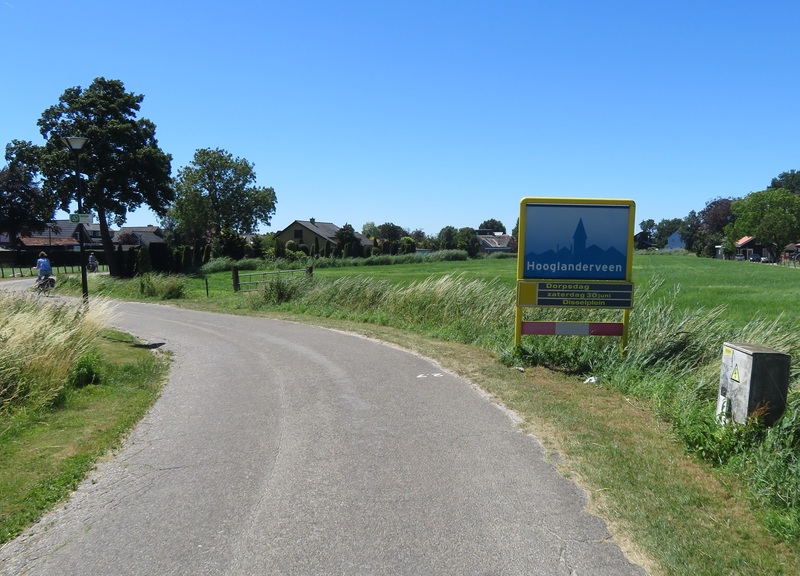 Accommodation is booked months in advance and so the date of this ride was fixed, and so I prayed for some decent weather. 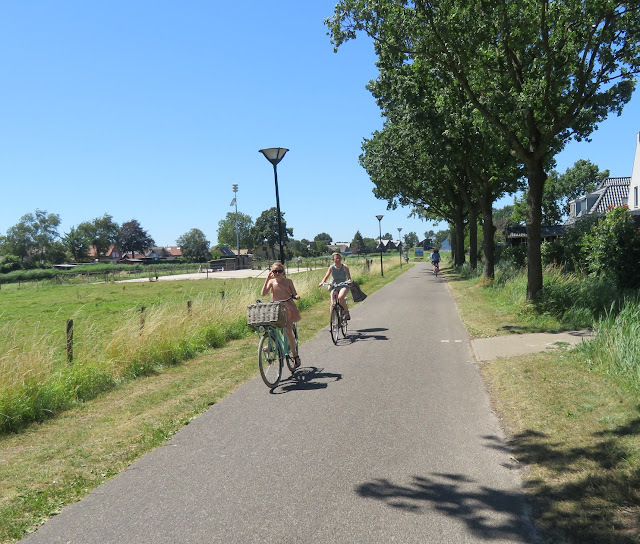 As it turned out my entire holiday had so far had warm weather and the forecast in the days leading up to it predicted this to be the hottest yet, with temperatures possibly higher than 30c. 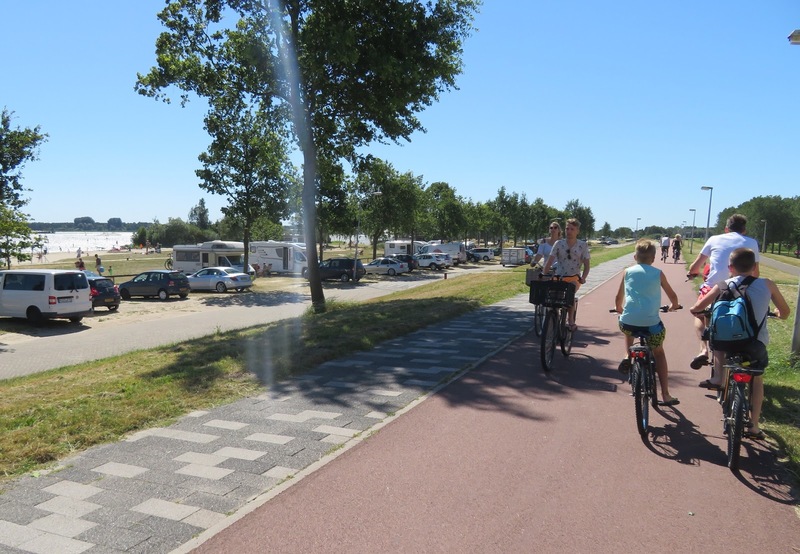 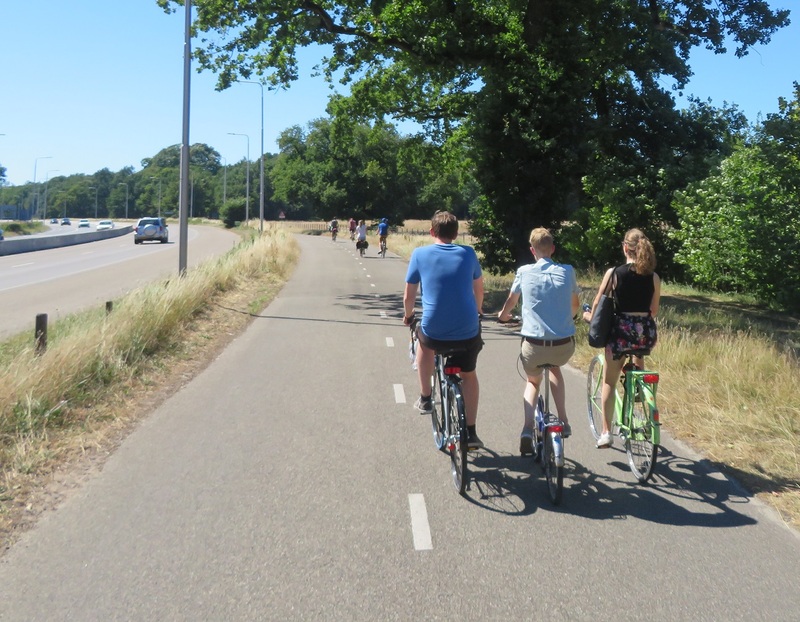 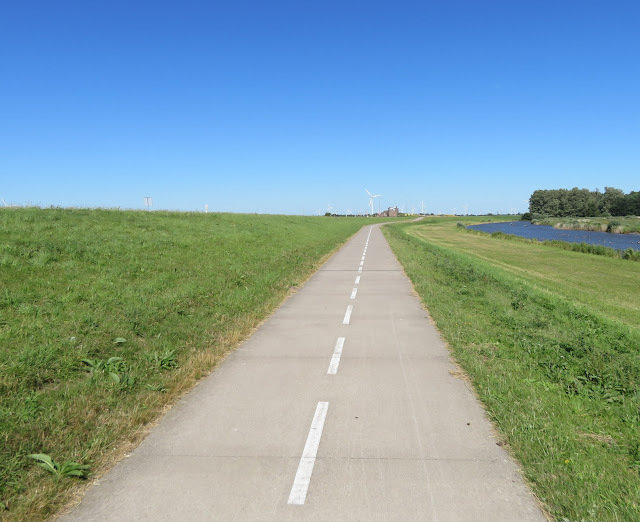 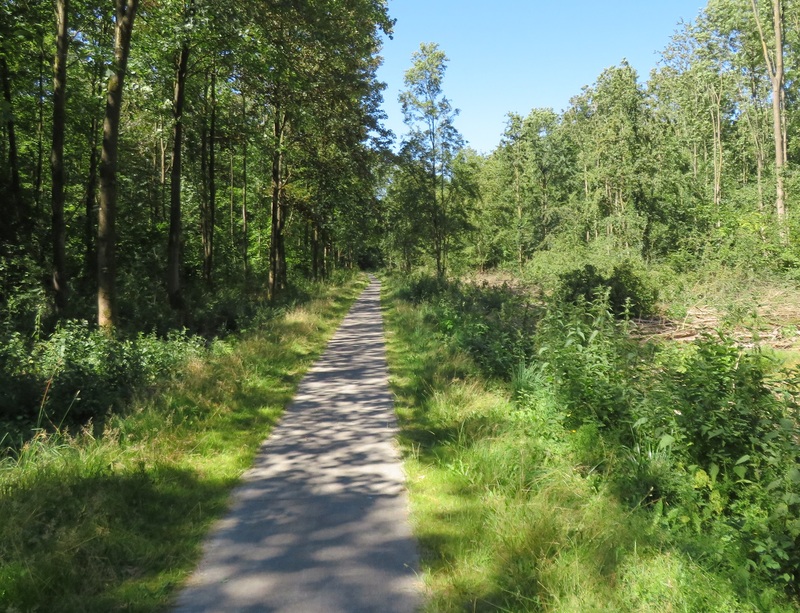 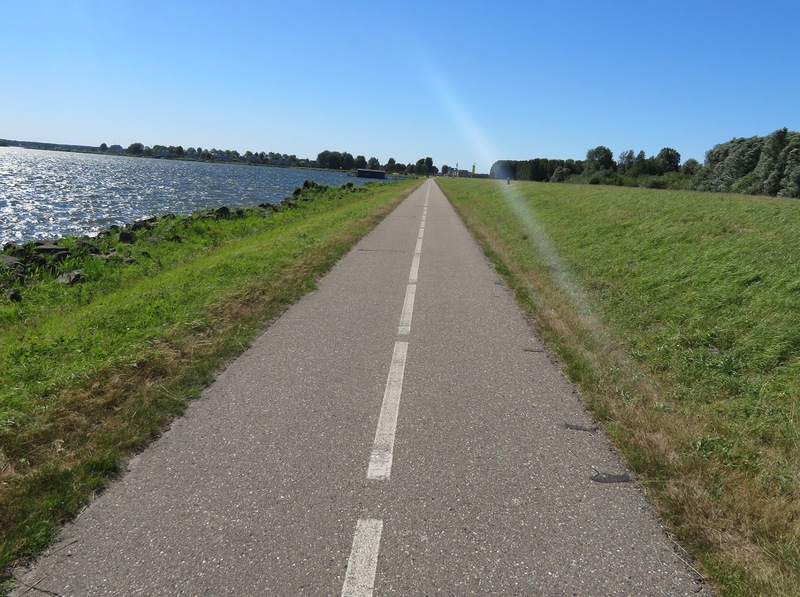 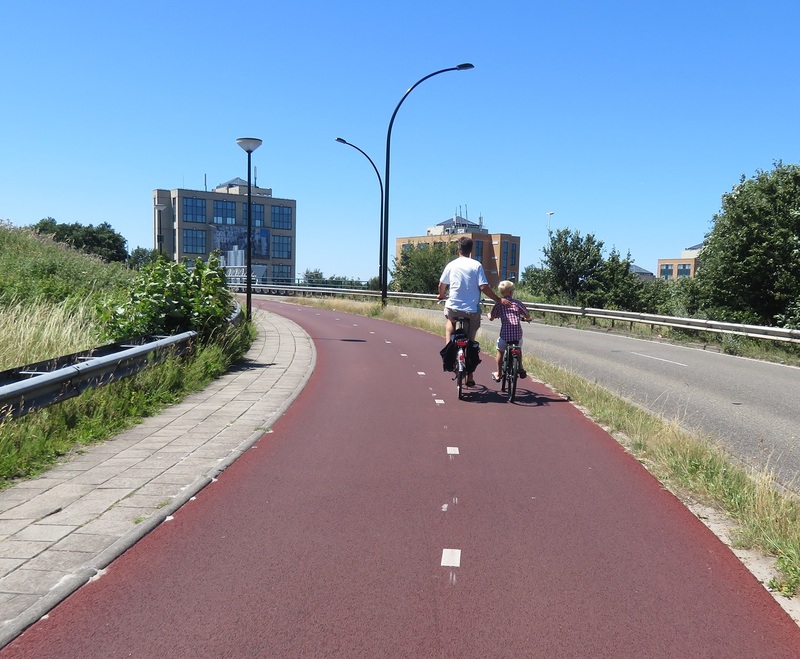 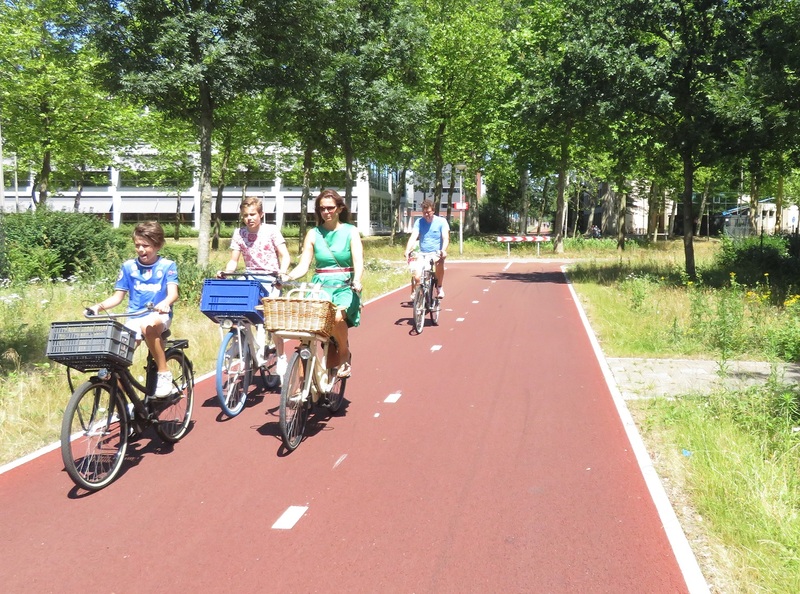 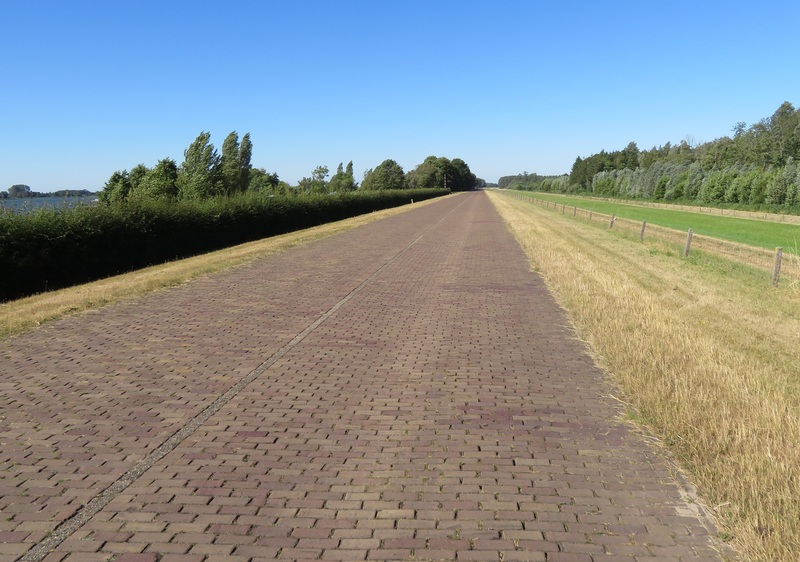 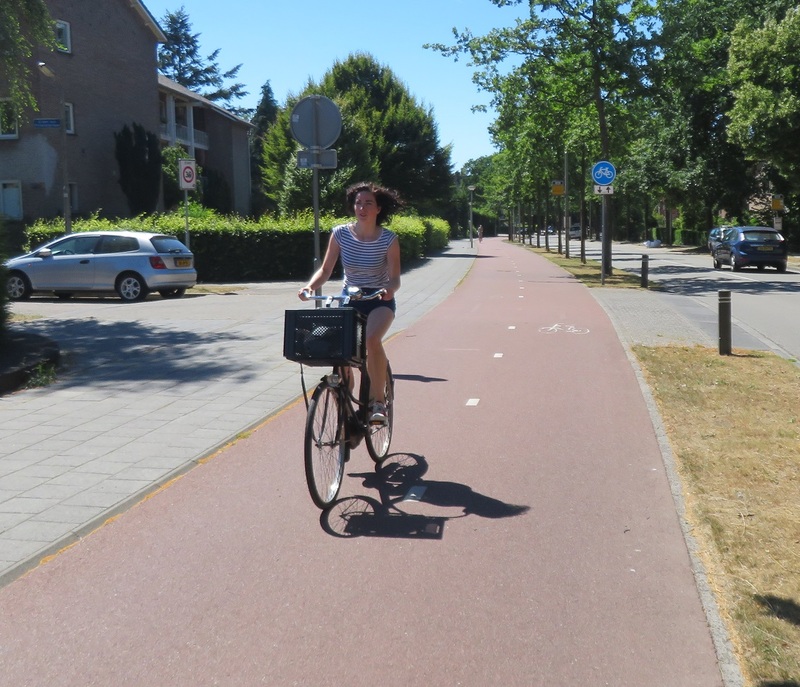 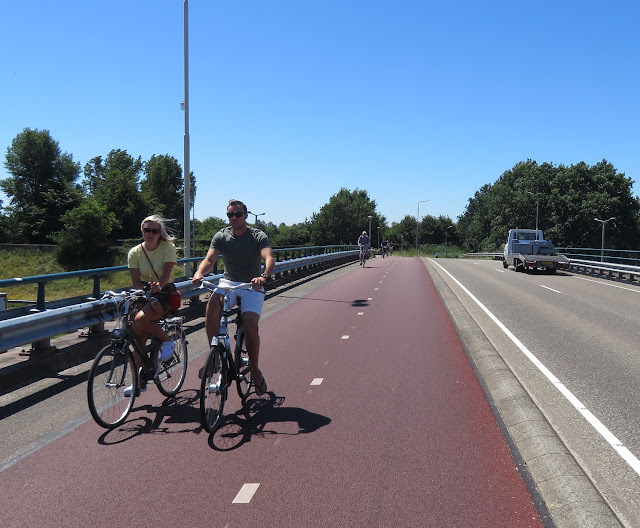 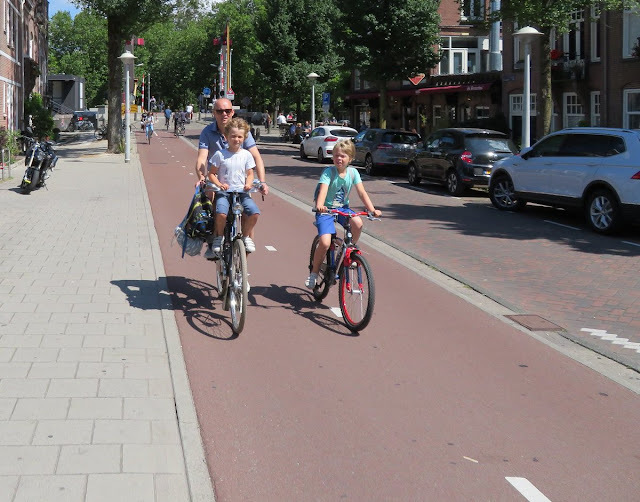 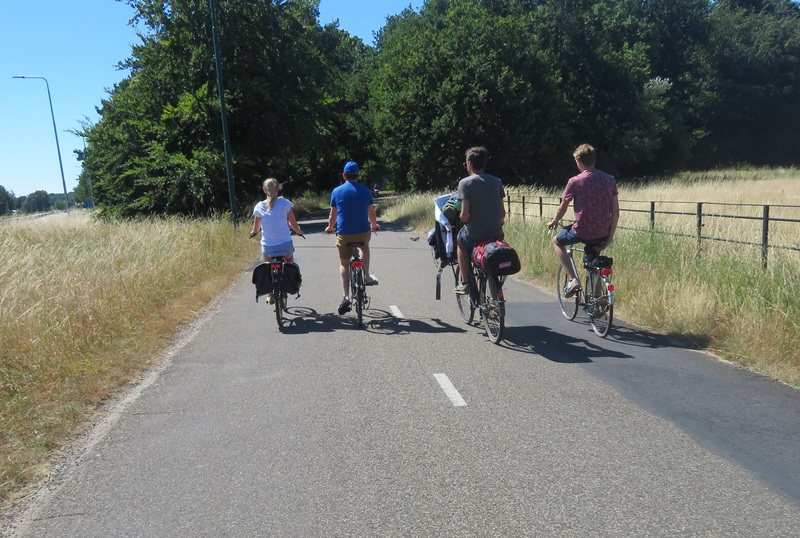 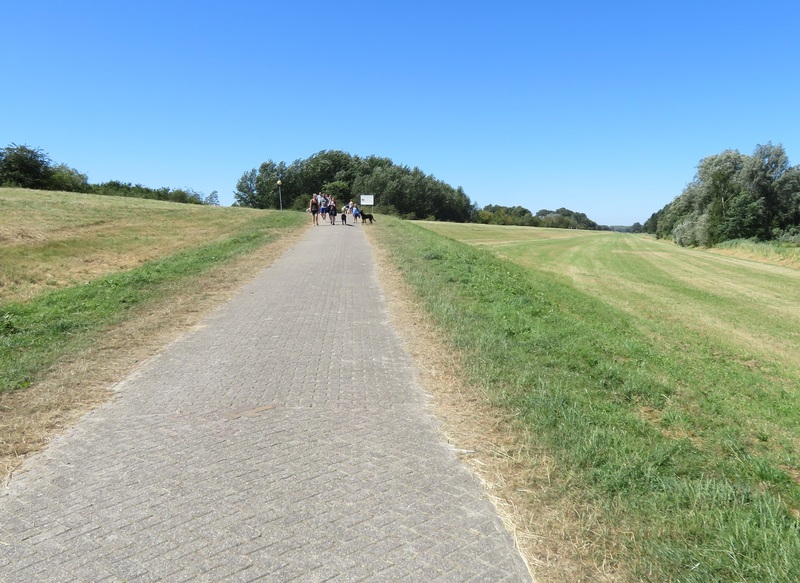 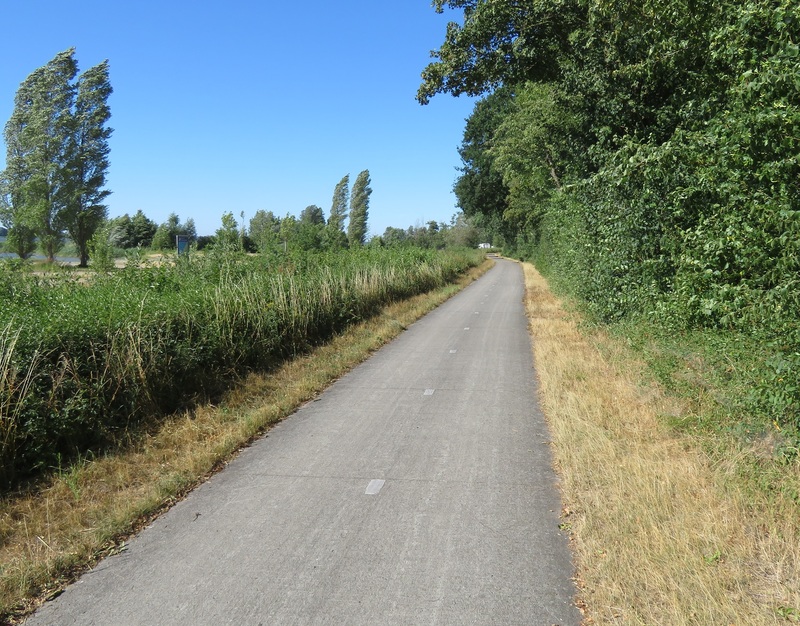 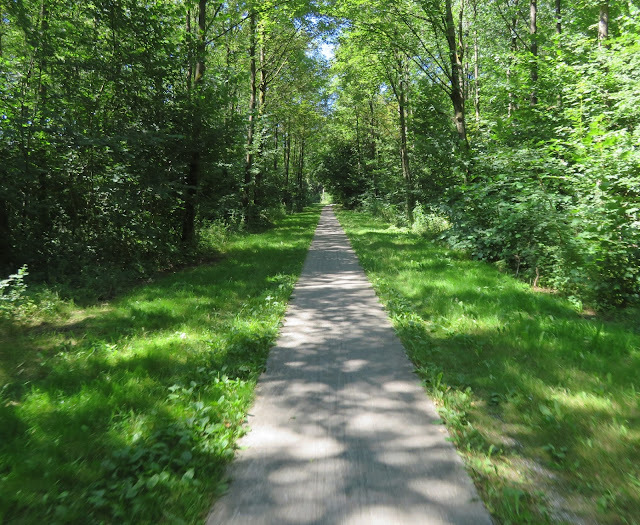 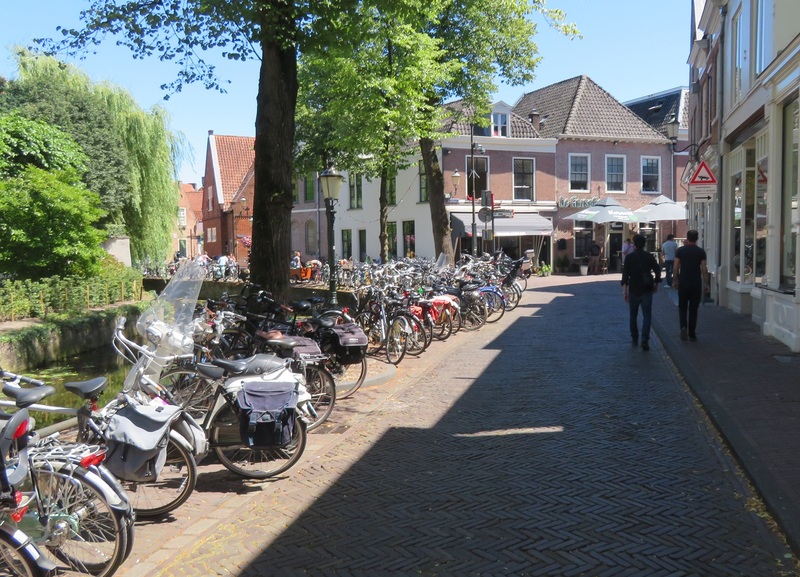 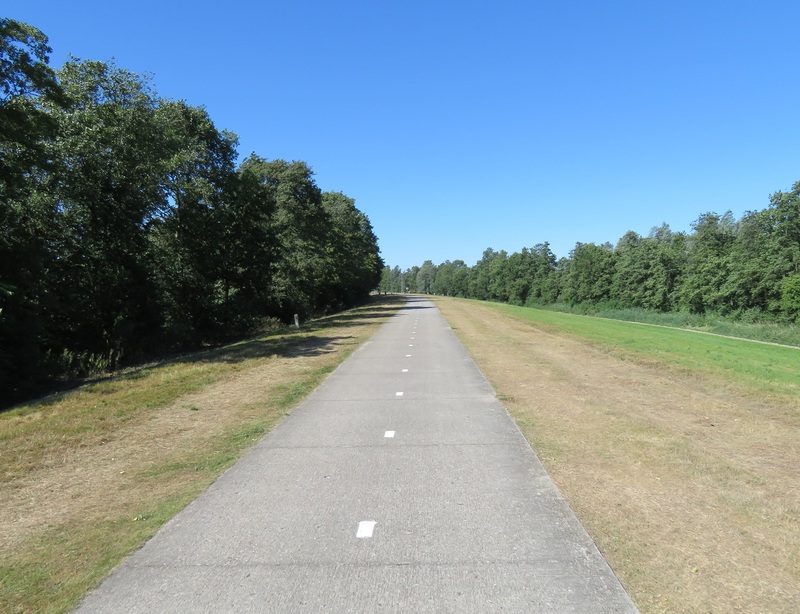 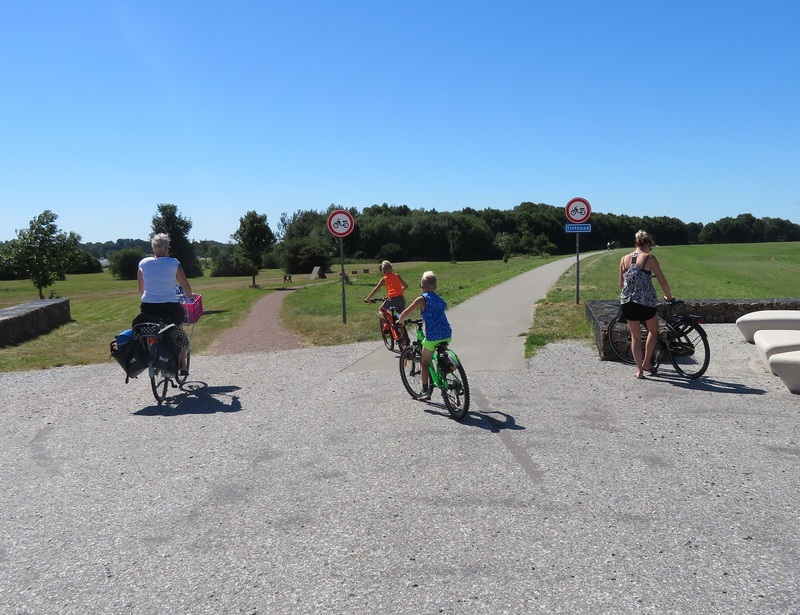 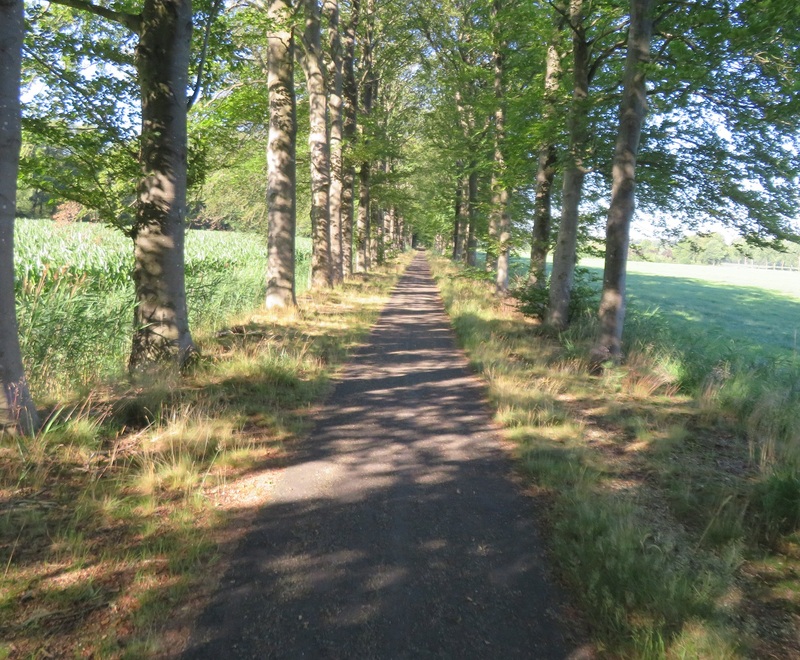 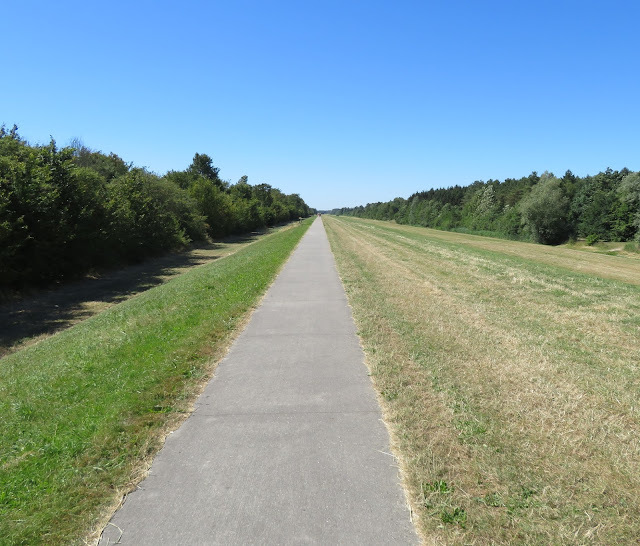 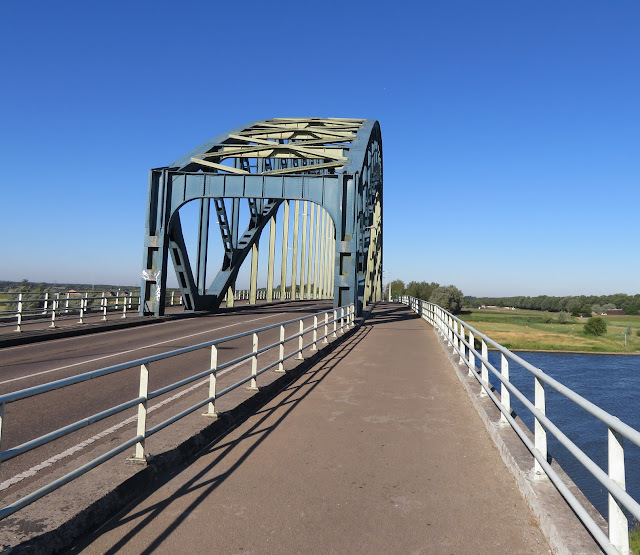 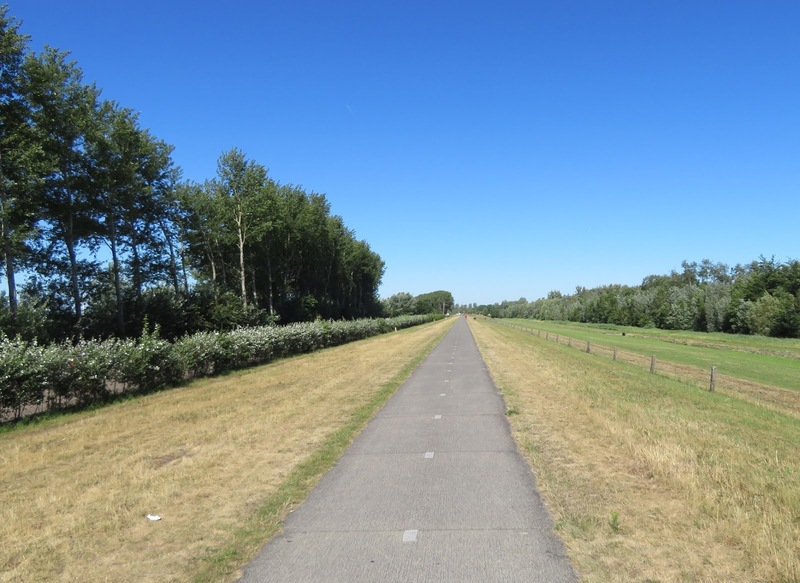 When planning a 100km cycling trip in the Netherlands there are many different routes you can choose from; such as direct cycleways alongside motorway and main roads or filtered roads and cycleways through forests and countryside. 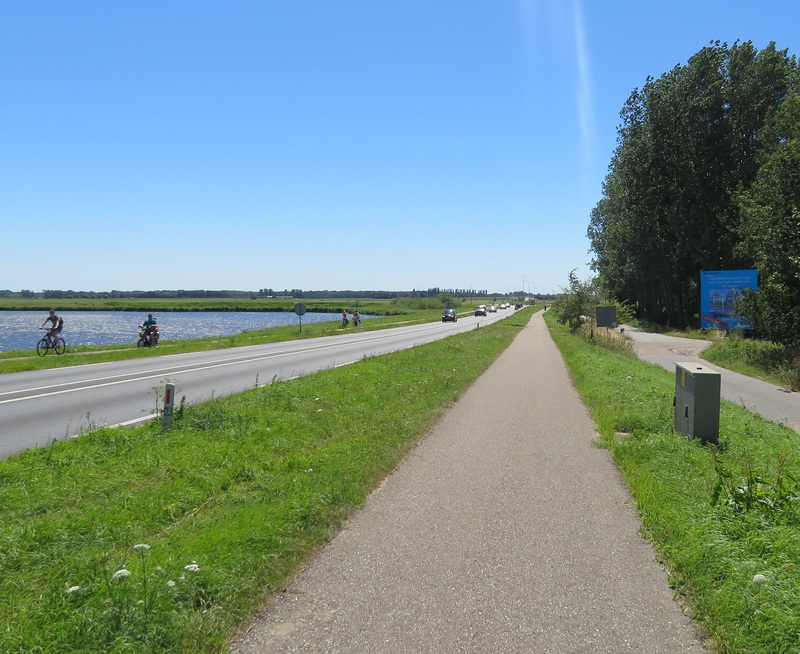 In the end I chose to cycle back into Flevoland, in order to cycle alongside the water in an effort to stay cool. 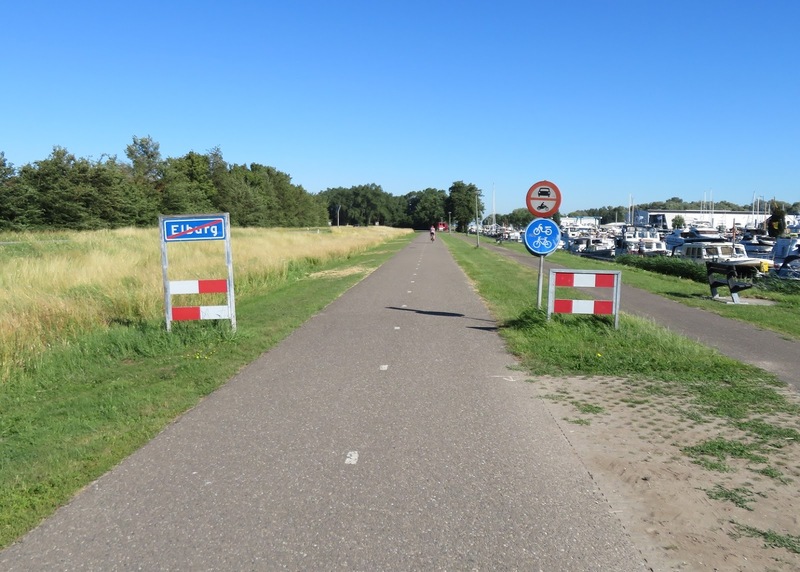 I then cycled around the marina on the other side, which brought me back onto a bidirectional cycleway. 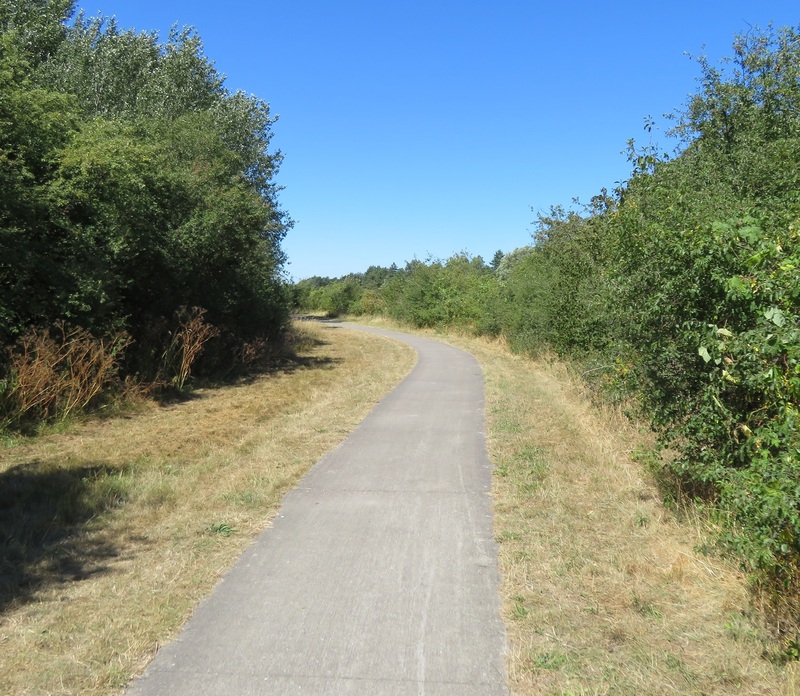 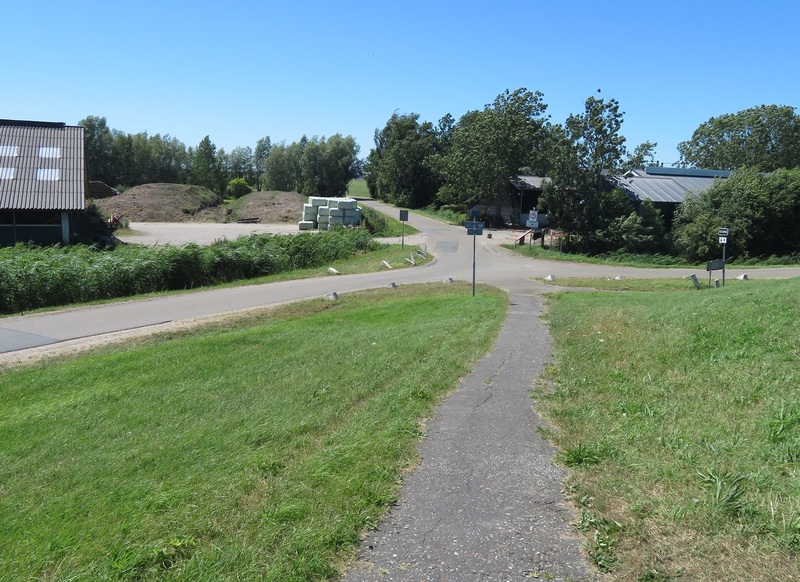 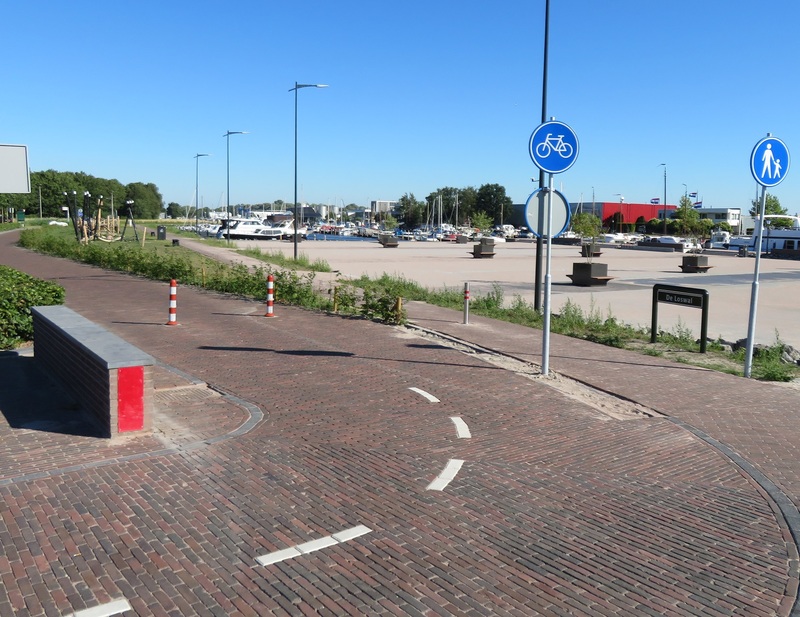 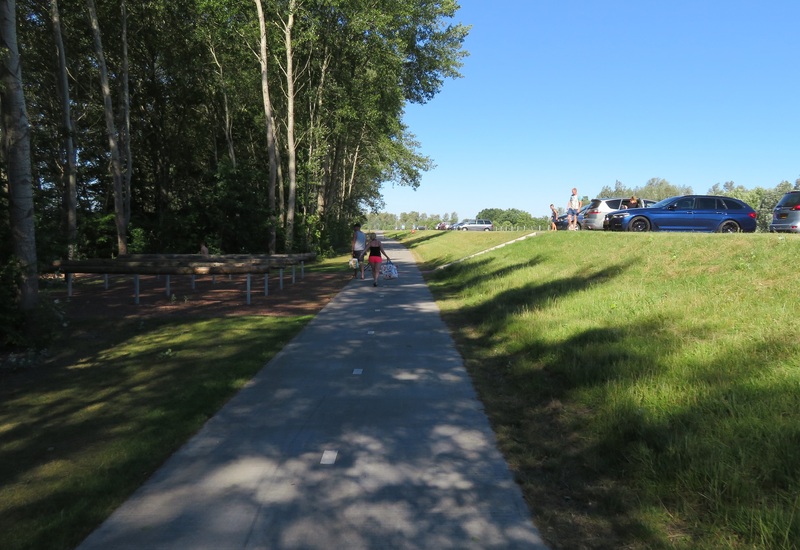 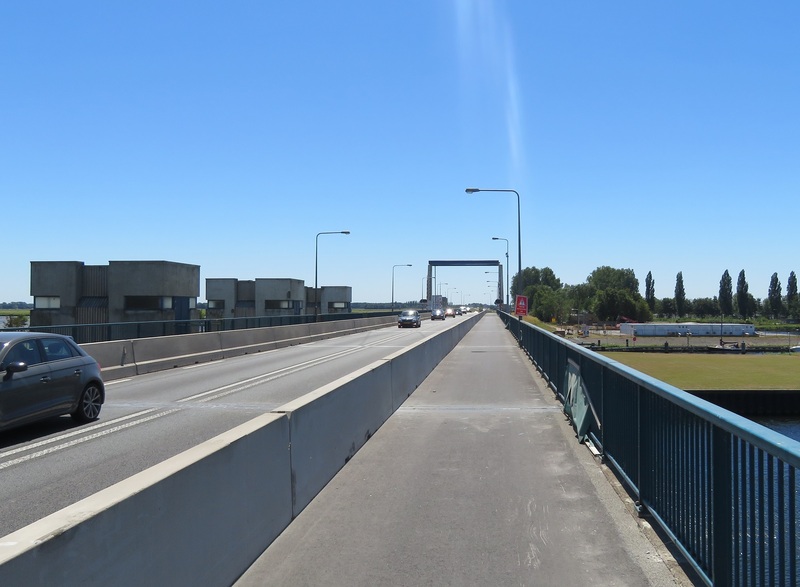 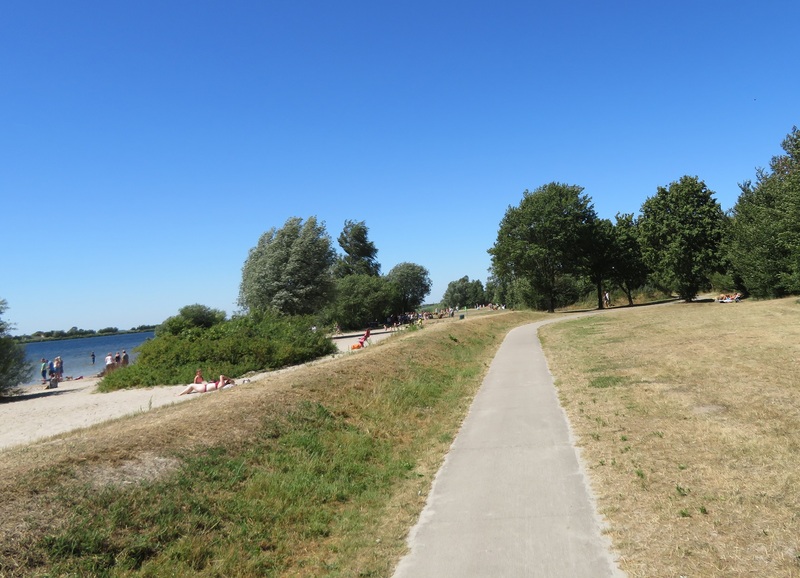 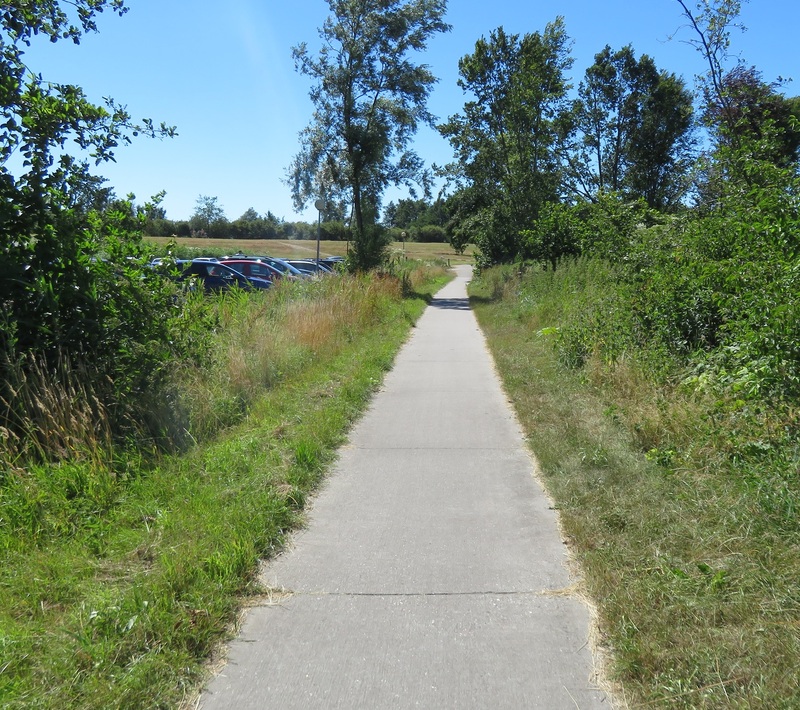 The cycleway changed from cobbled to asphalt, with access maintained for motor traffic to park alongside the cycleway, as I cycled past dozens of moored boats and then out of Elburg, back onto a cycleway which only allowed cycles to use it. 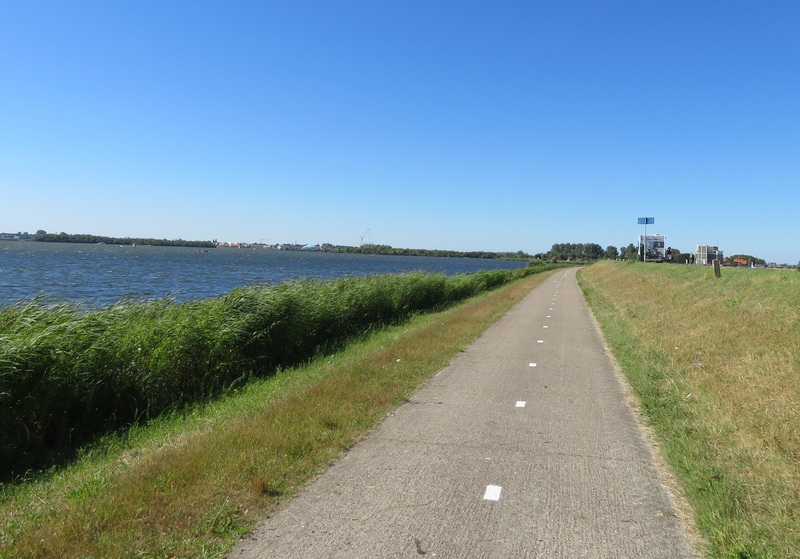 The cycleway soon joined alongside the N309 road as it approached the Veluwemeer lake, which I then crossed over on a bridge. 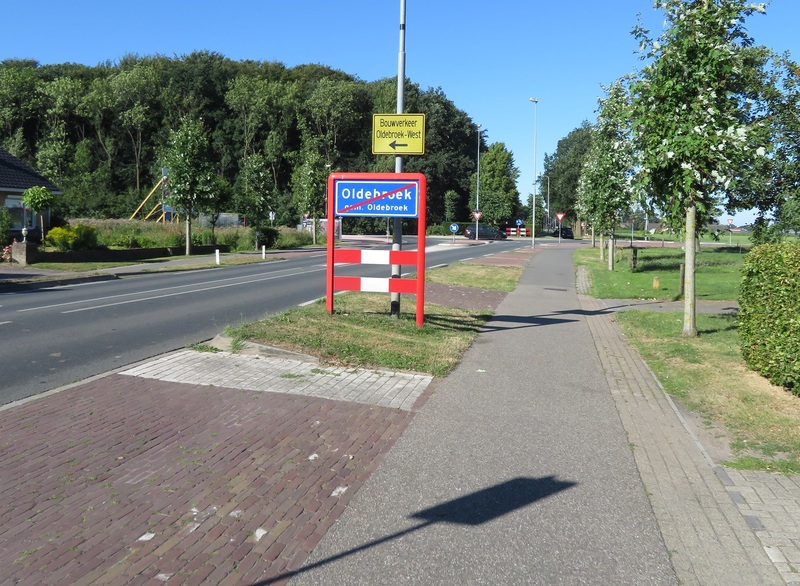 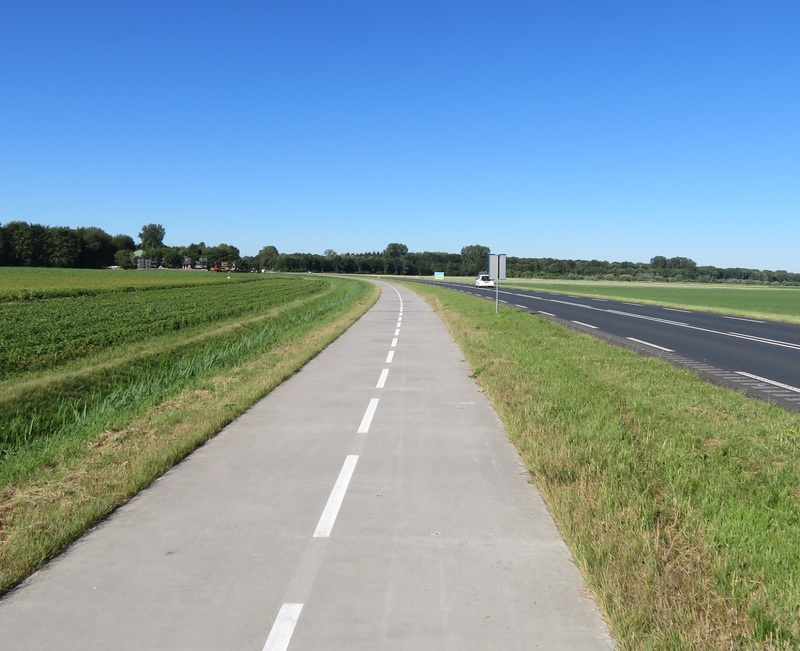 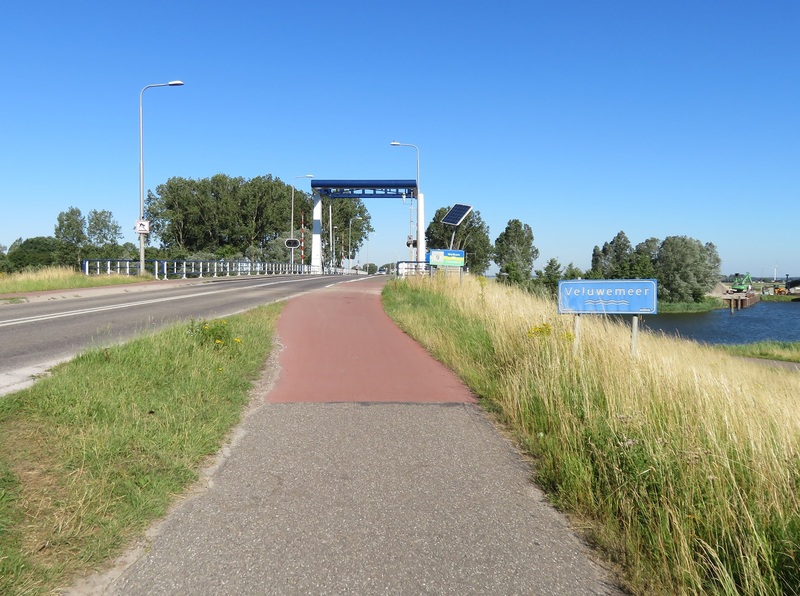 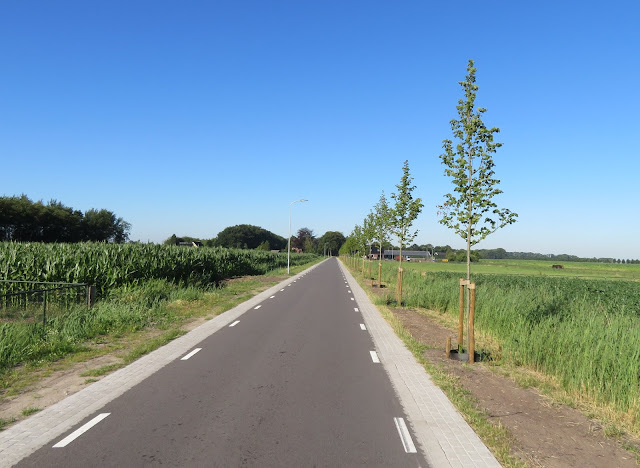 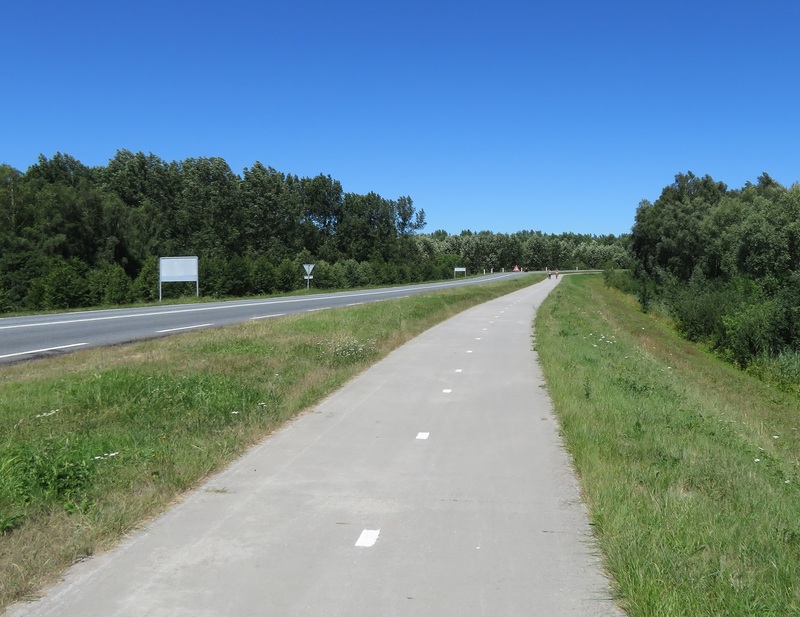 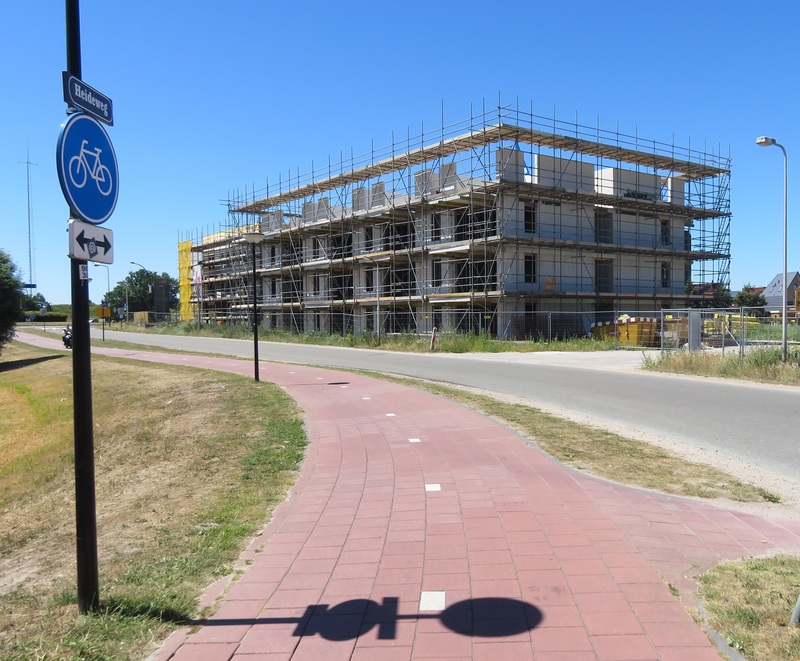 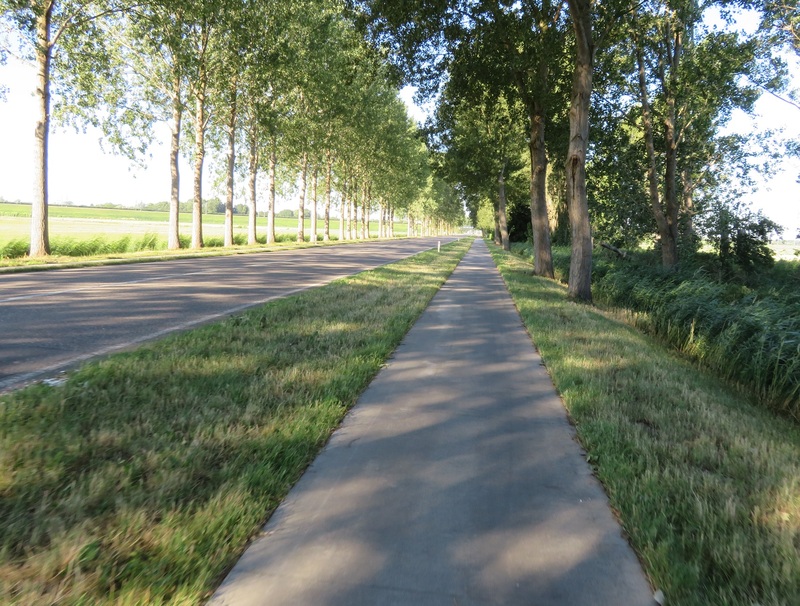 I was now exiting the province of Gelderland and entering Flevoland again and I immediately turned left to cycle on a cycleway constructed of concrete slabs alongside the N306 road. 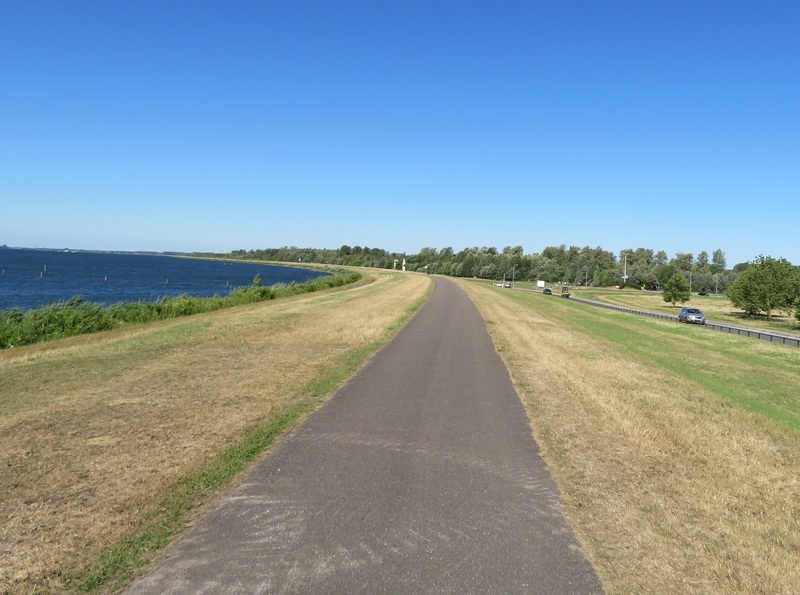 I turned left onto a road heading back towards the lake and then turned onto a block paved road on top of a dike running alongside the lake. 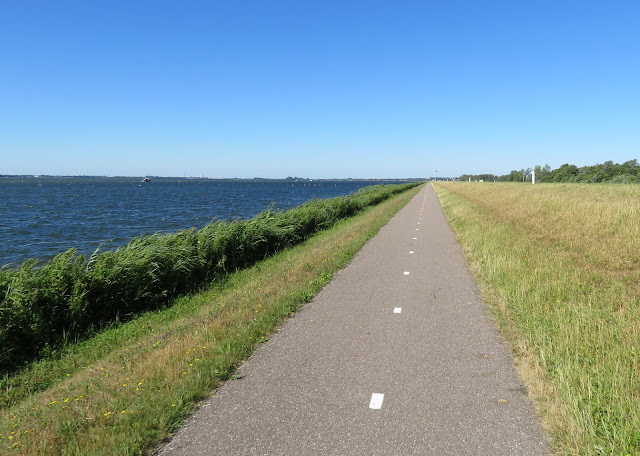 I was really not keen on this bumpy route especially as I saw how far it stretched into the distance, but it was then that I spotted a cycle track running between it and the beach alongside. 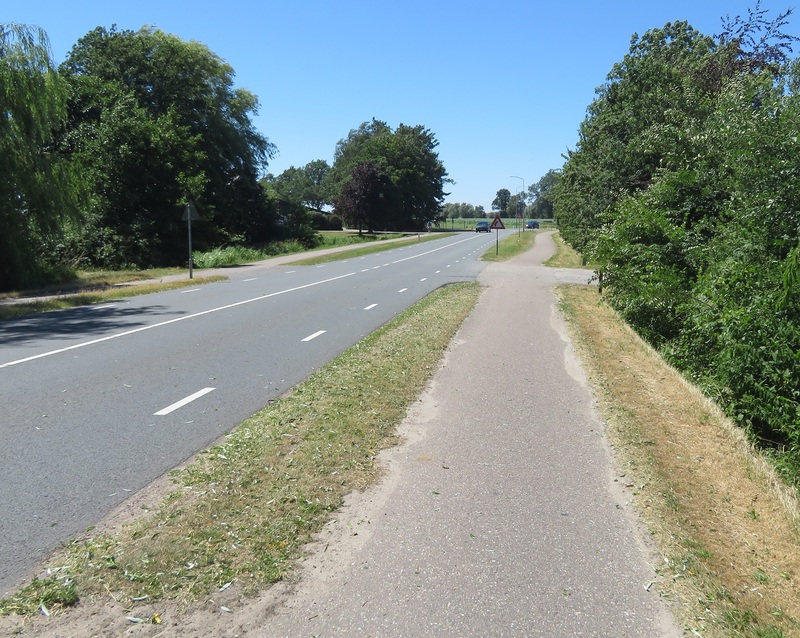 I briefly stopped at the beach for water, food and to top up sun lotion before joining the cycle track to run between the beach and the road, shielded by trees from both of them. 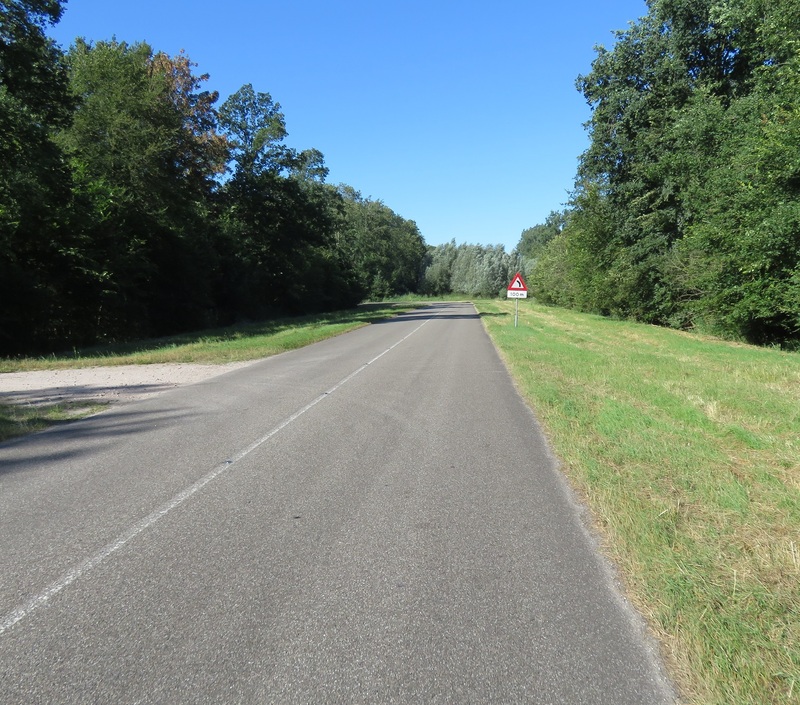 It continued like this, with the odd glimpse of the beach or road through gaps in the trees, for the next three kilometres. 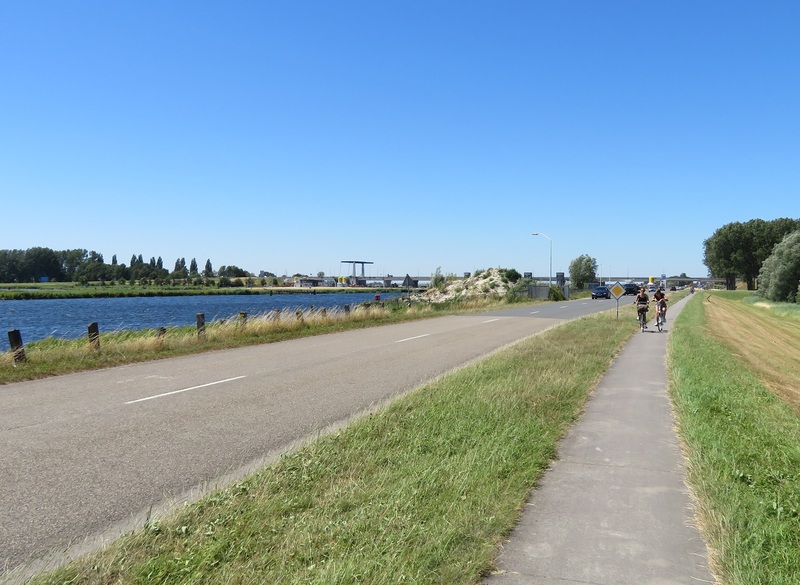 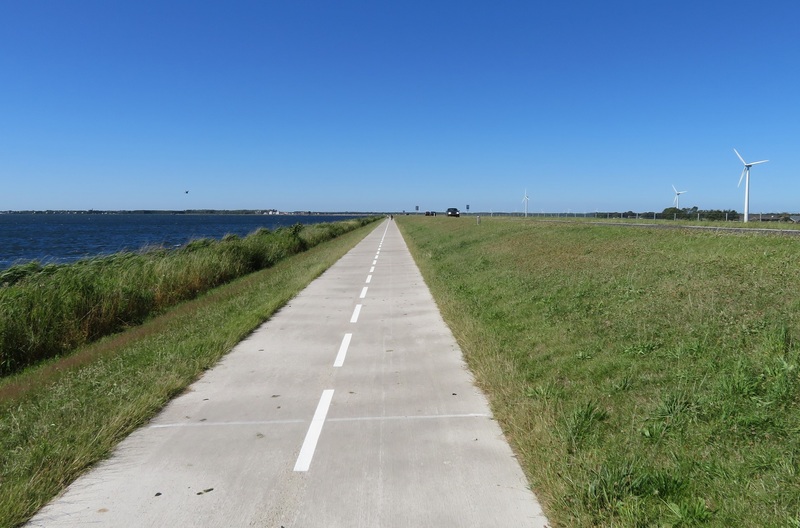 The road then turned away to the right so the cycleway ran on top of the dike with nice clear views either side. 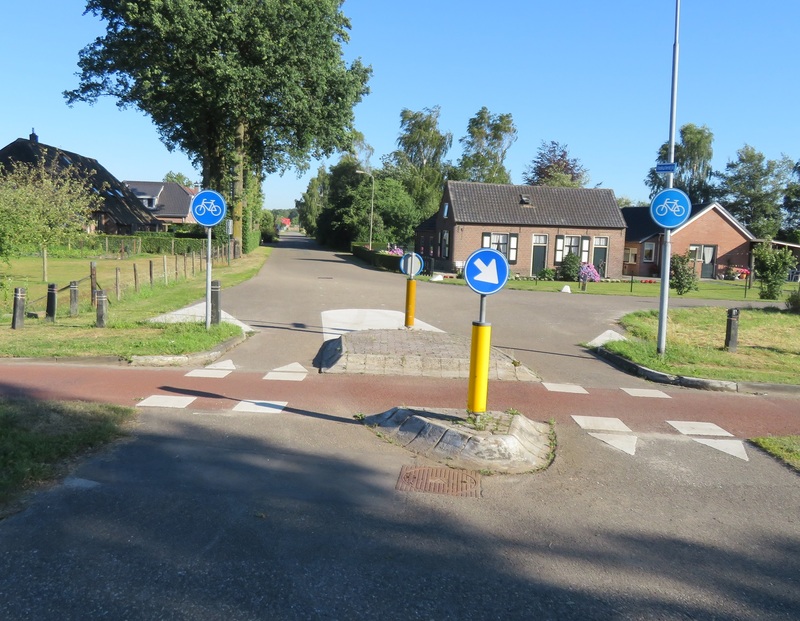 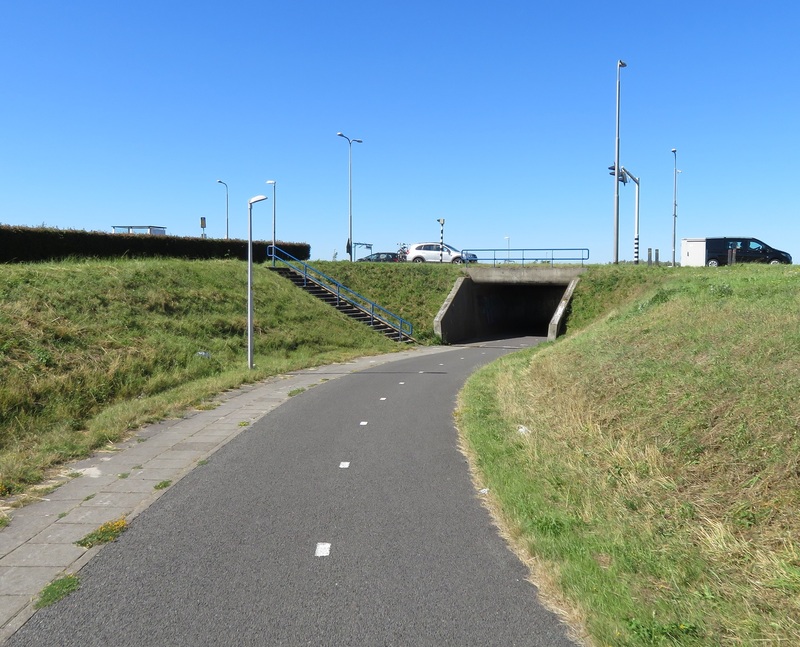 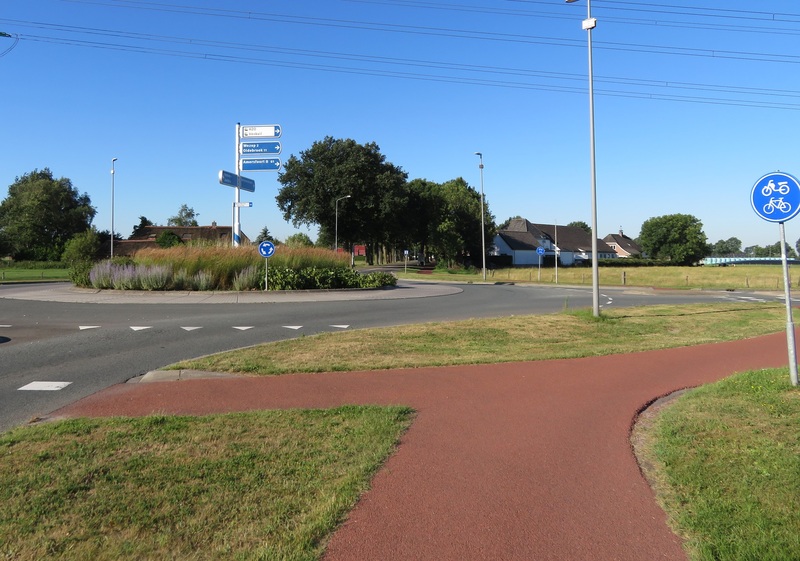 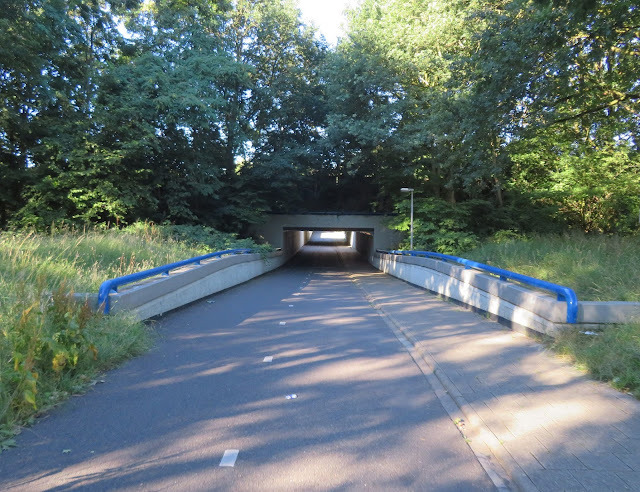 I then came to a T junction and, instead of turning left, to cycle back into Gelderland and visit Harderwijk via the world's shortest underwater tunnel I instead turned right to cross over the N707 and then turned left, to cycle alongside it on a a cycleway for the next three kilometres. 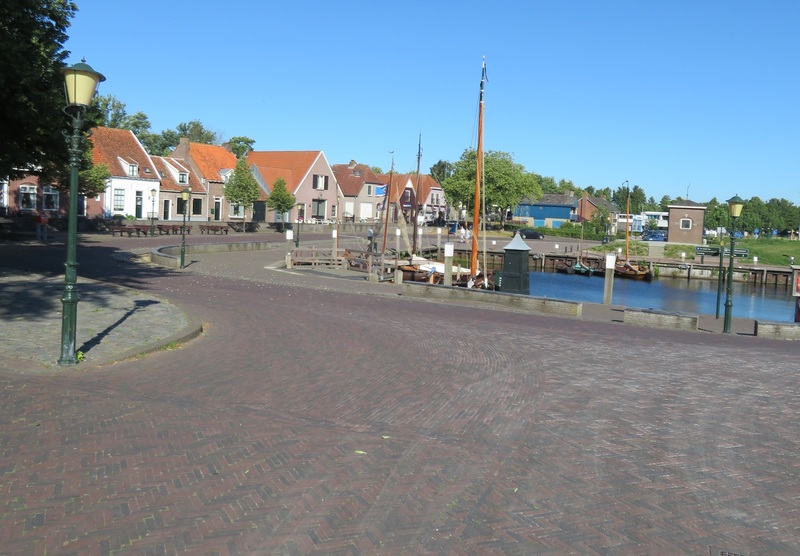 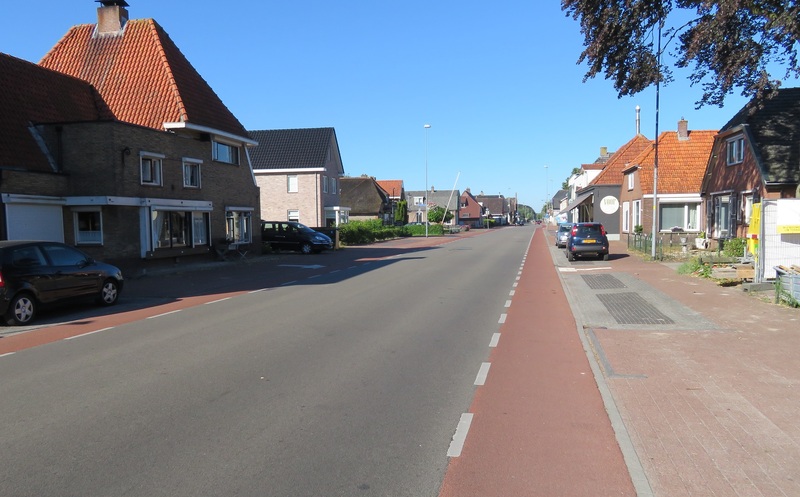 As I entered Zeewolde the cycleway turned to the left so as I was cycling directly into a strong headwind. 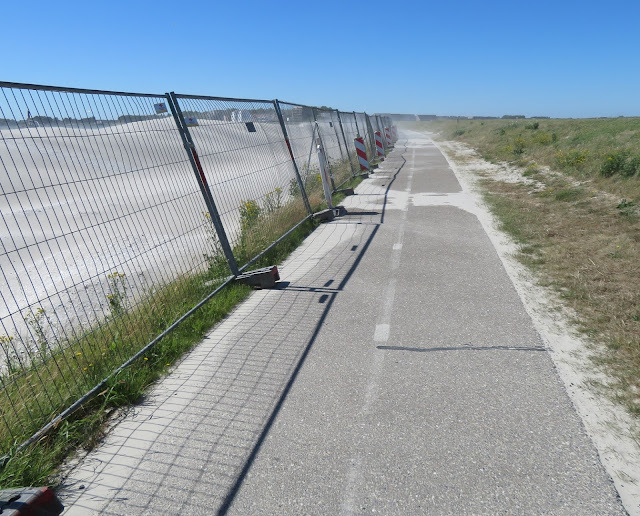 Somebody had thoughtfully placed large mounds of sand alongside the cycleway exactly at this point and so I was then cycling through a fierce sandstorm. I covered my eyes, closed by mouth, put my head down and tried to battle through as thousands of grains of sand hit me directly in my face and, despite my best efforts got into my eyes and throat. 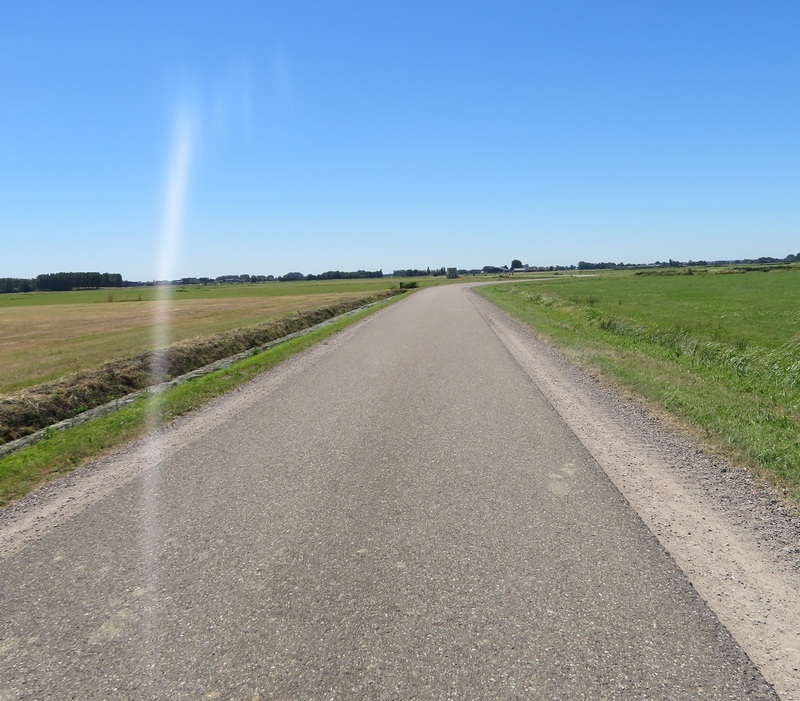 I stopped for a few minutes to recover from this and then continued into a very strong headwind. 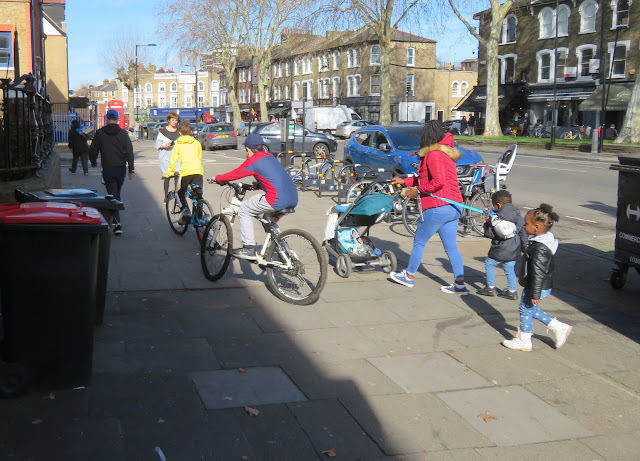 I rose to my feet, put the bike into the highest gear but could still only just get up to a snails pace as I battled as hard as I could to move the bike. 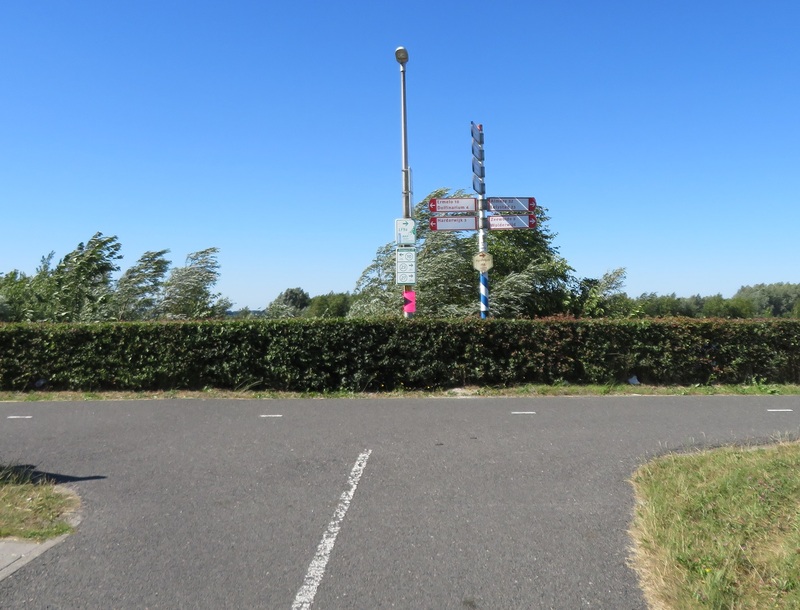 As I got to the top of a small incline and the wind slowly eased a large group of men dressed in lycra at the side of the cycleway all cheered me on as I made it to the top, and I duly fist pumped the air in celebration, as if I'd just won the Tour De France. 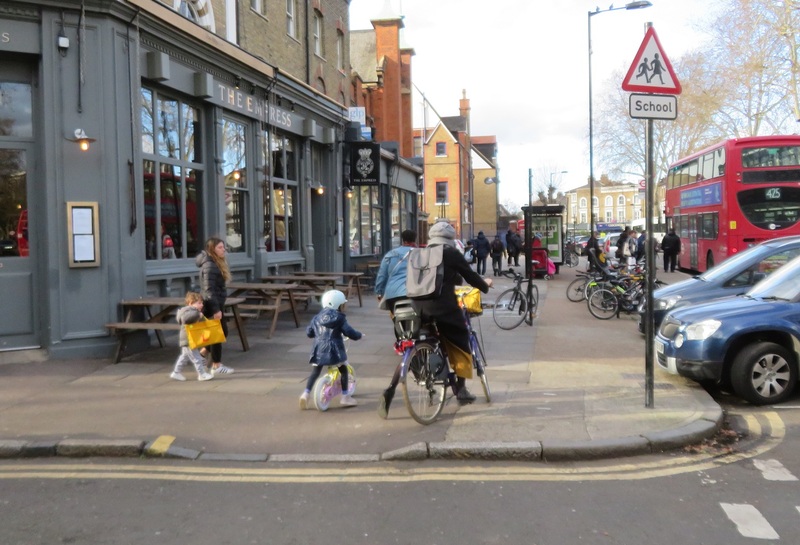 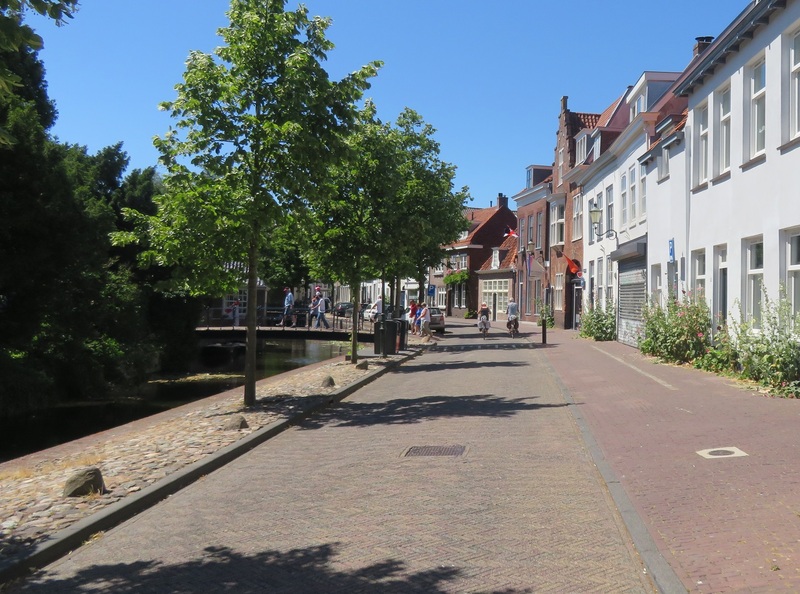 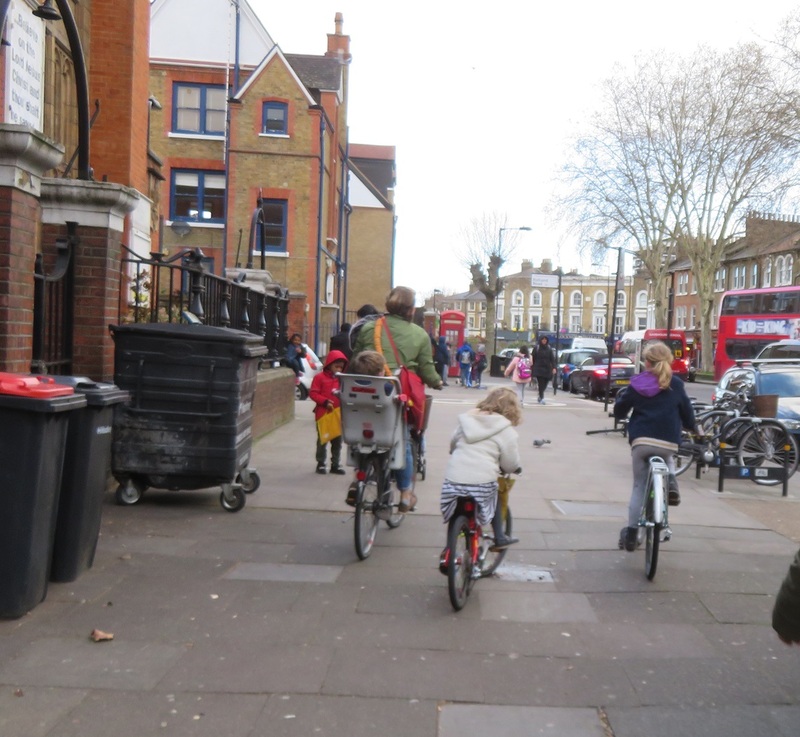 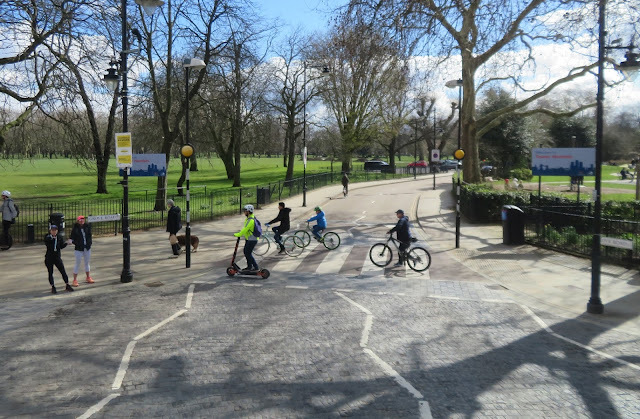 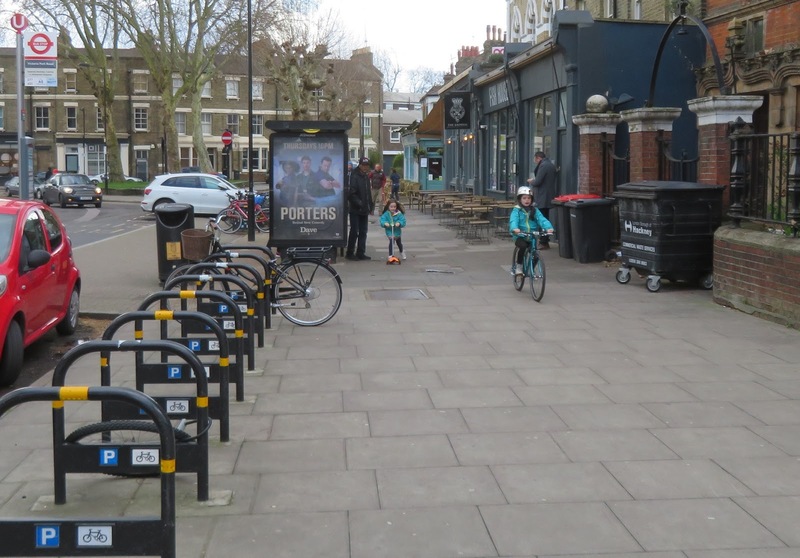 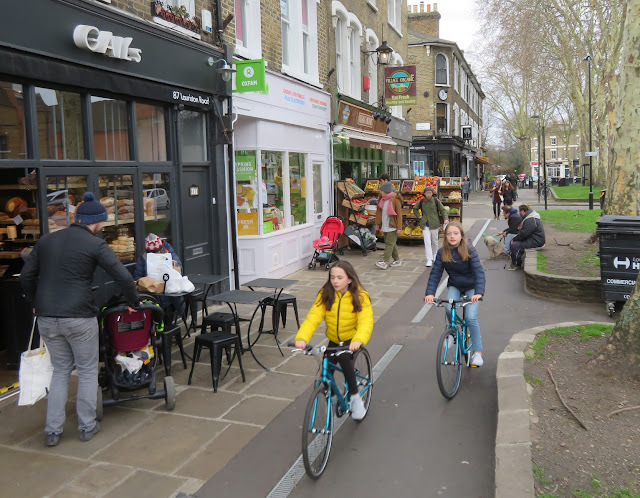 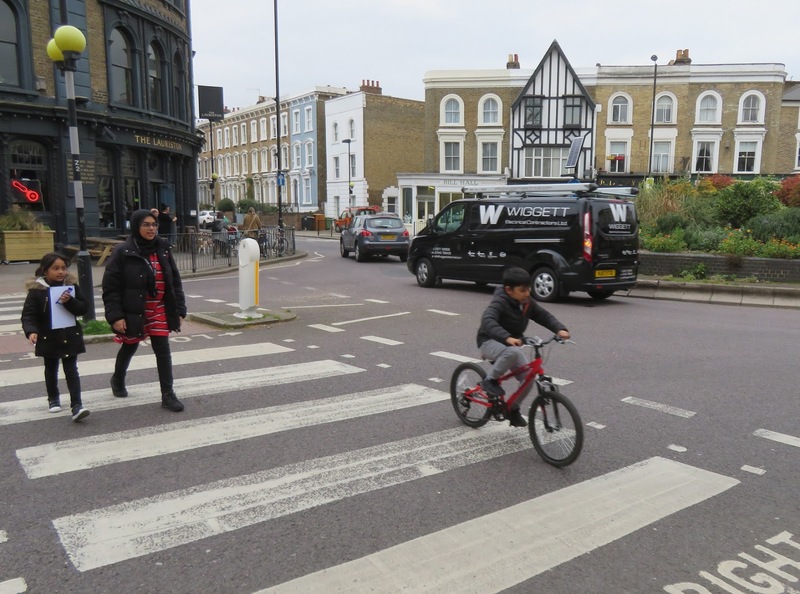 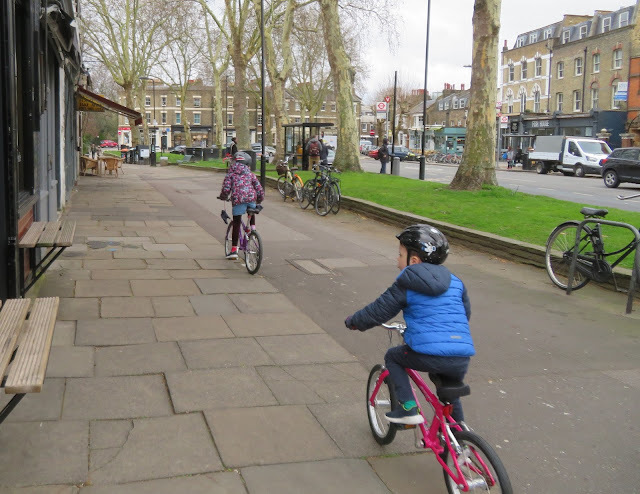 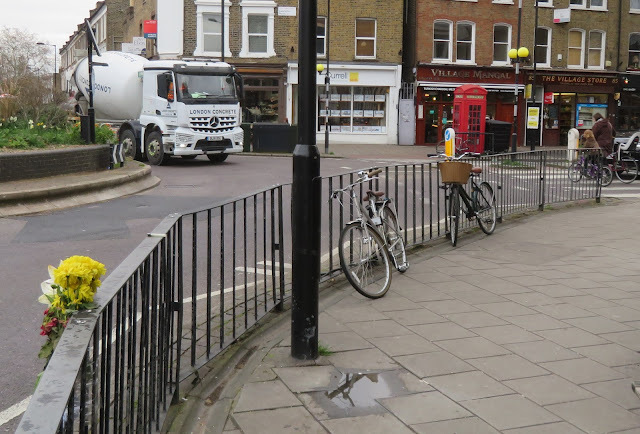 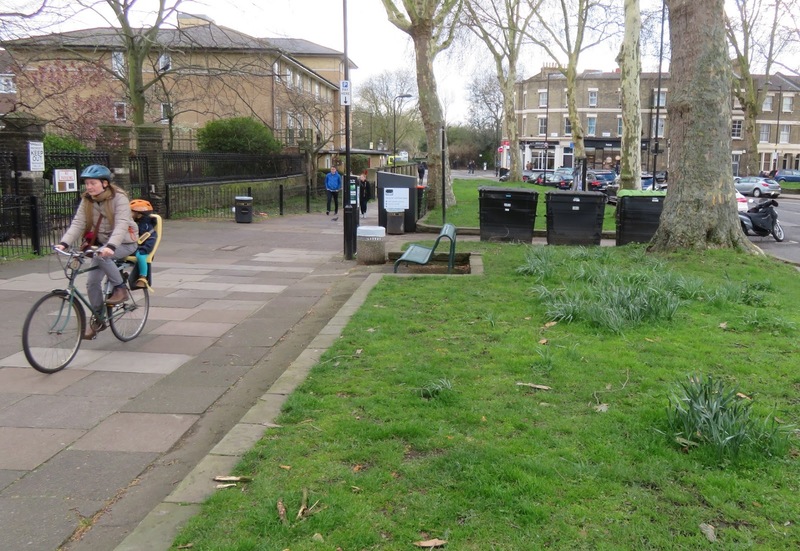 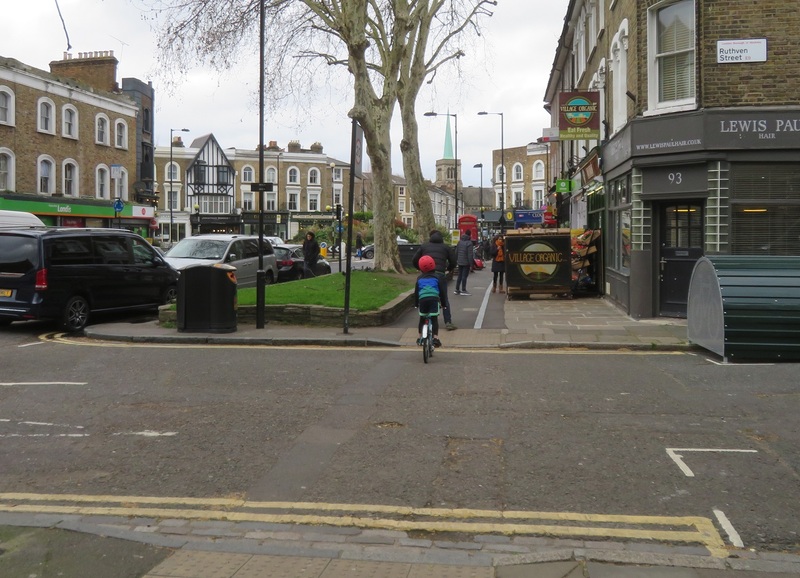 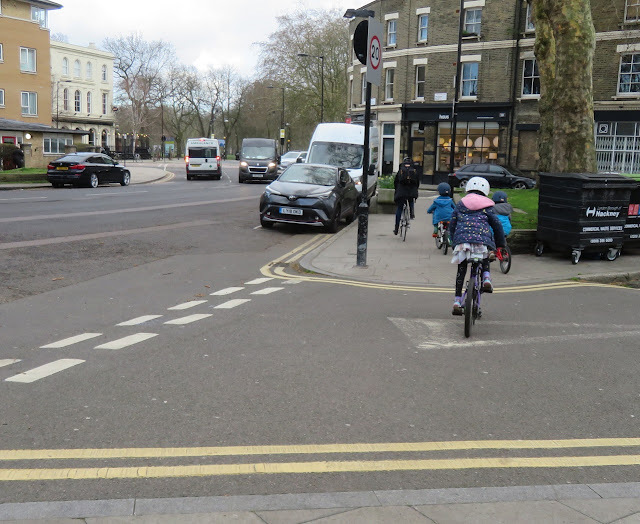 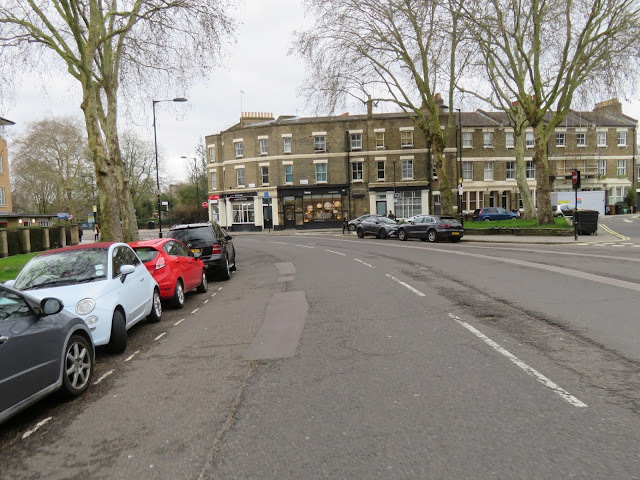 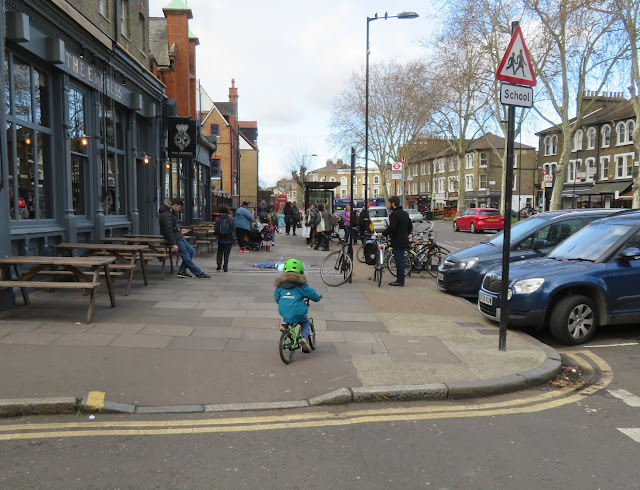 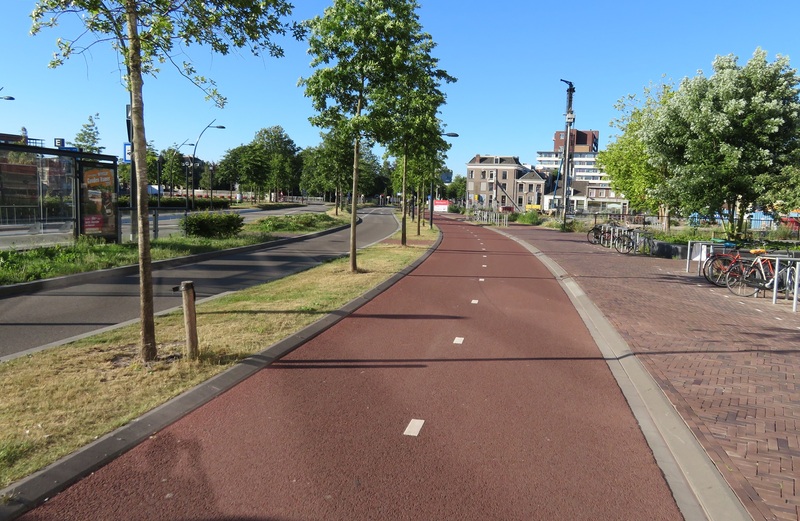 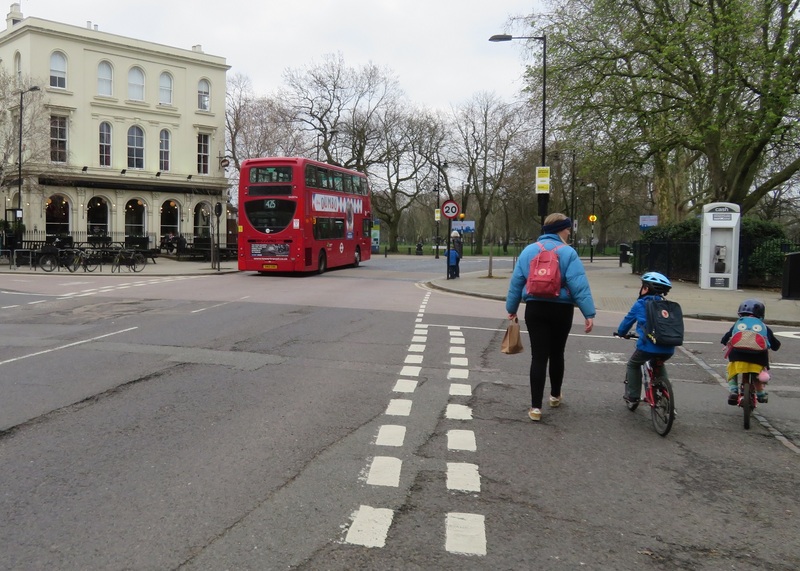 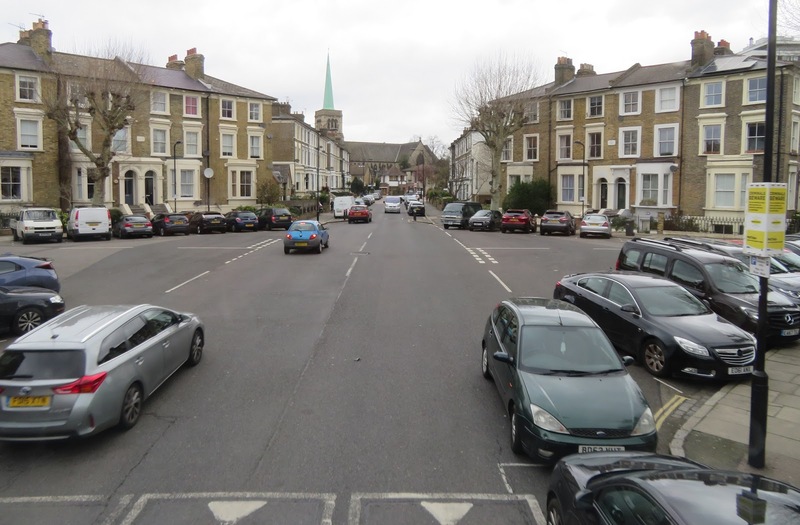 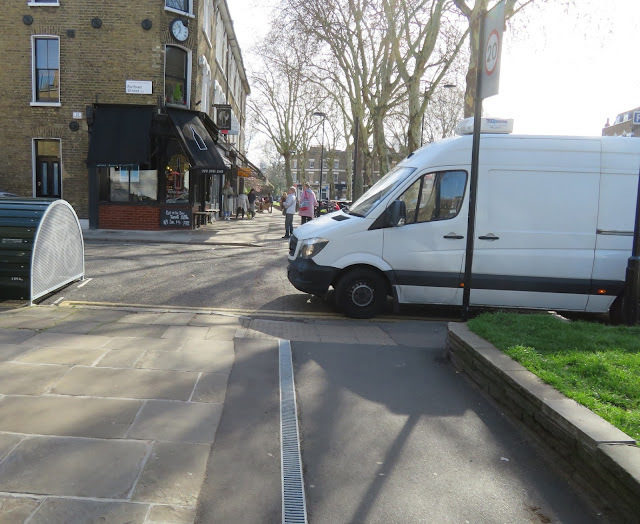 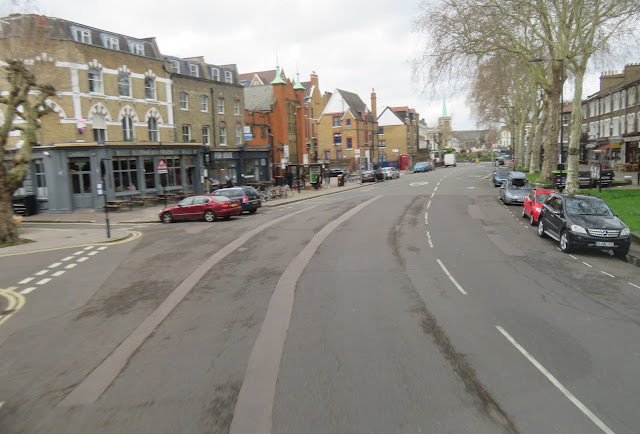 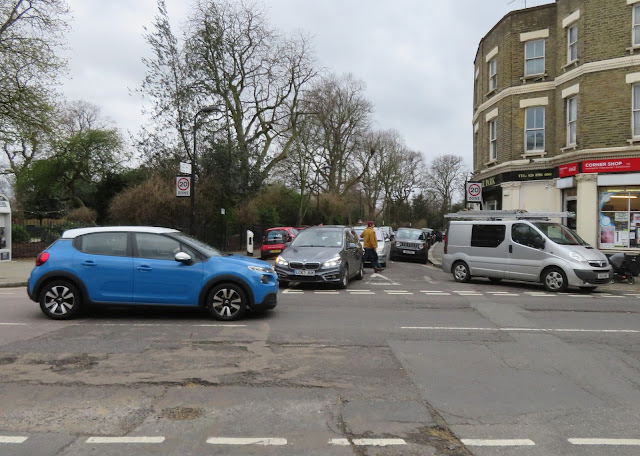 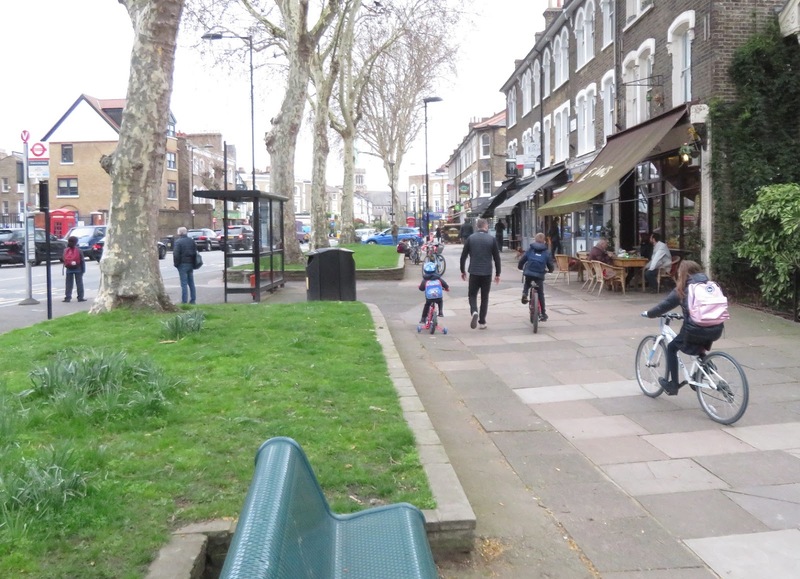 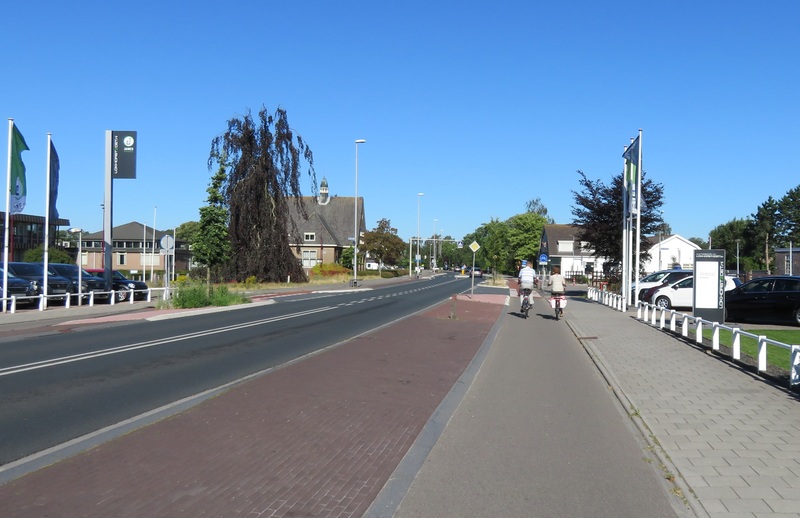 As I entered the centre of the town the cycleway turned into a service road alongside the main road, back to a cycleway and then another block paved cycleway running parallel to an almost identical looking road alongside. 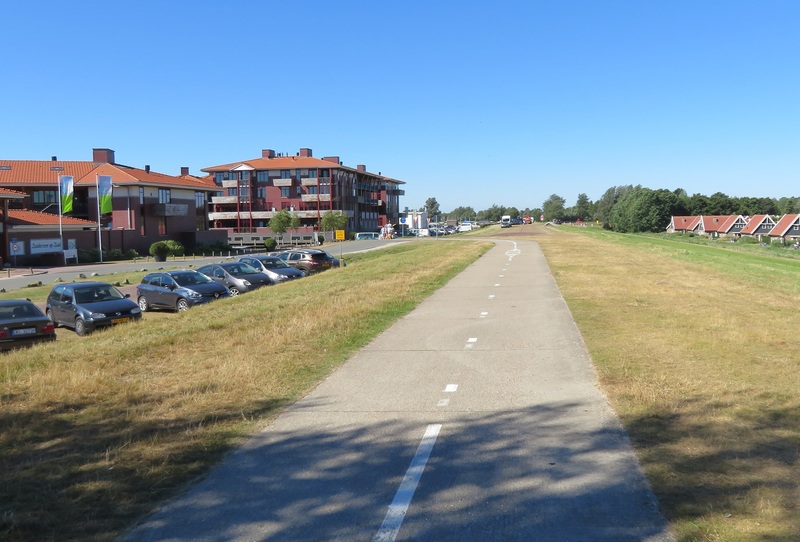 The main road then turned to the right but the cycleway continued on, elevated above an access road to the beach which ran below us to the left. 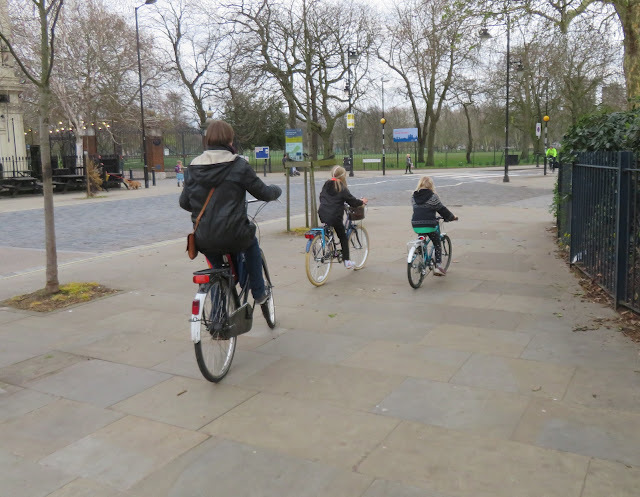 and then crossed over a road to cycle alongside it. 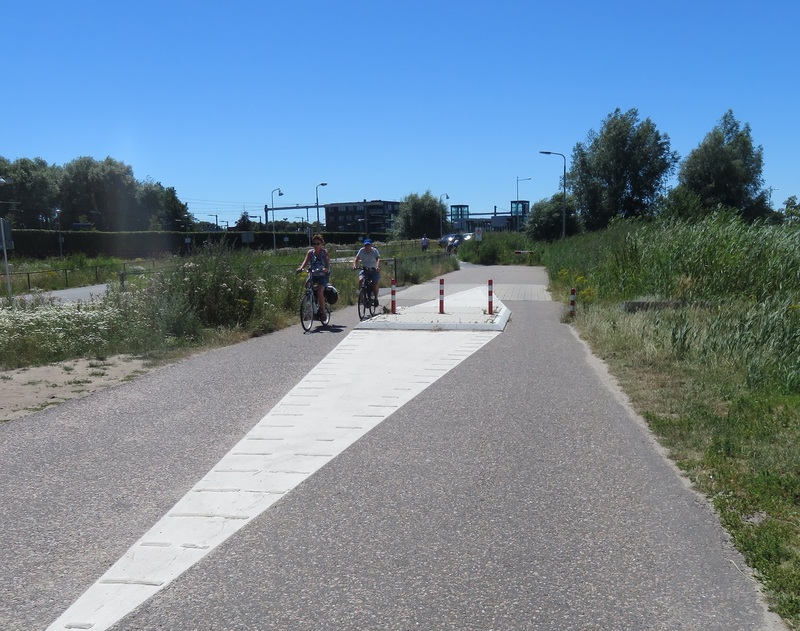 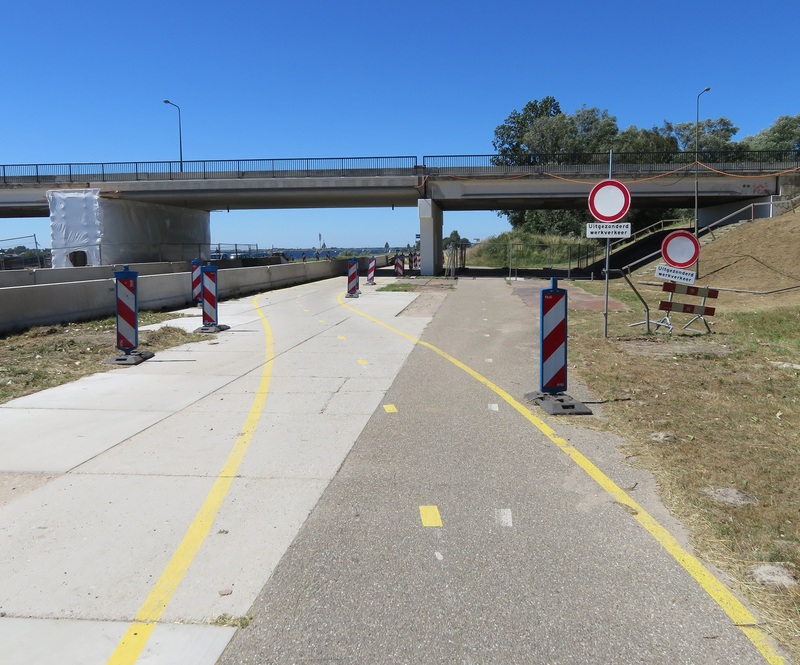 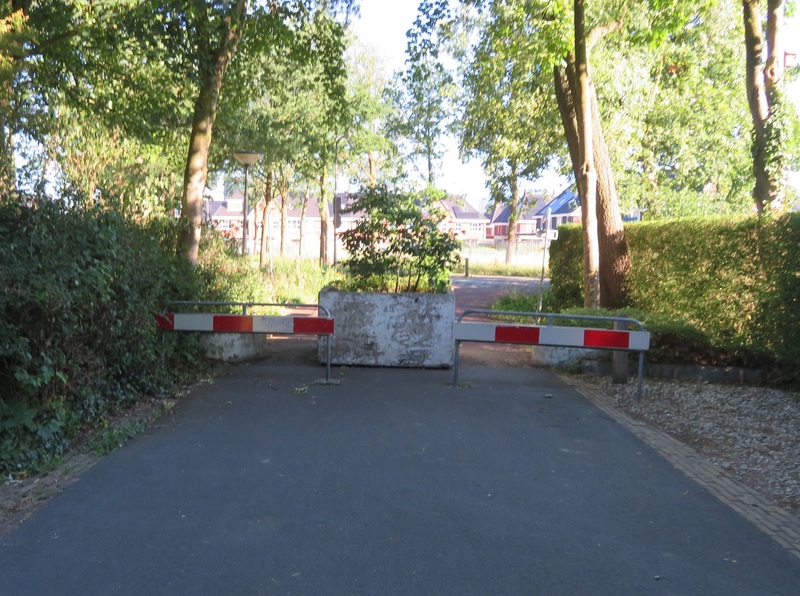 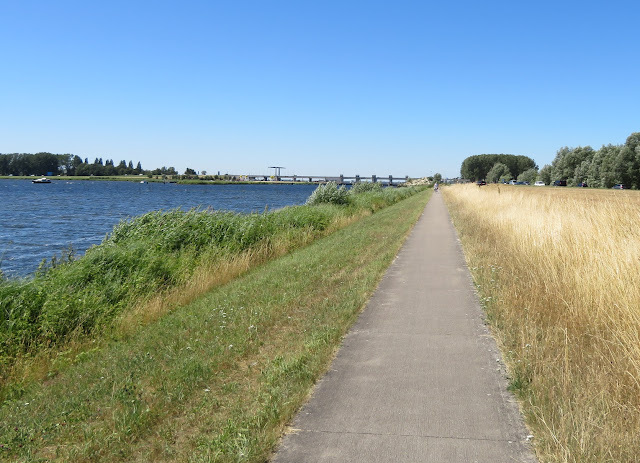 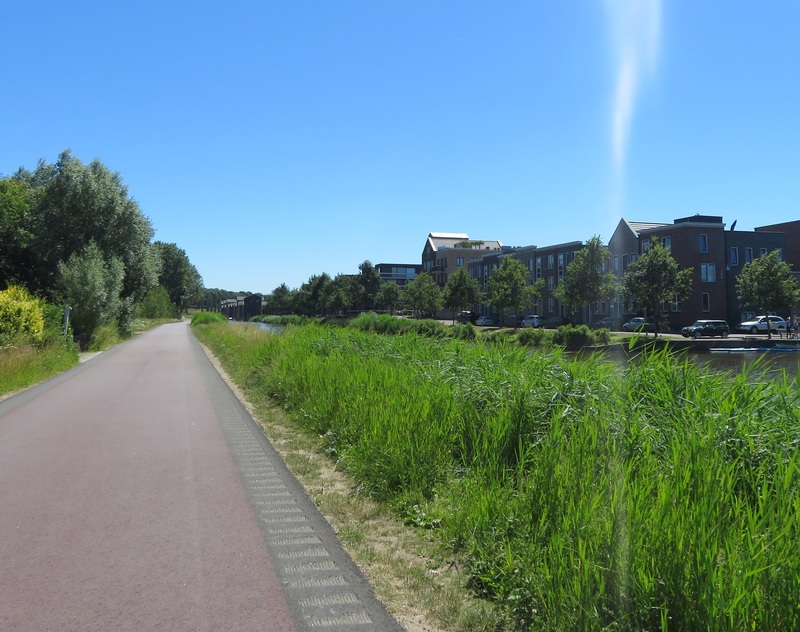 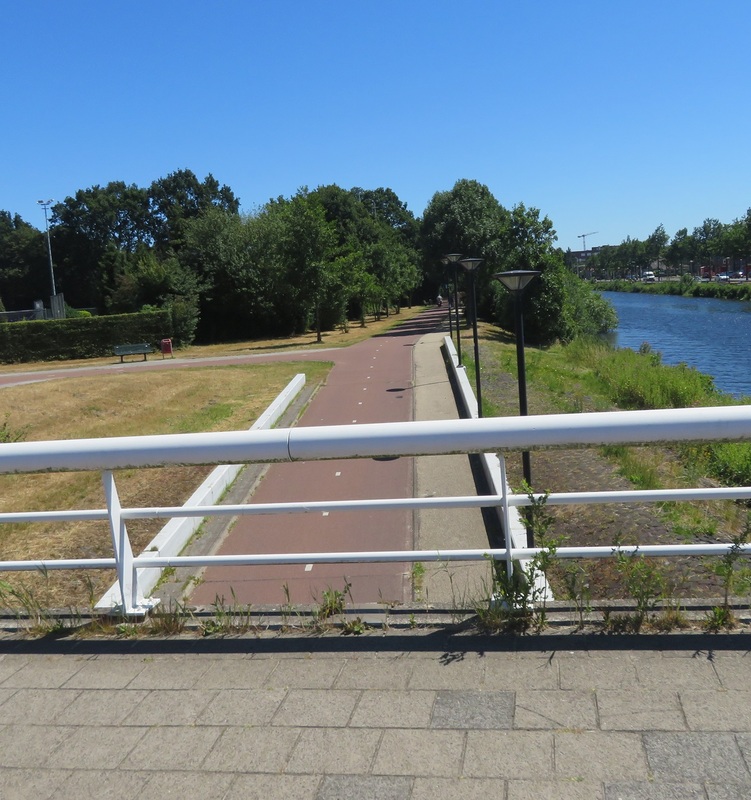 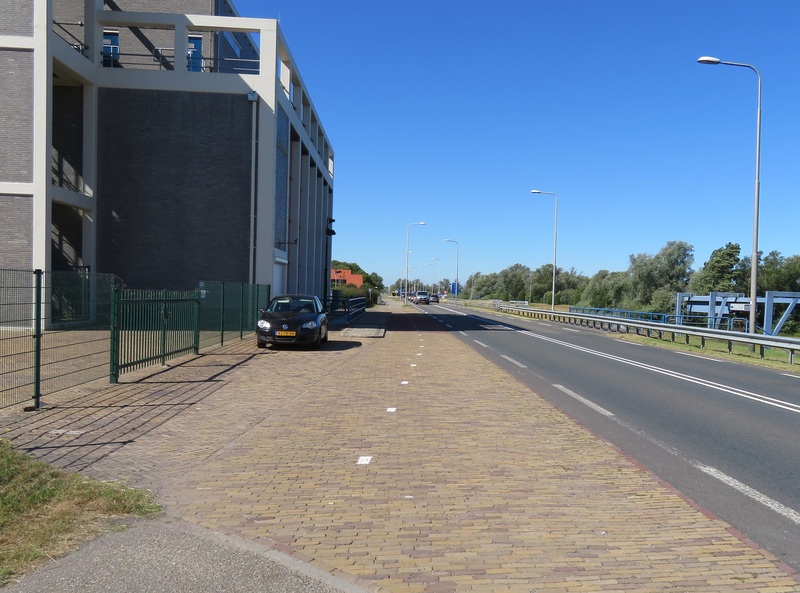 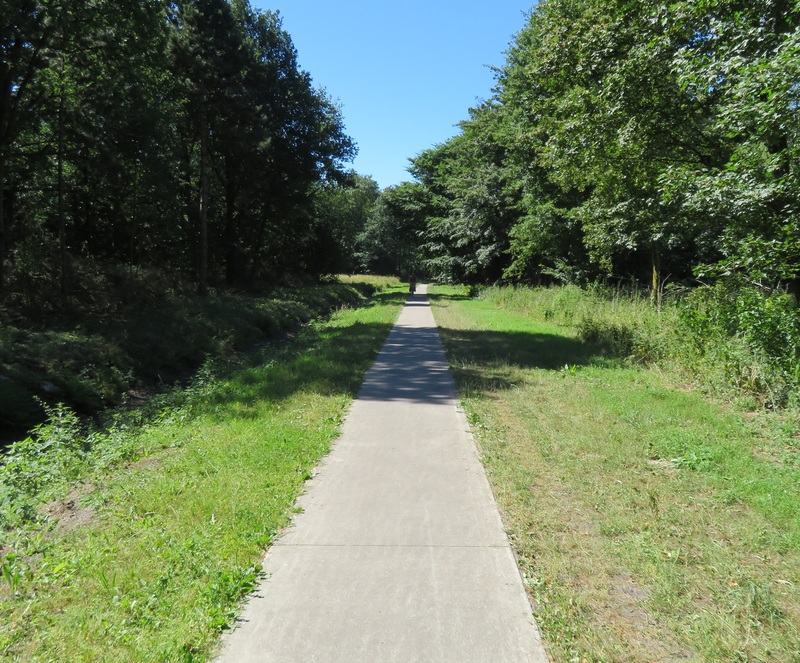 This path soon widened and as I passed under Nijkerker bridge some roadworks diverted me onto a temporary cycleway. 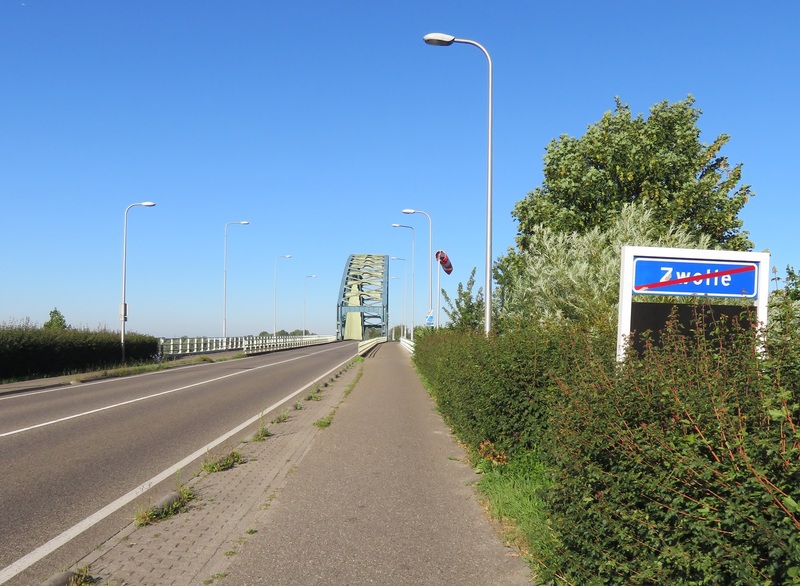 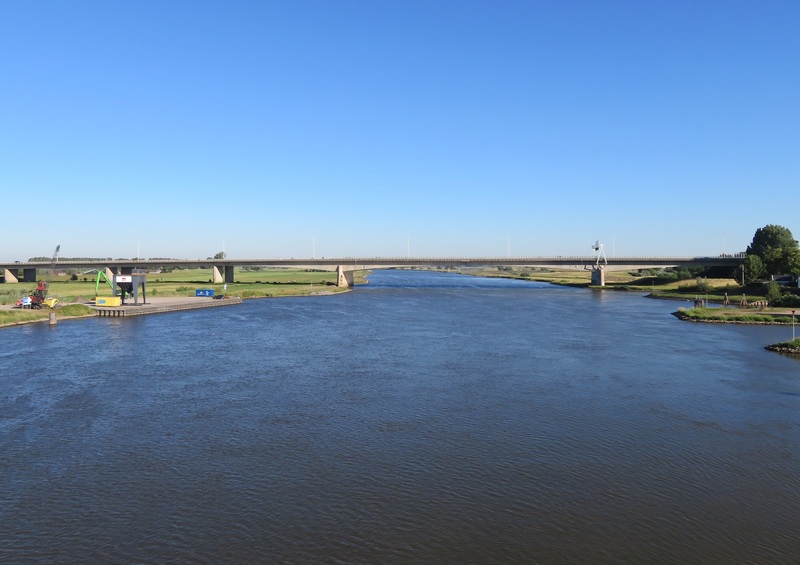 As I needed to cross the Nijkerker Bridge I cycled on a long loop and then crossed over the route I had just used as well as the Nijkerkernauw lake to finally be back in the province of Gelderland again. 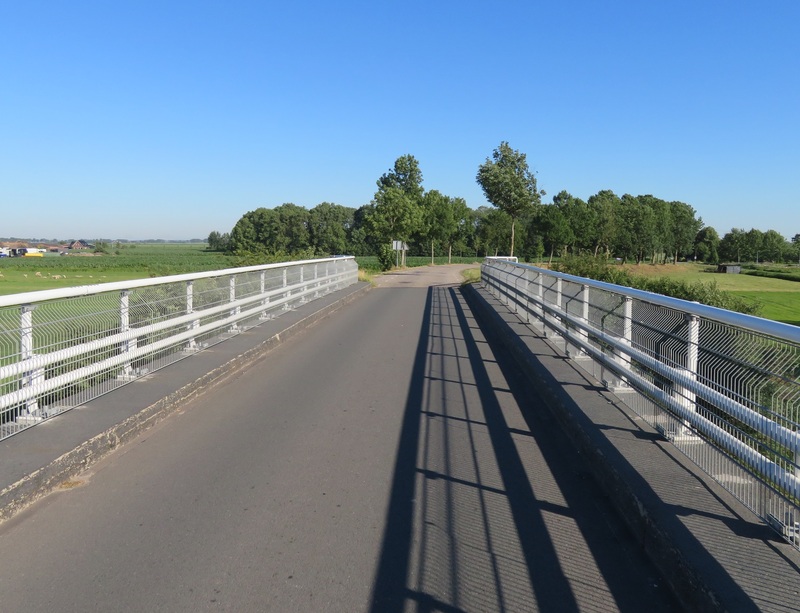 I descended down from the bridge, then turned right at a roundabout to cycle along a country road on cycle lanes. 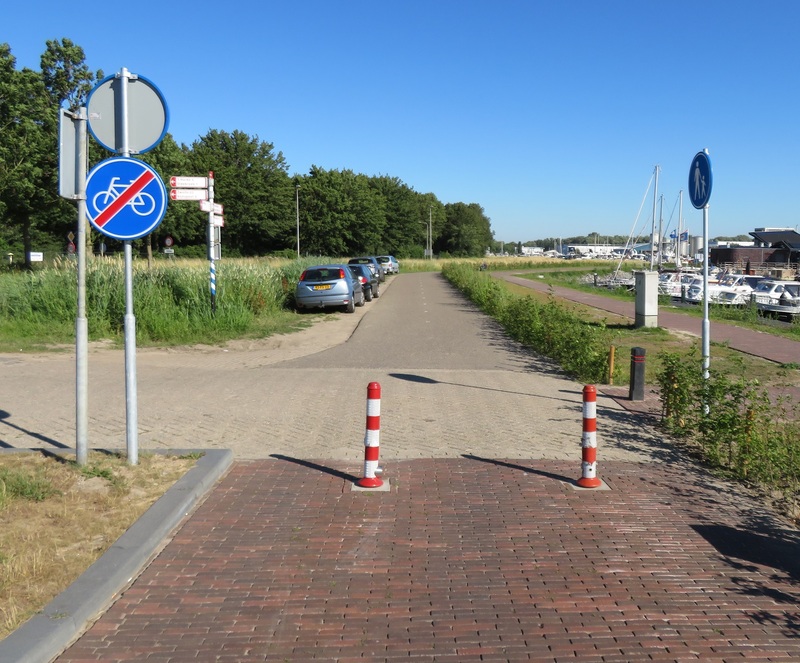 A cycleway soon appeared and I was directed onto it. 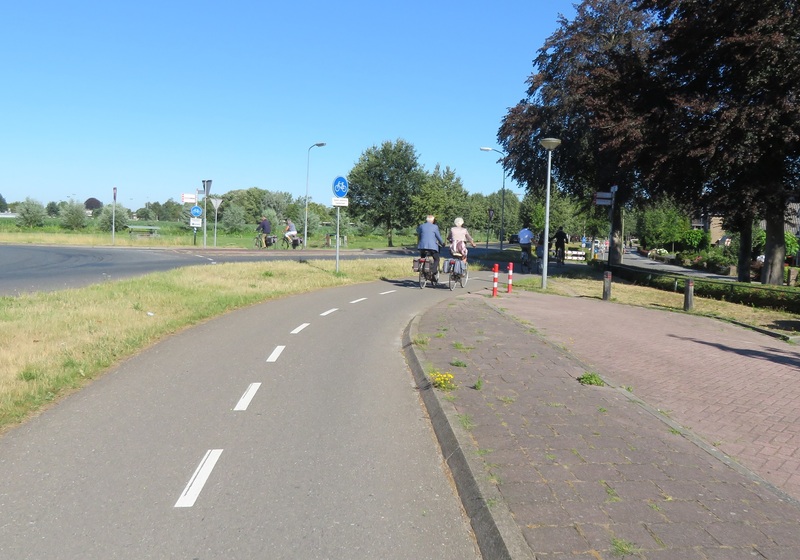 It was very narrow and elevated above the road and it was no surprise to see some people on road bikes ignore it and use the road below instead. 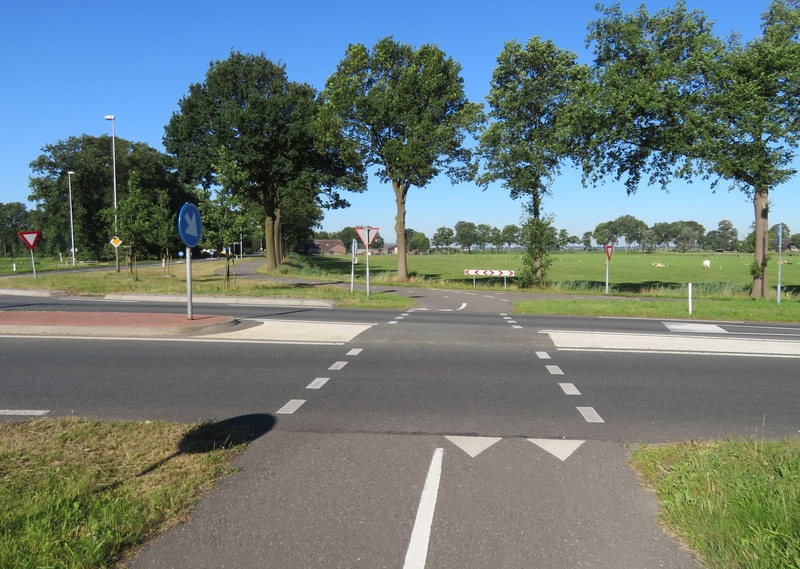 I soon needed to turn left onto another road so cycled down from the cycleway to join it. 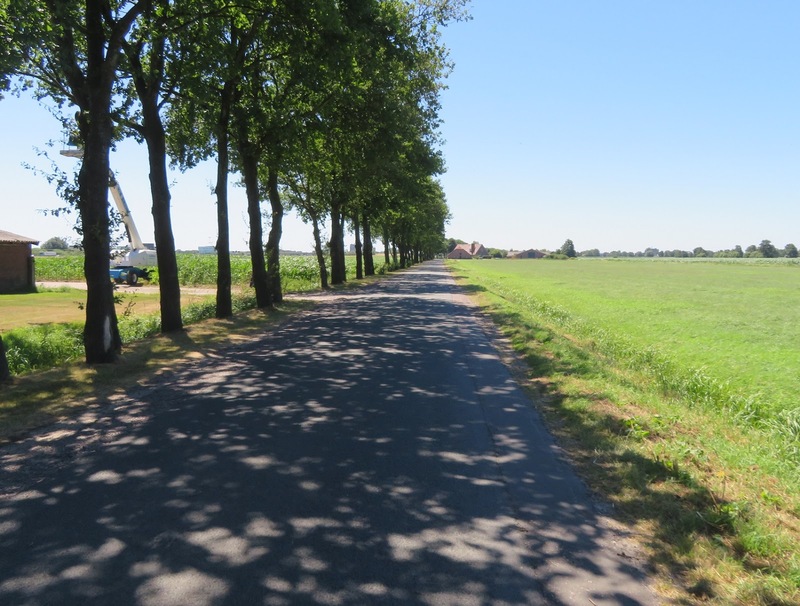 For the next four kilometres I cycled on country lanes, with no shade and the scorching early afternoon sun beating down on me. 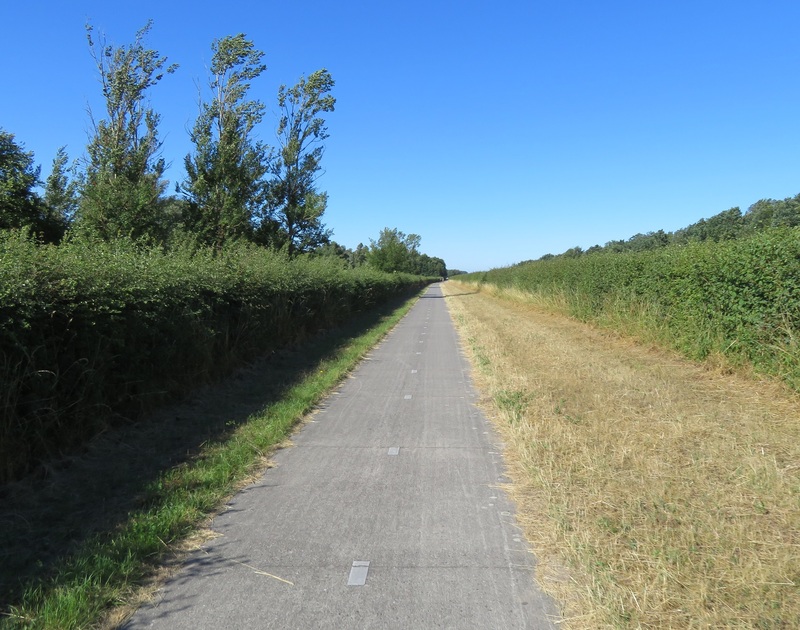 I briefly cycled alongside N806 road on a cycleway and then turned onto more country lanes for a few more kilometres, this time with some much needed shade. This road would take me out of the province of Gelderland and into the province of Utrect. 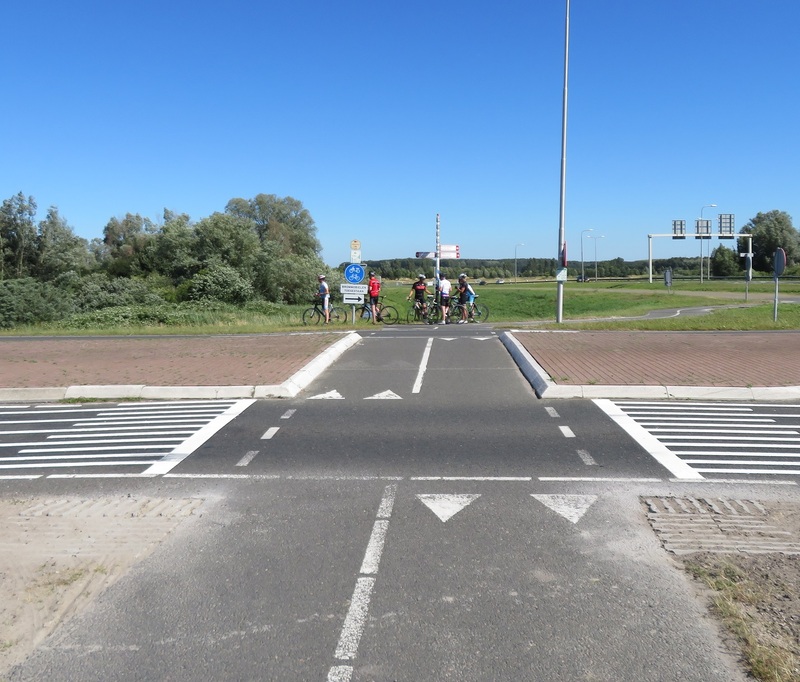 At the end I came to a waterway so the road turned sharply to the left, with a large sign on the road indicating this was a fietstraat. 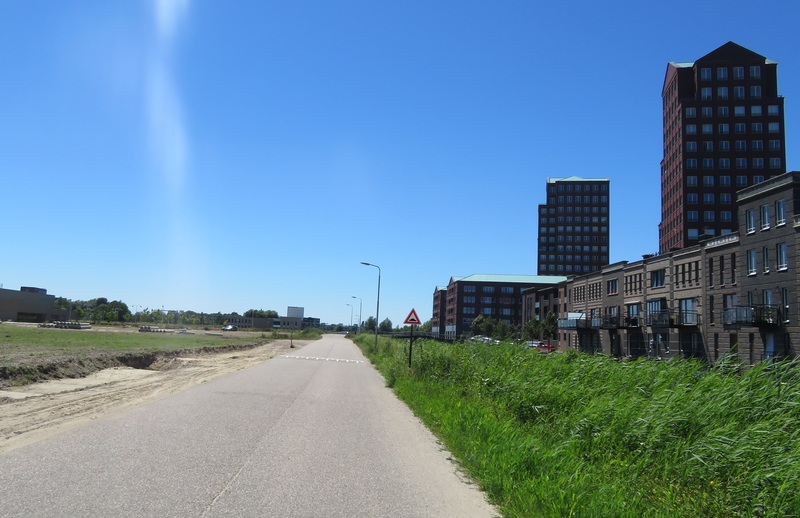 To my right over the water was what looked like a brand new development, which I now know is called Vathorst. 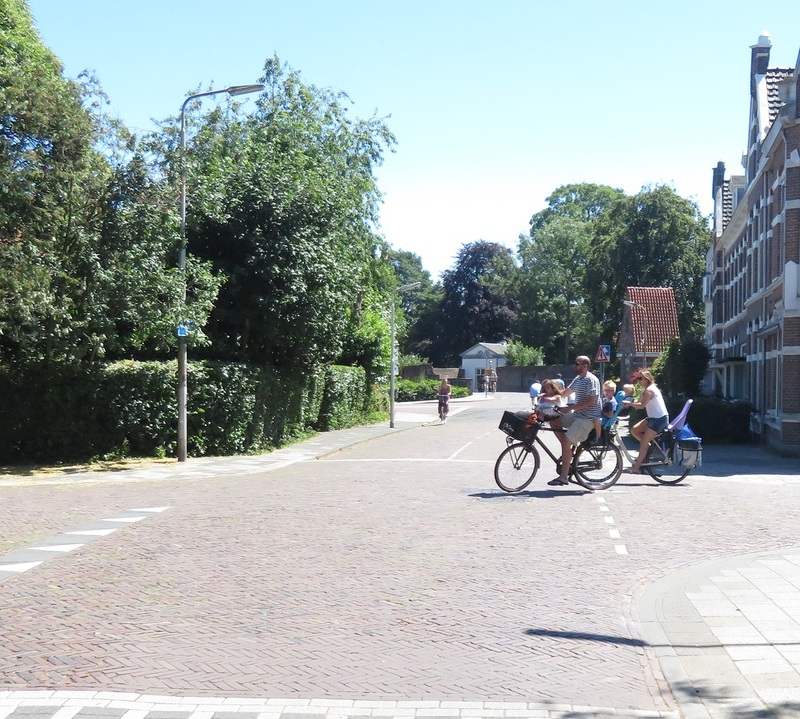 From the other side of the water I could see how the streets were built as access only streets, I could see bicycle only bridges linking the neighbourhoods, I could see children playing in the street, people on bicycles and no cars driving in it at all. 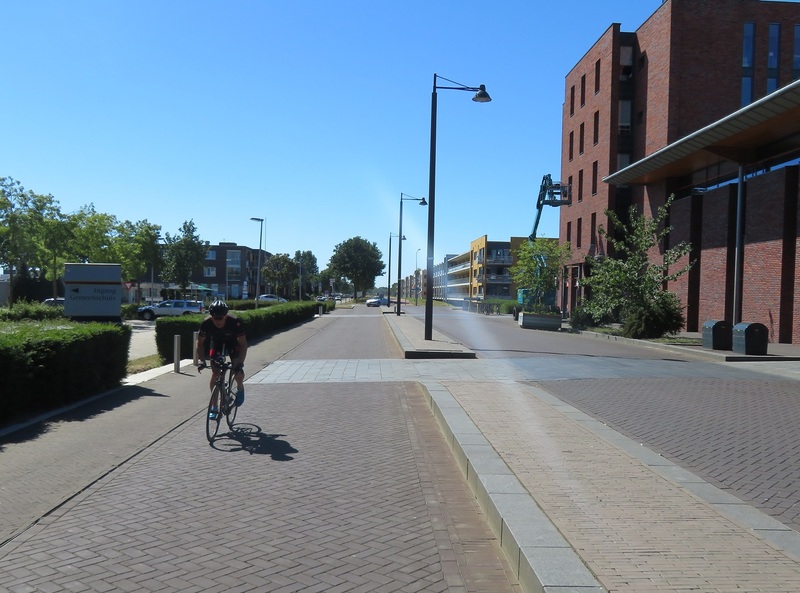 I'd seen this in other new housing developments over the past week and so vowed to write about it when I got home and try not to get too annoyed the next time I visited the Olympic Park. 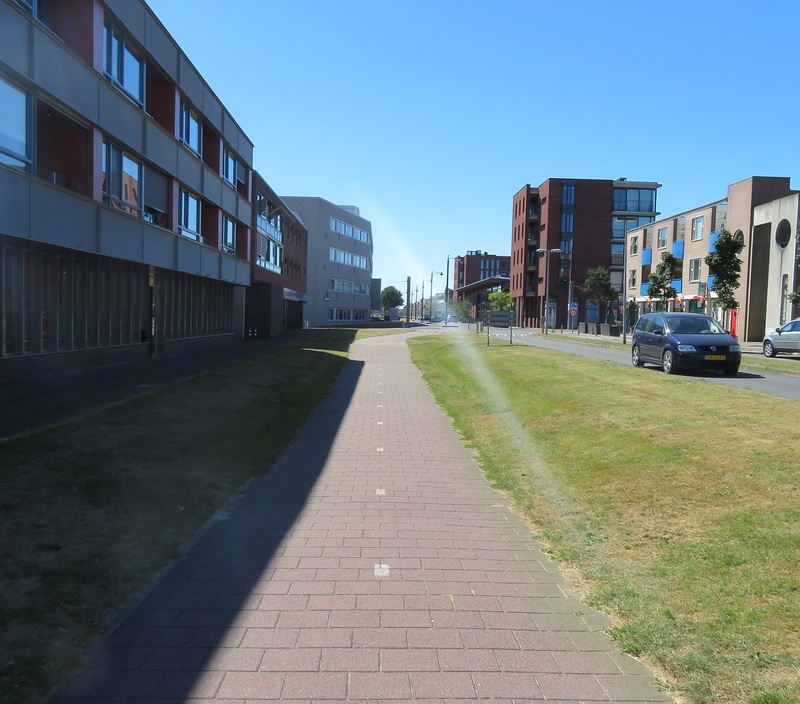 The road curved round the new development with lots of new apartments to my right over the water and water pipes and utilities being built under soil to my left, where people will live one day. 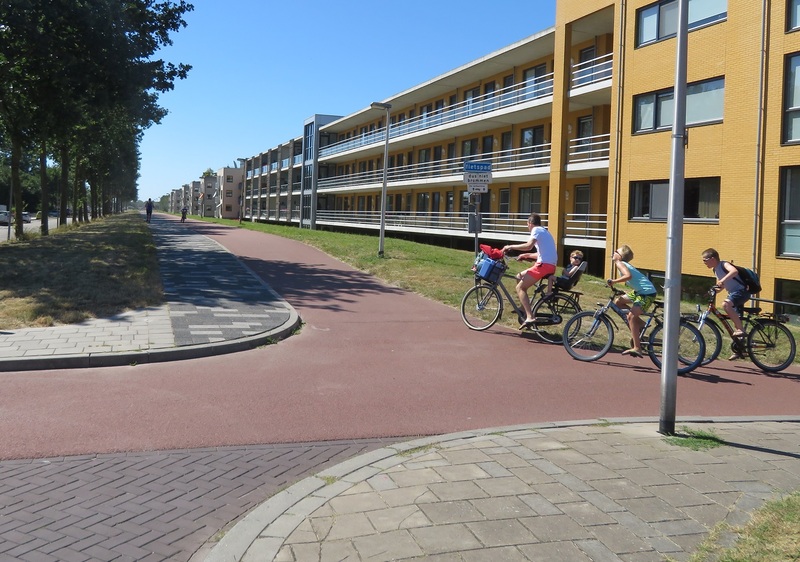 There were bridges connecting this road to the new development from this road but only for those walking or cycling. 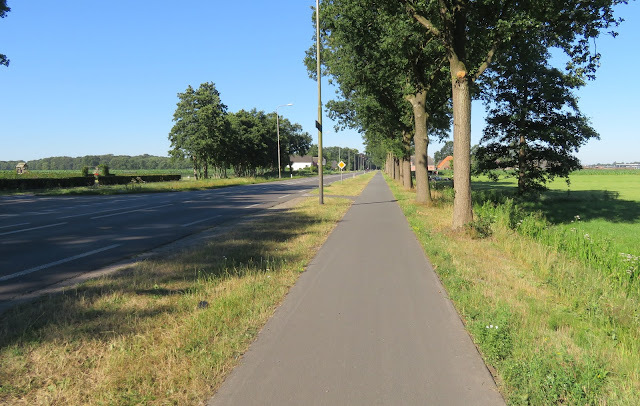 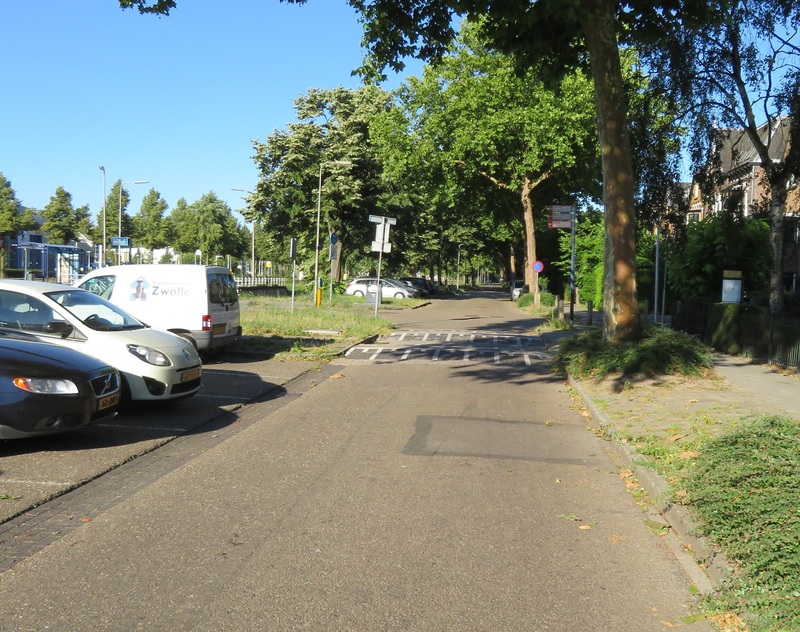 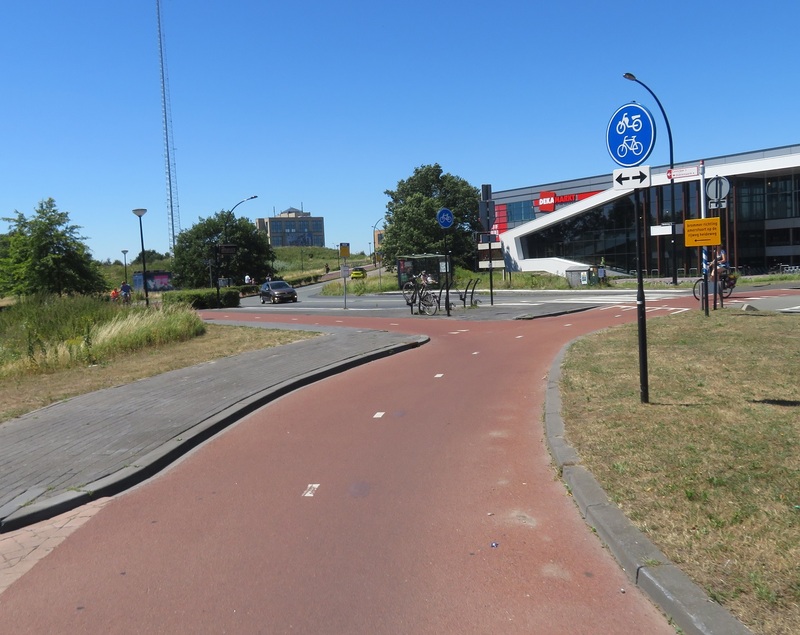 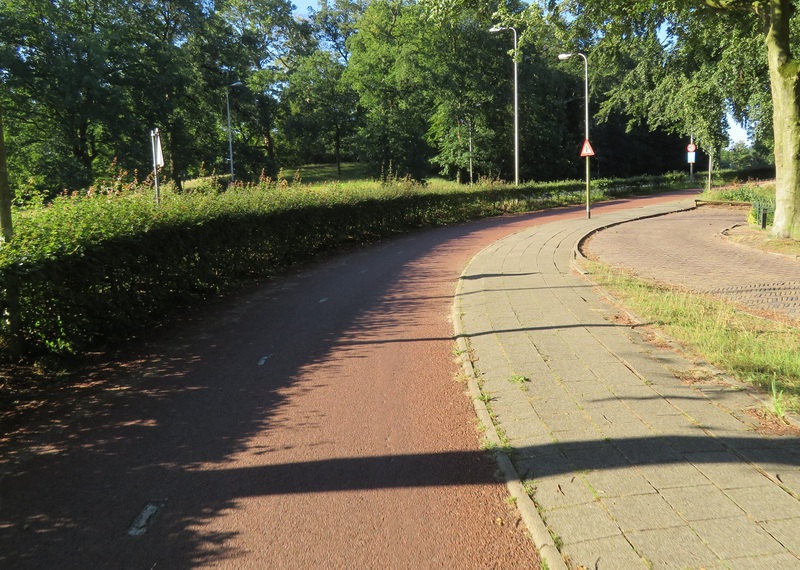 The road was filtered at at the end and I was lead onto a cycleway alongside Amersfoort Vathorst railway station. 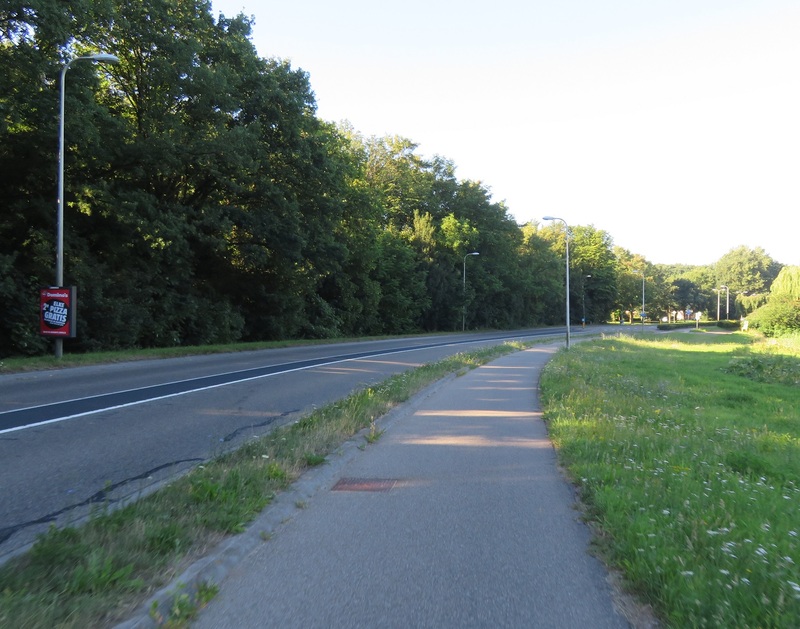 I was directed to the other side of the road and a filtered road alongside the main road. 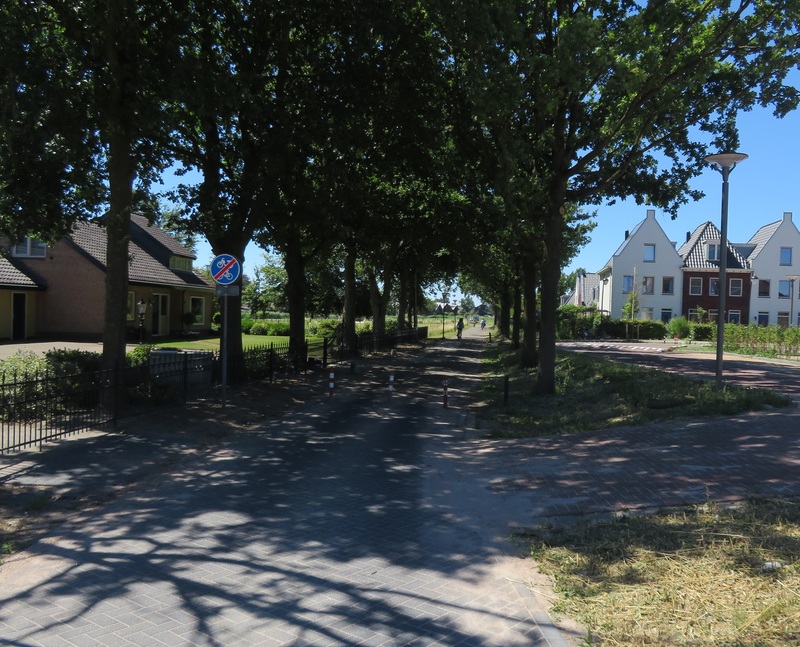 There was a strange mix of new developments and old farm houses. 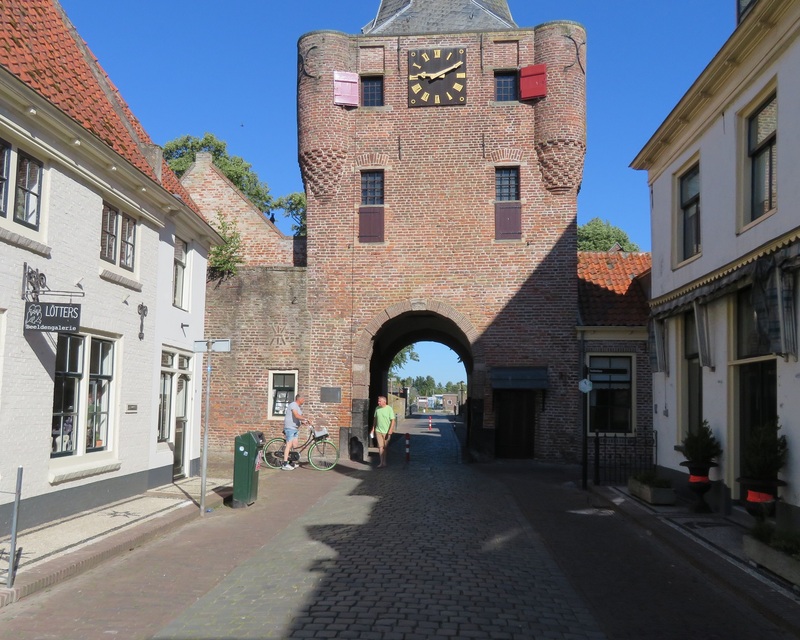 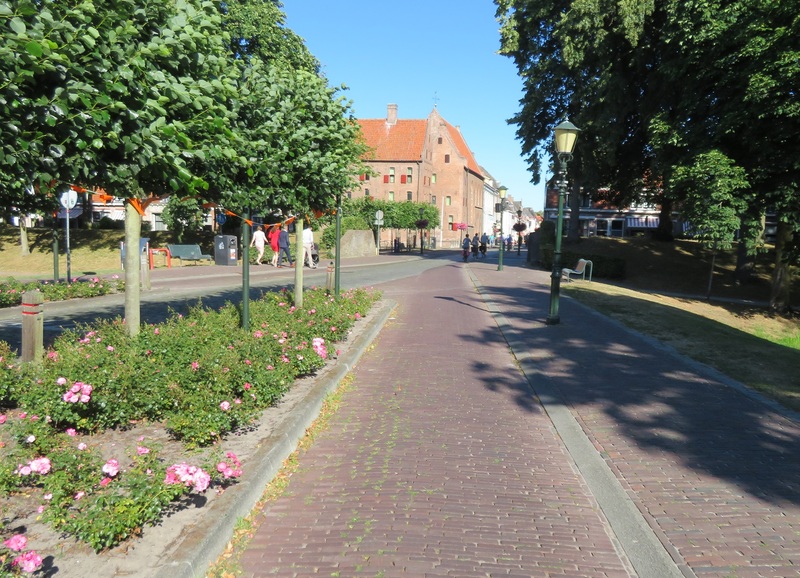 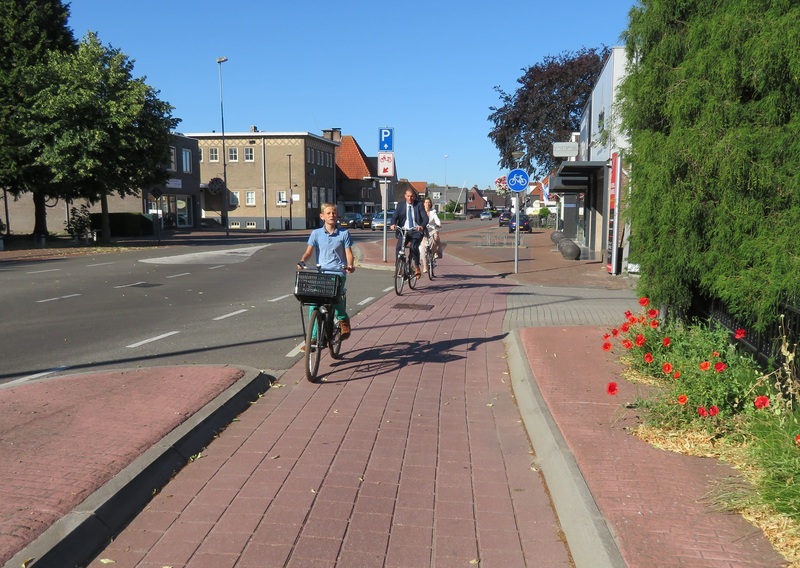 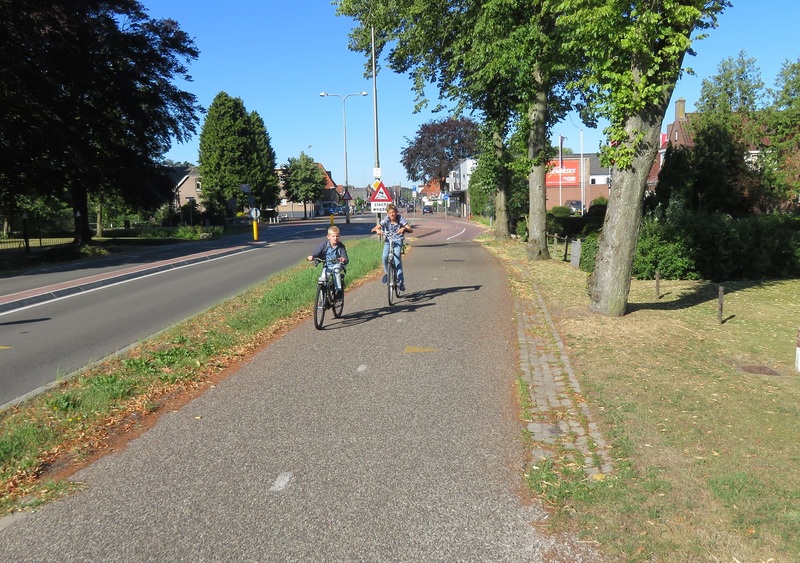 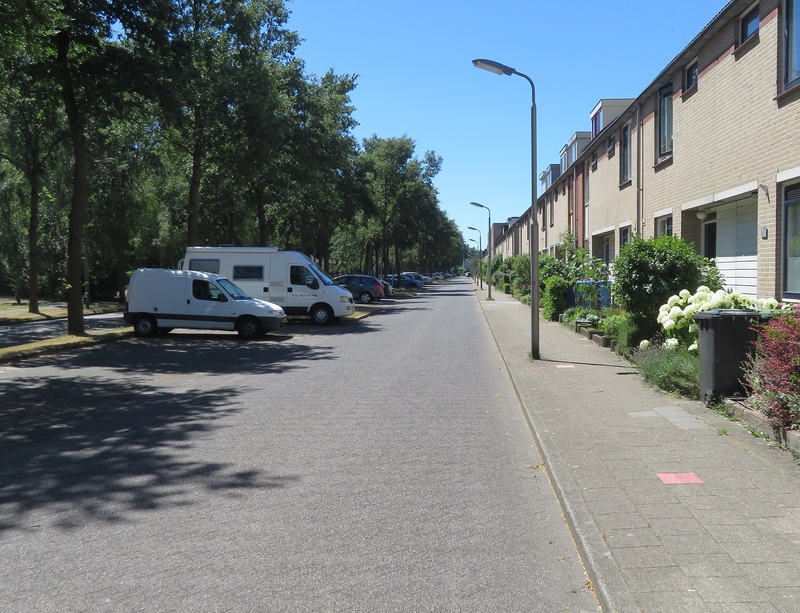 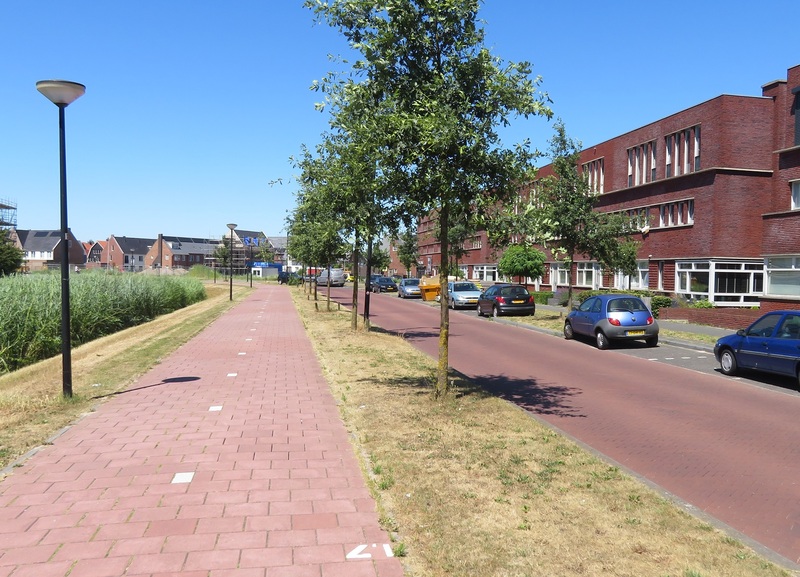 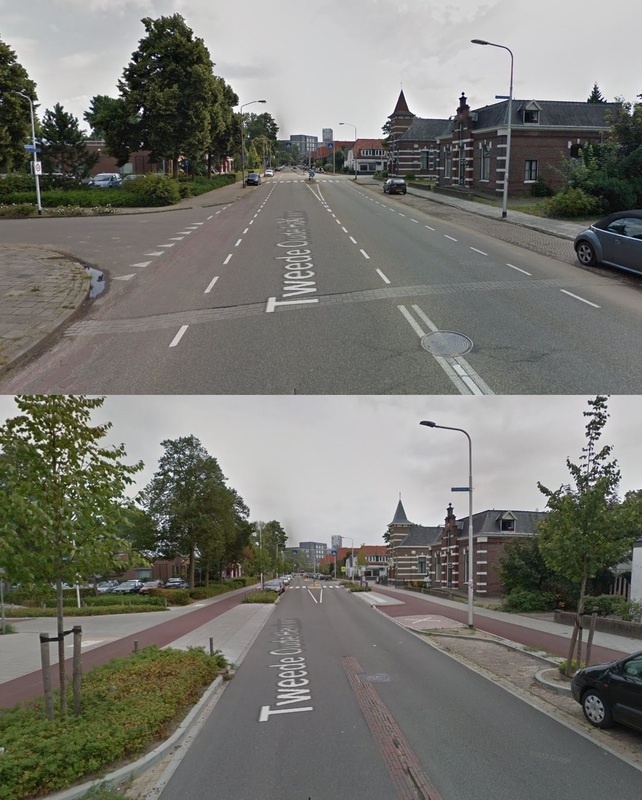 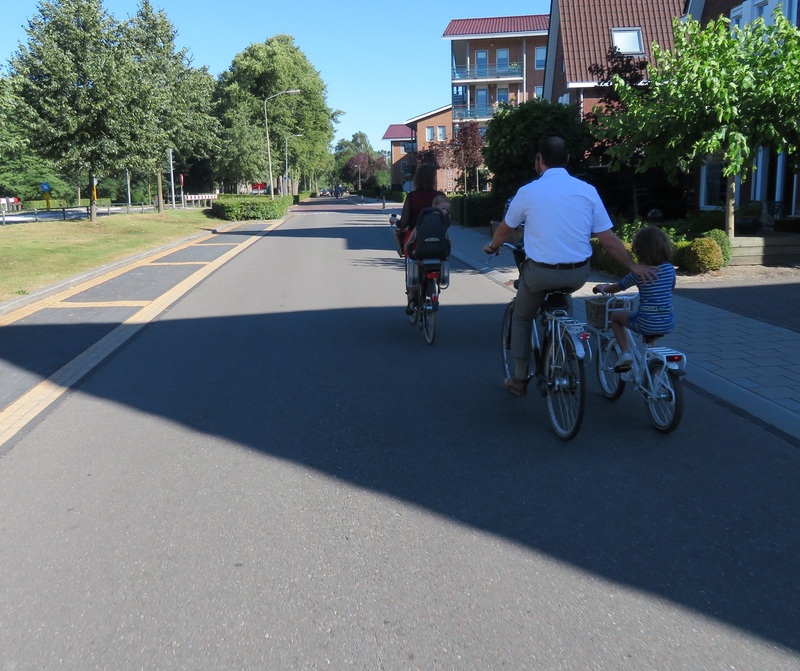 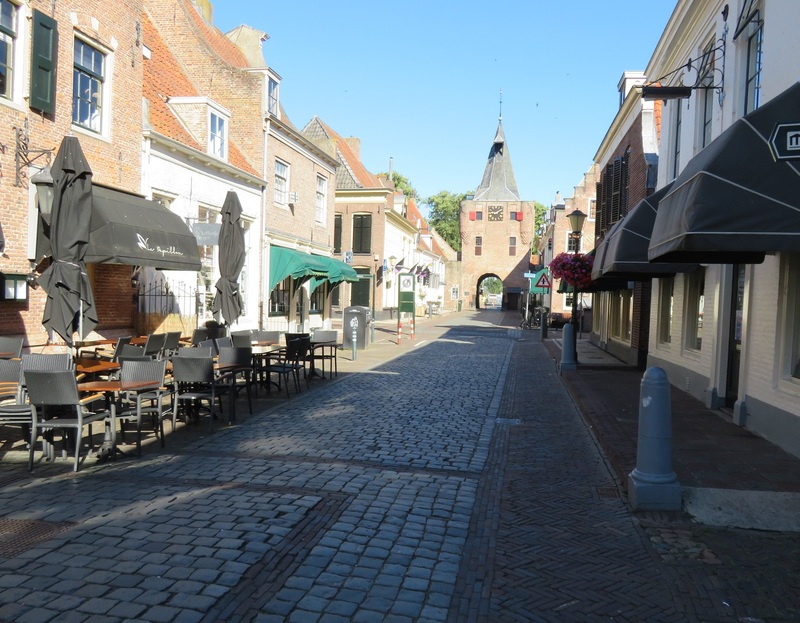 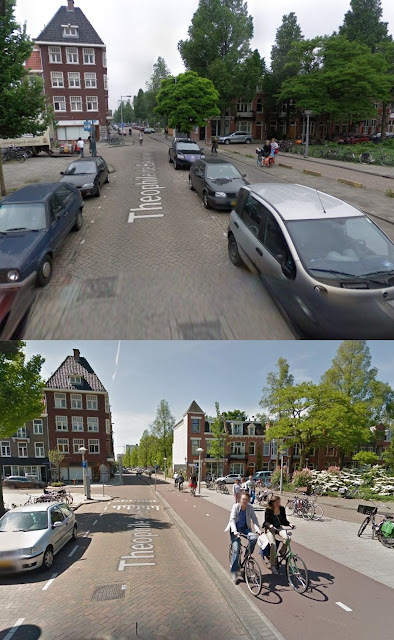 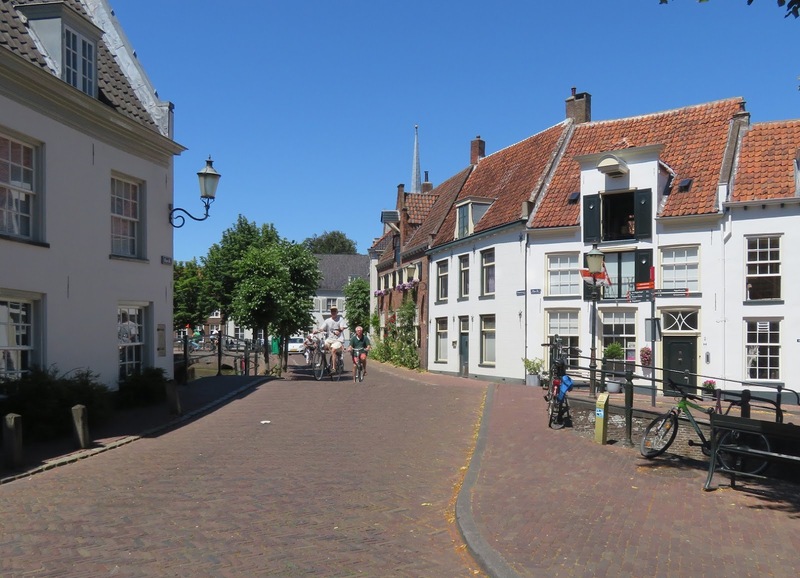 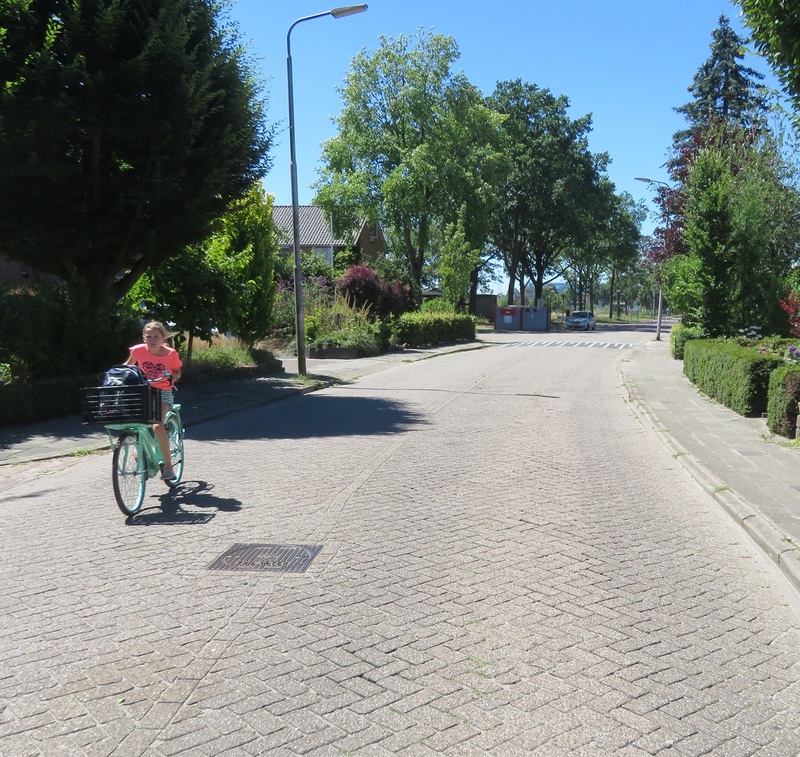 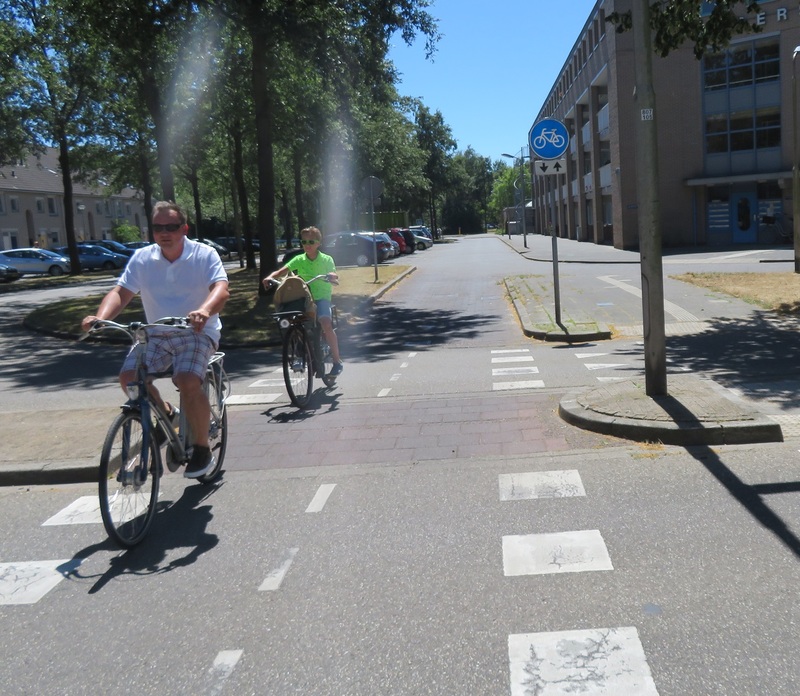 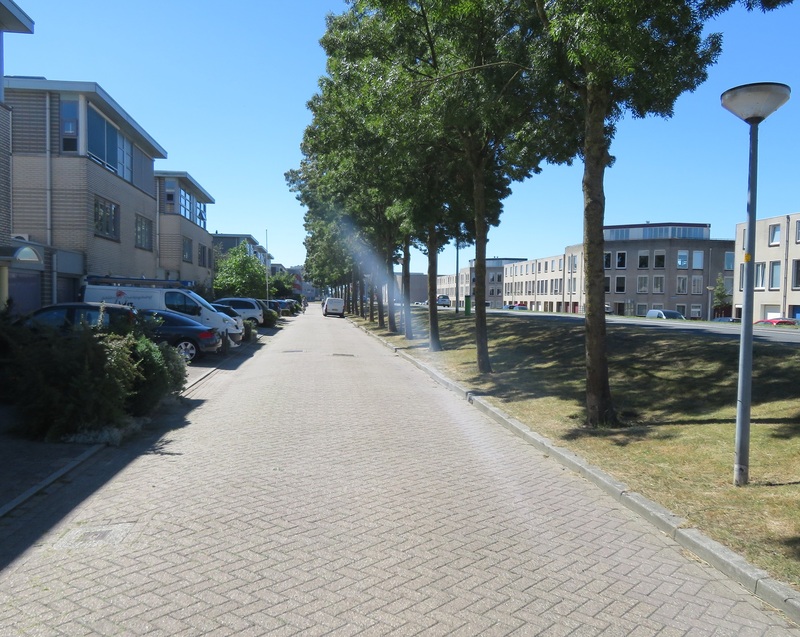 The filtered road through Hooglanderveen was clearly once a country lane but was now a major cycle route from the new development to the city centre, as a filtered road. 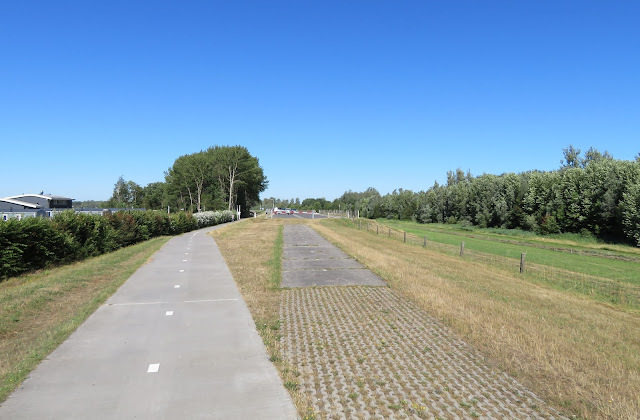 The cycleway continued alongside the railway line and as both it and the railway line crossed over a canal and road I looked down to see cycleways on both sides. 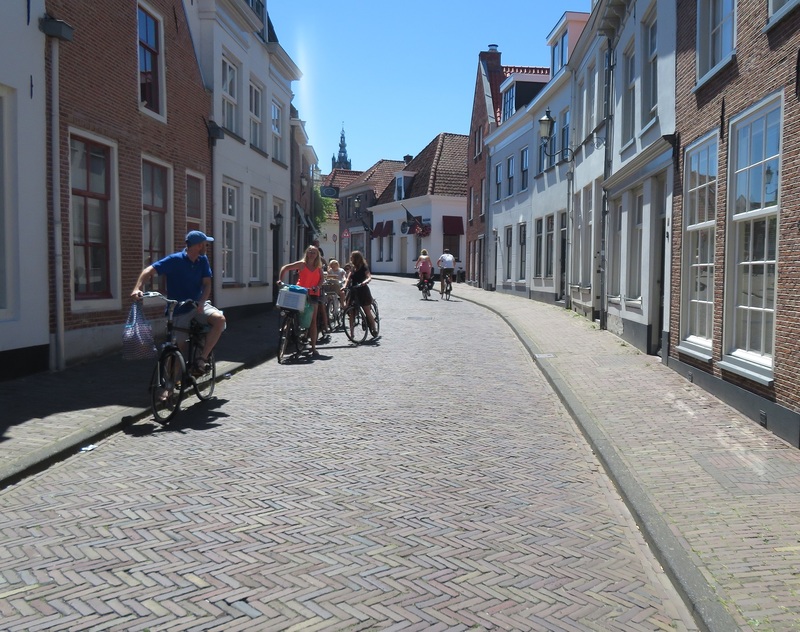 The cycleway ended as it turned round the corner to link onto a street which took me into the historic centre of the city. 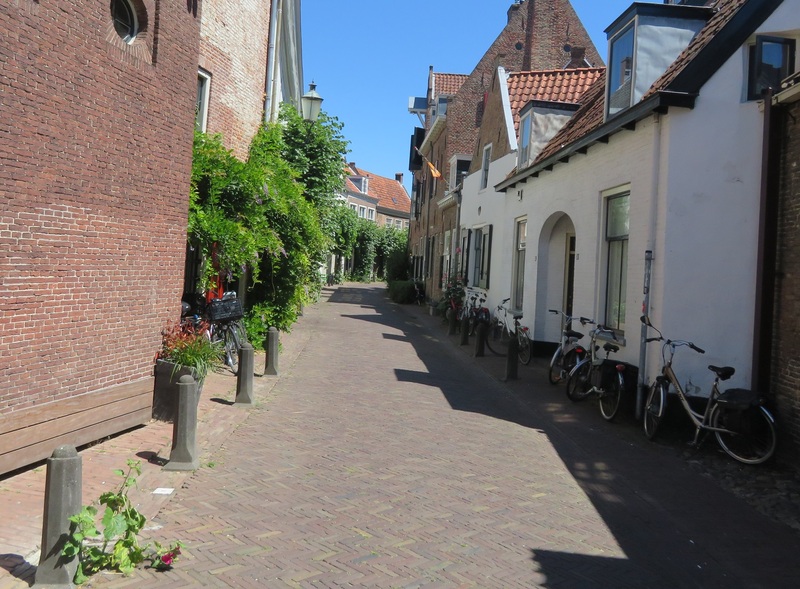 As I cycled on the streets in the centre I was amazed at how beautiful it was, every corner I turned each street seemed to look like a postcard. 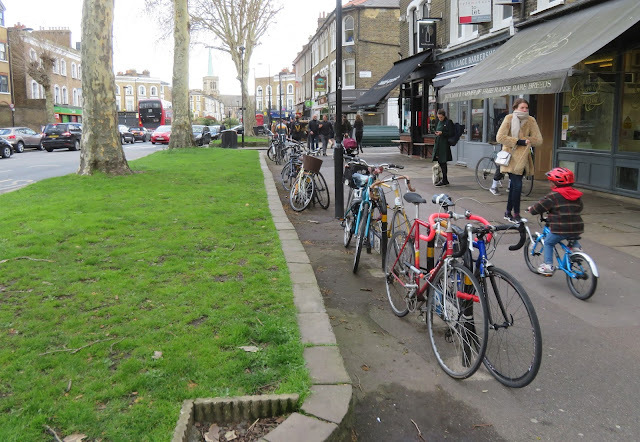 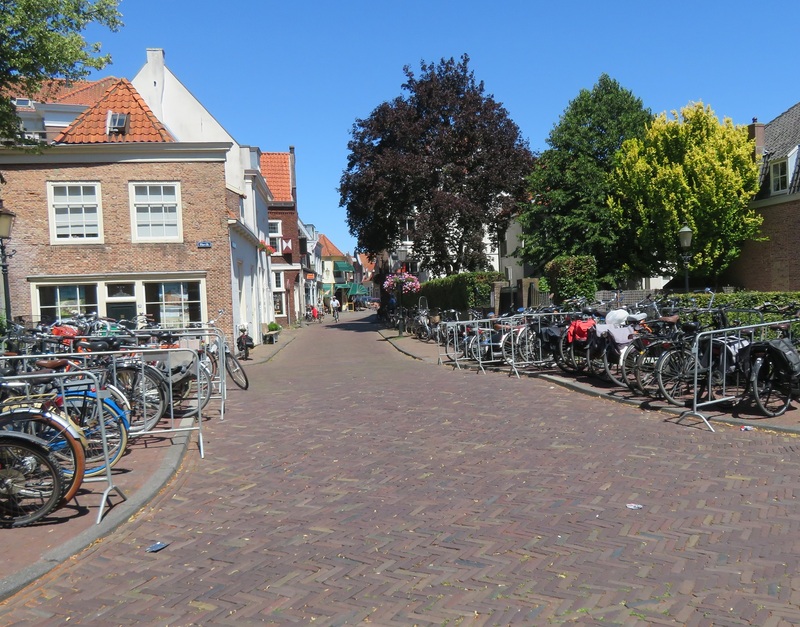 I was also struck by how many parked bicycles there were, including lots in temporary bicycle parking stands. 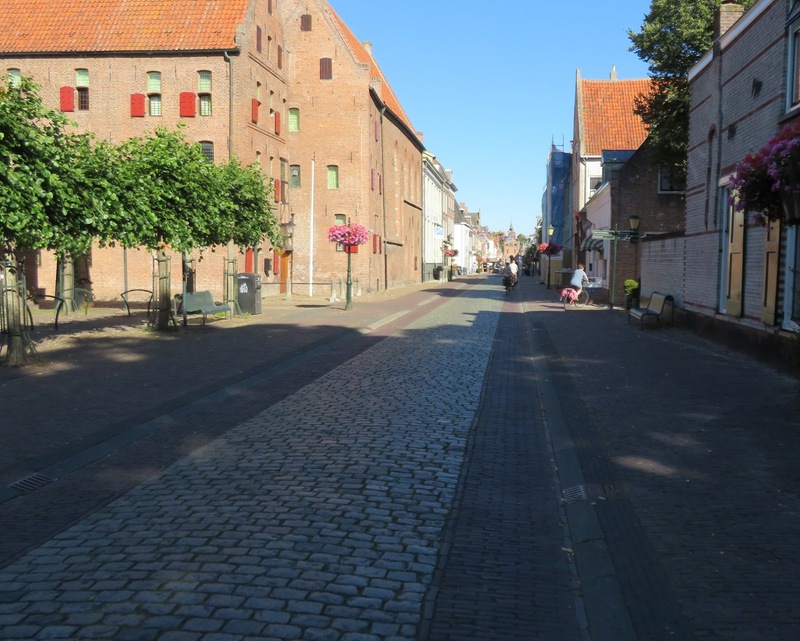 It was only when I tried to access the main square in the centre that I realised there was a huge festival on so the centre of the city was closed. 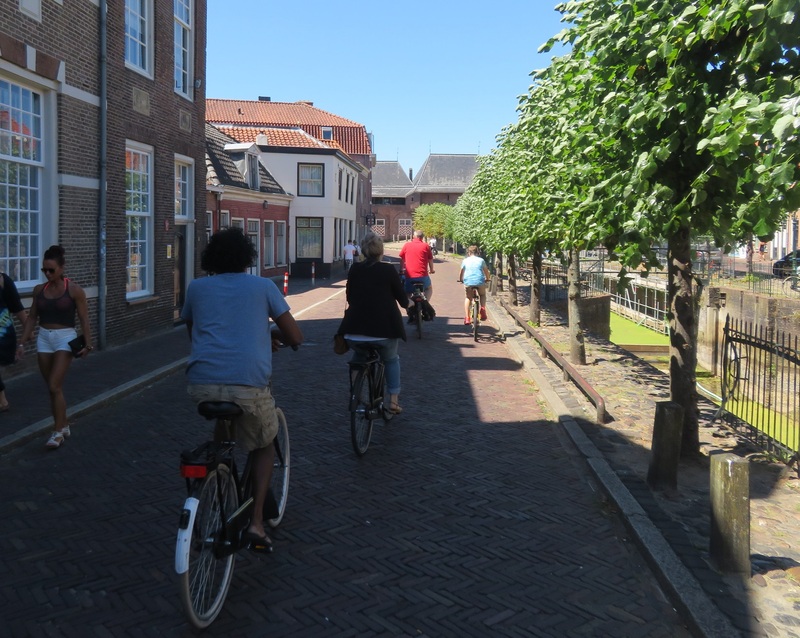 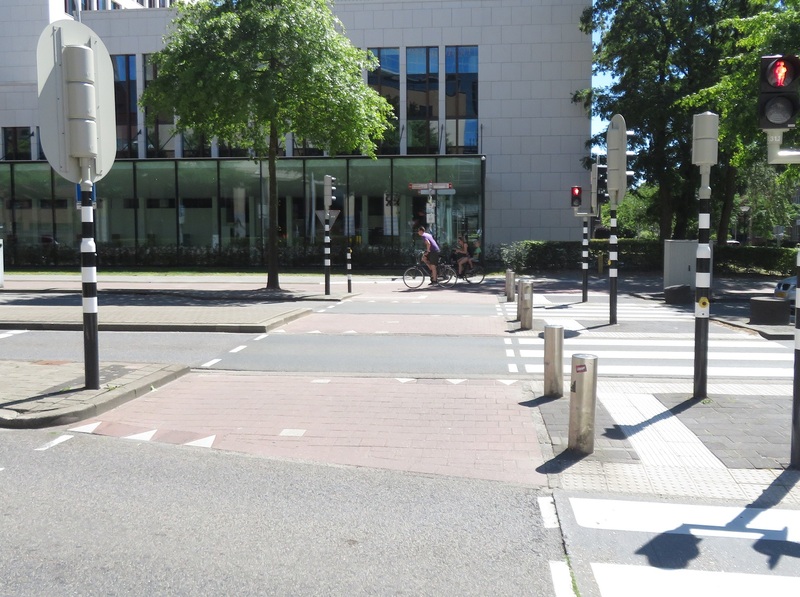 At each entrance to the square were stewards, all with "Fiets Steward" on their backs to stop anyone from cycling in. 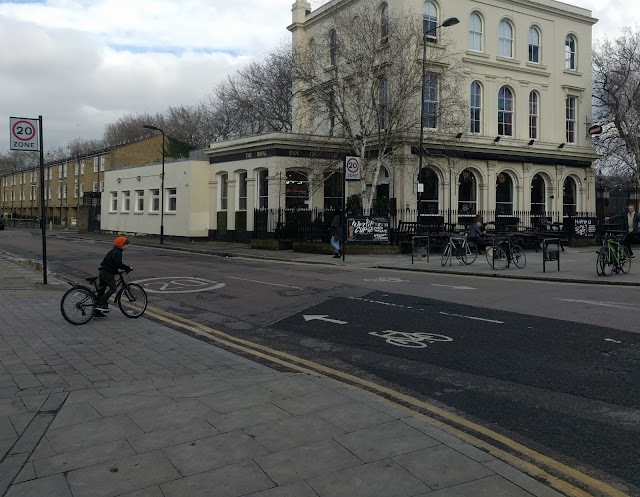 I was tempted to go in but didn't want to carry my heavy panniers around with me and, as they contained my laptop and passport, was not keen on leaving the bike locked with the panniers on either. 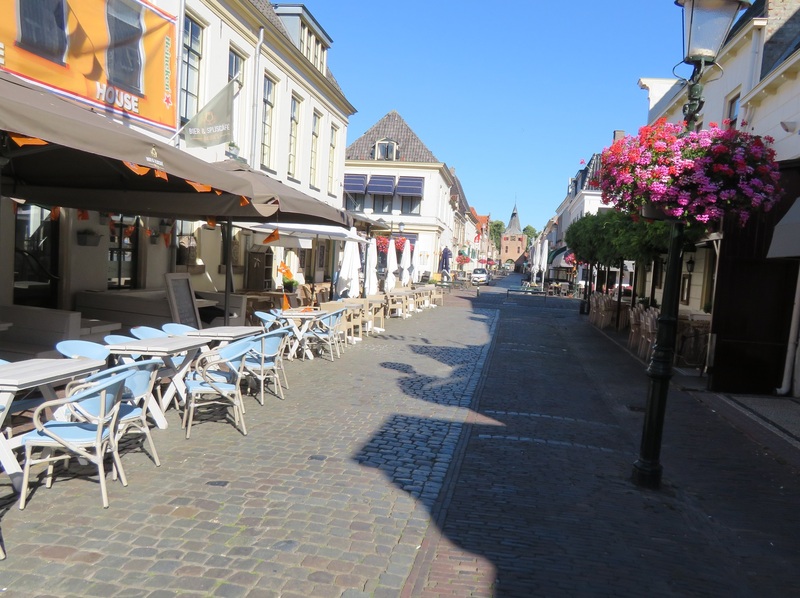 Instead I sat outside a cafe and enjoyed coffee and apple pie, where I could hear the music perfectly but not see any of the performers. 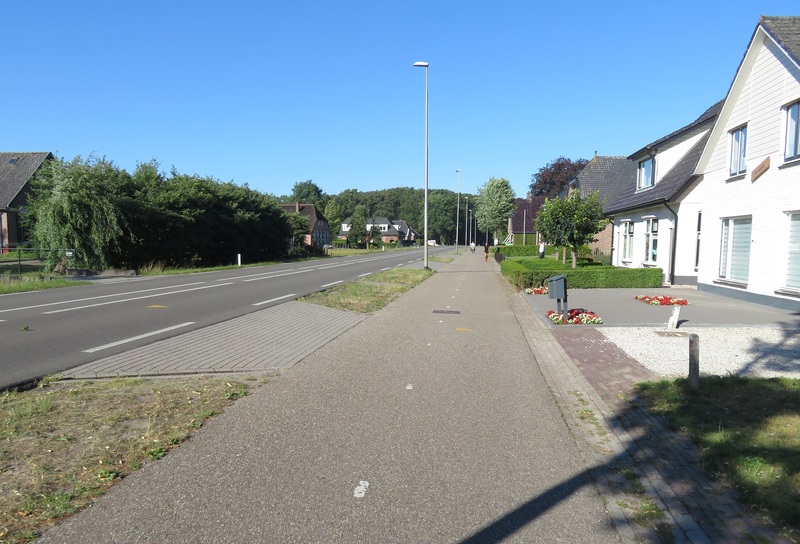 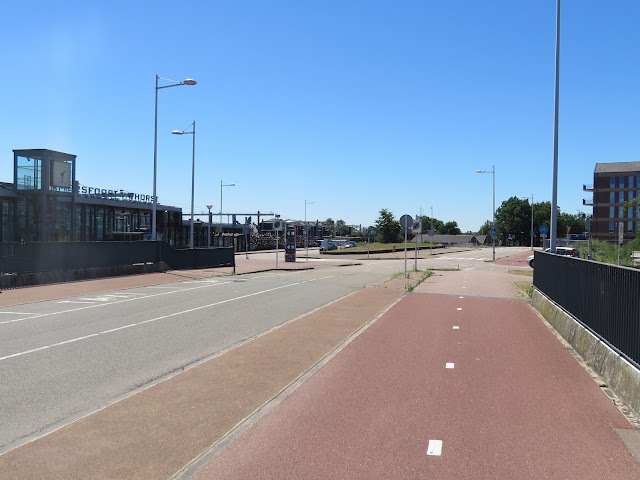 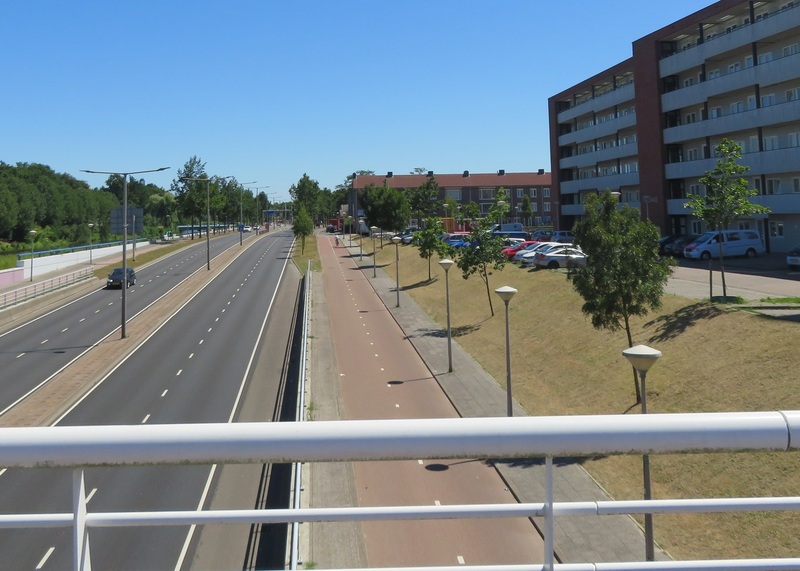 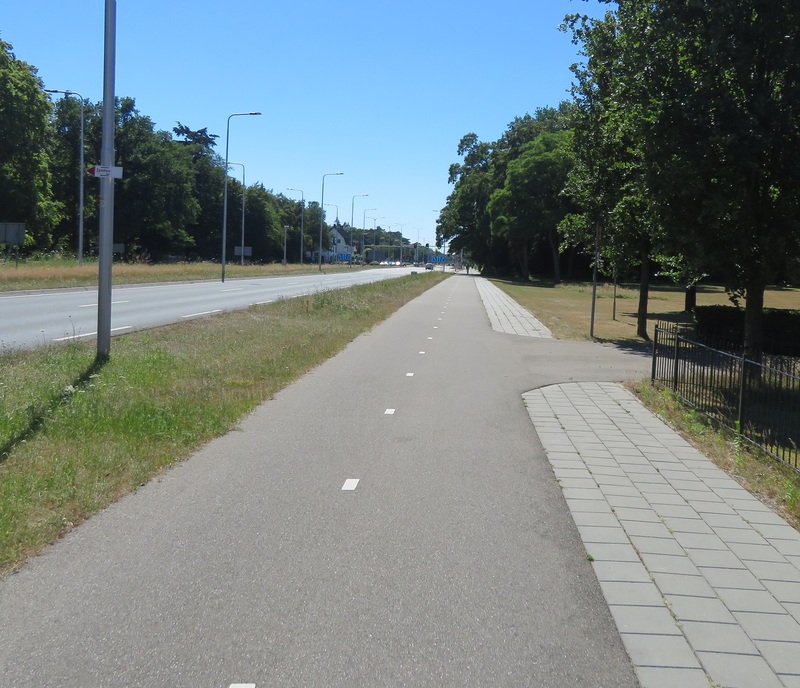 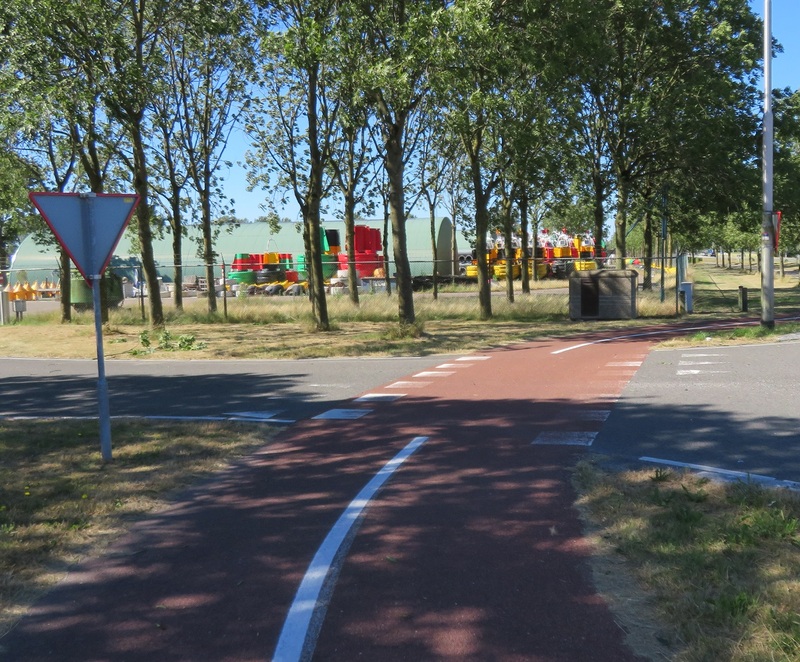 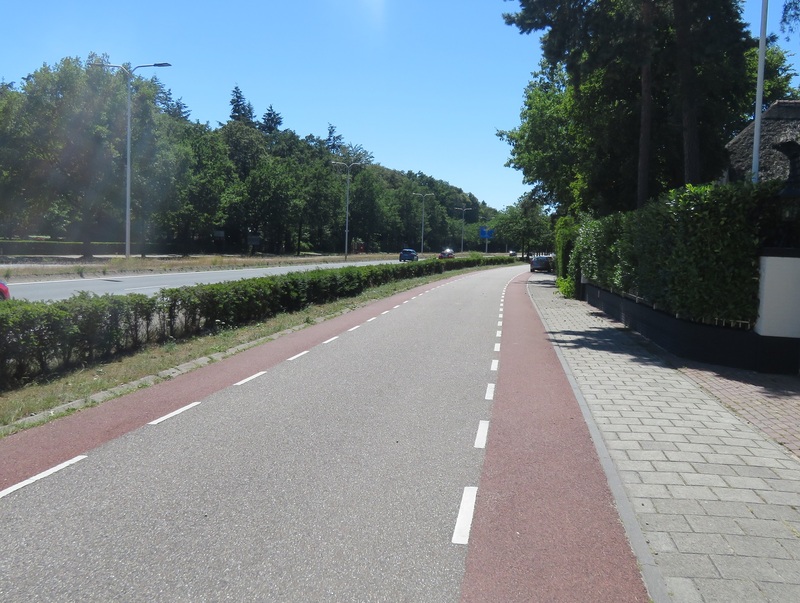 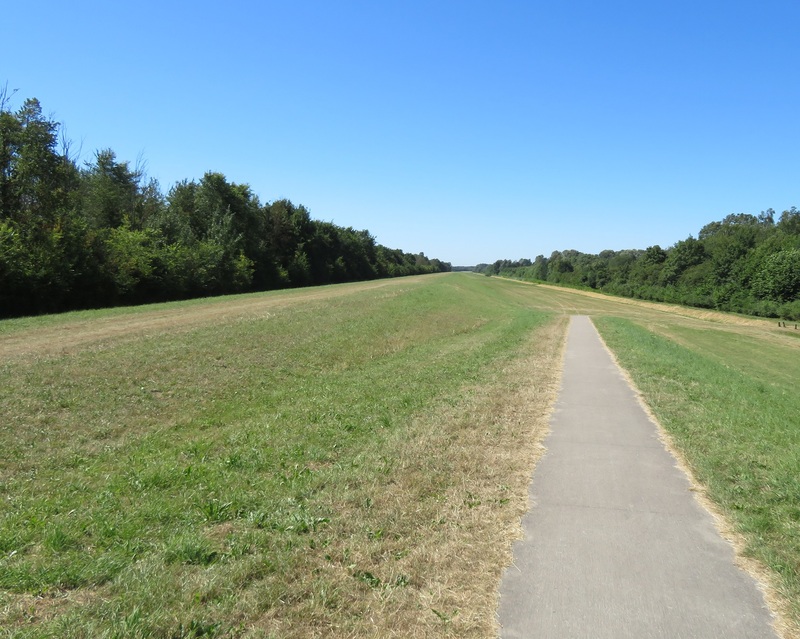 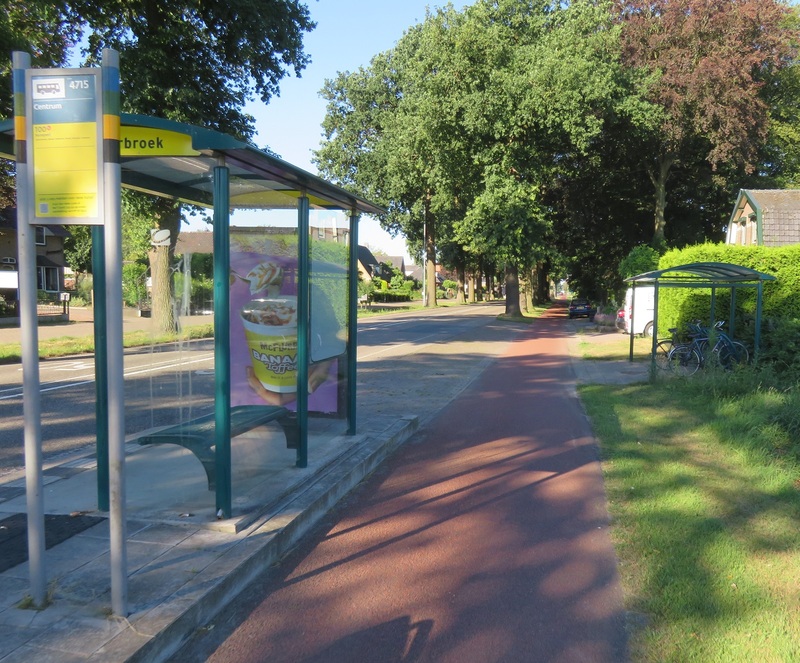 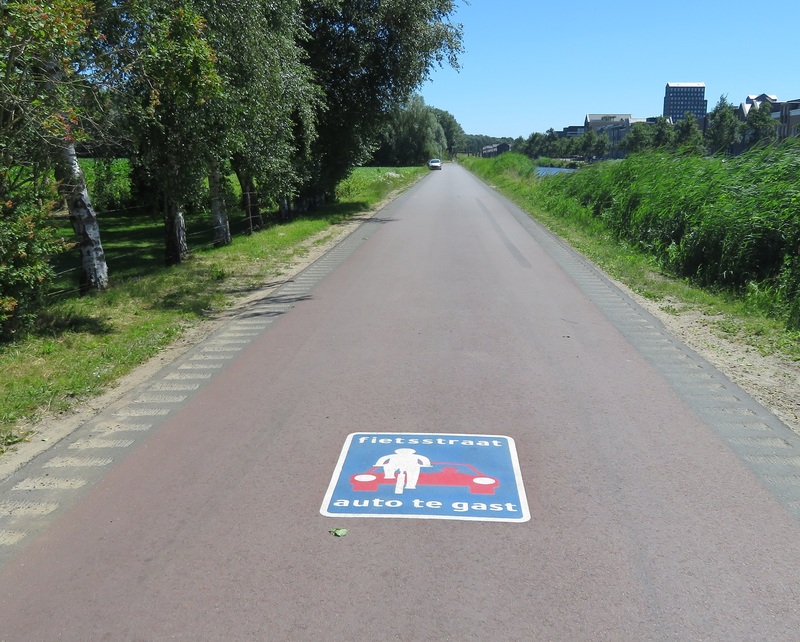 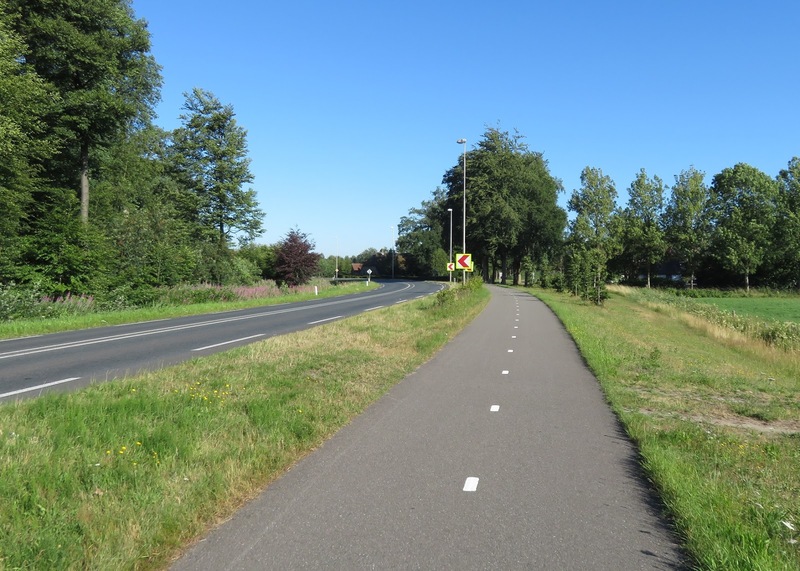 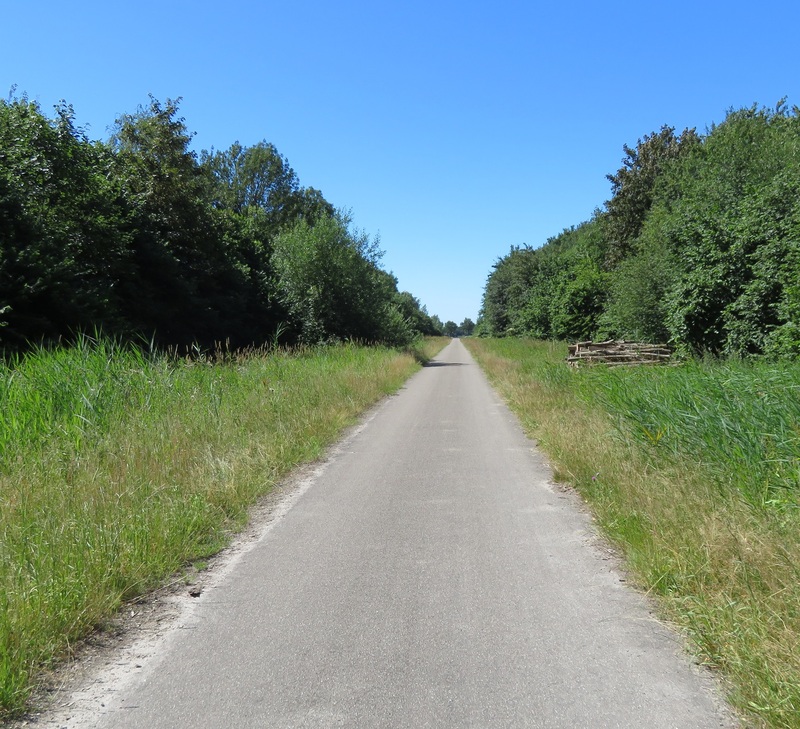 I crossed over the road and then cycled out of the city on a cycleway alongside a main road to another cycleway that ran some distance from another main road and took me south of Amersfoort. 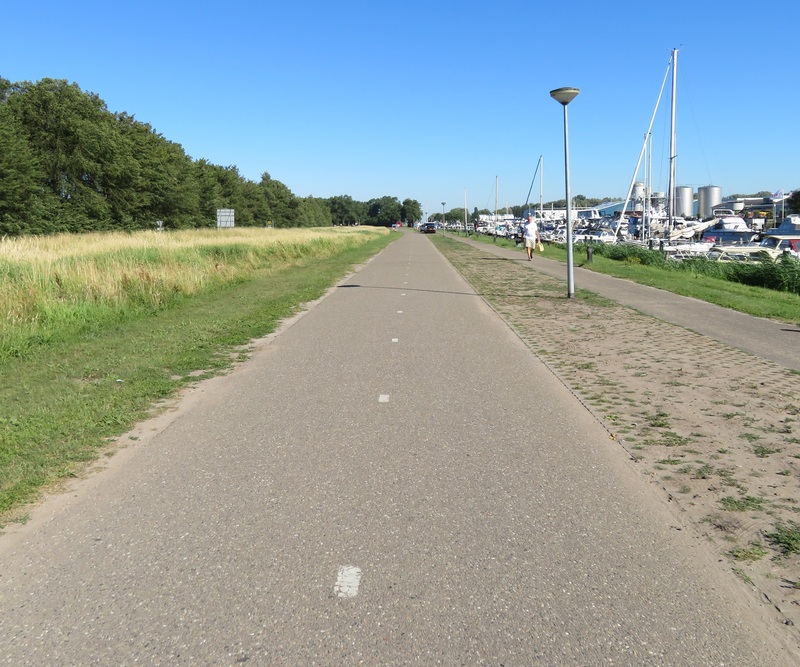 My time in the city was short but I liked what I saw, from the high quality cycle routes in from the suburbs to the beautiful city centre; I'll definitely be back. From Amersfoort my journey would be a direct one alongside the N217 for the next 15 kilometres to take me directly into Utrecht. 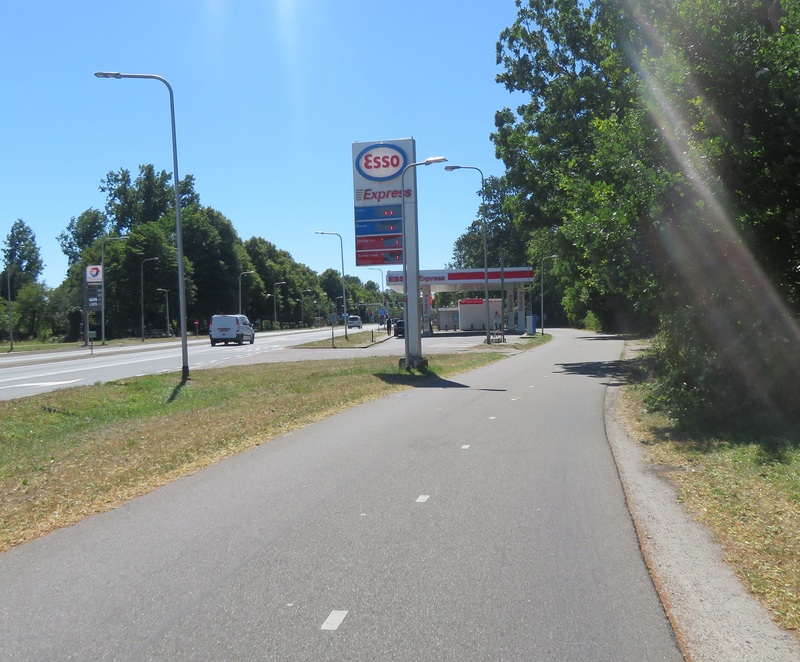 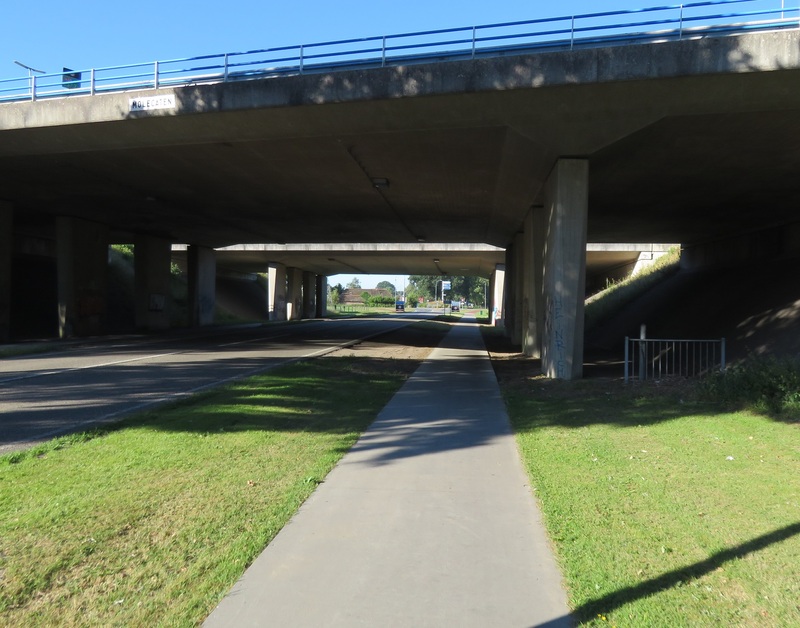 I cycled alongside on cycleways, service roads, very wide cycleways that I presume must have been a road once upon a time, and around the back of petrol stations. 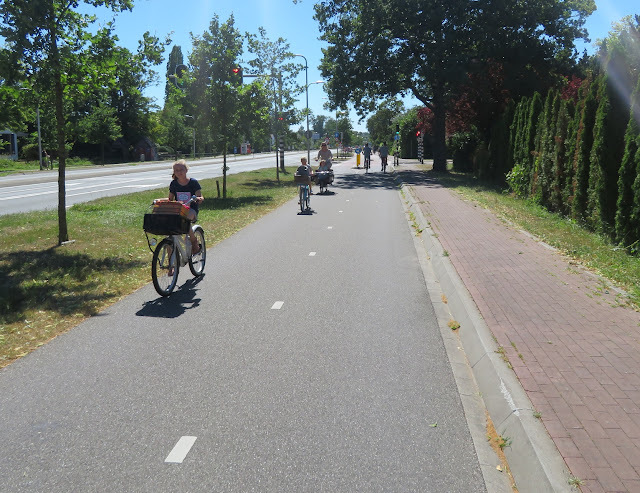 These routes were all being heavily used, by people of all ages. 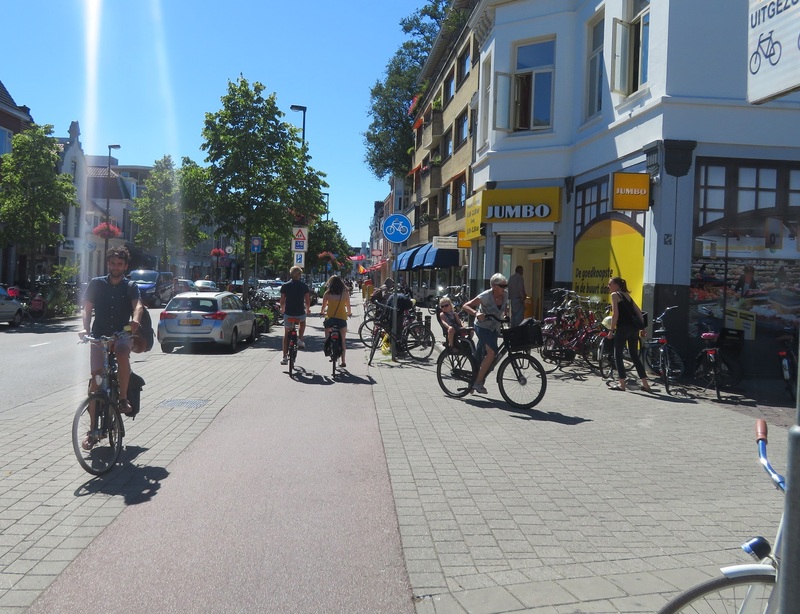 Eventually I made my way into Utrcht via Biltstraat and a busy city centre. 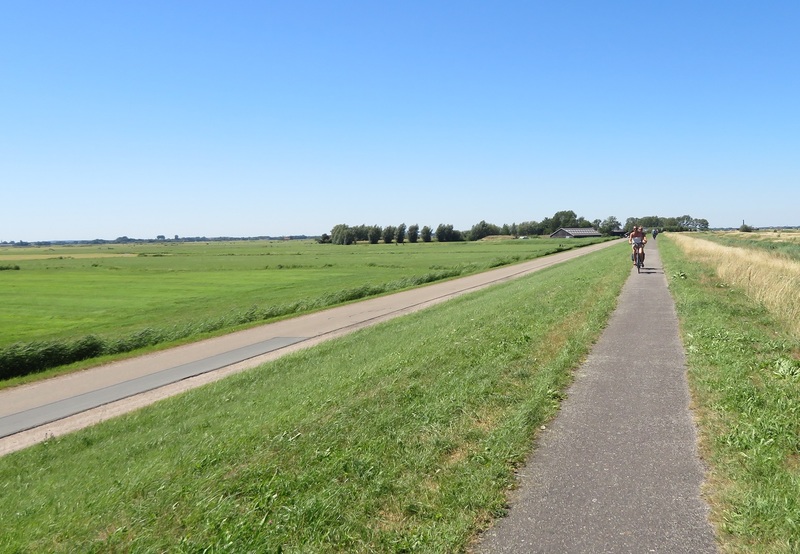 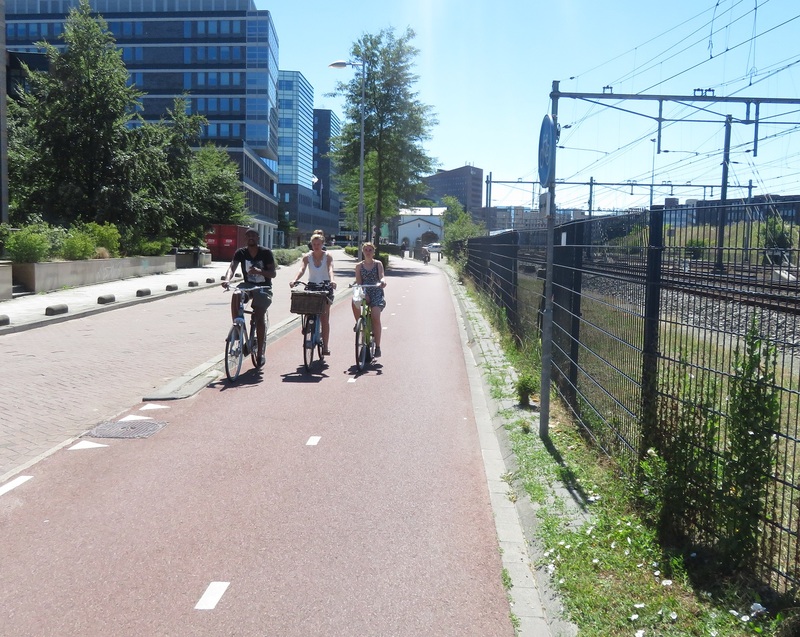 My 19th cycle between cities in the Netherlands was the longest, hottest, most varied and the most enjoyable.